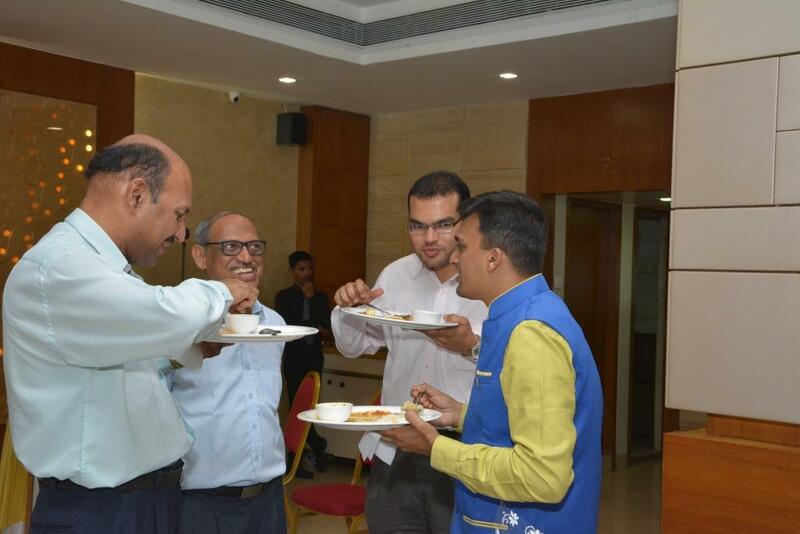 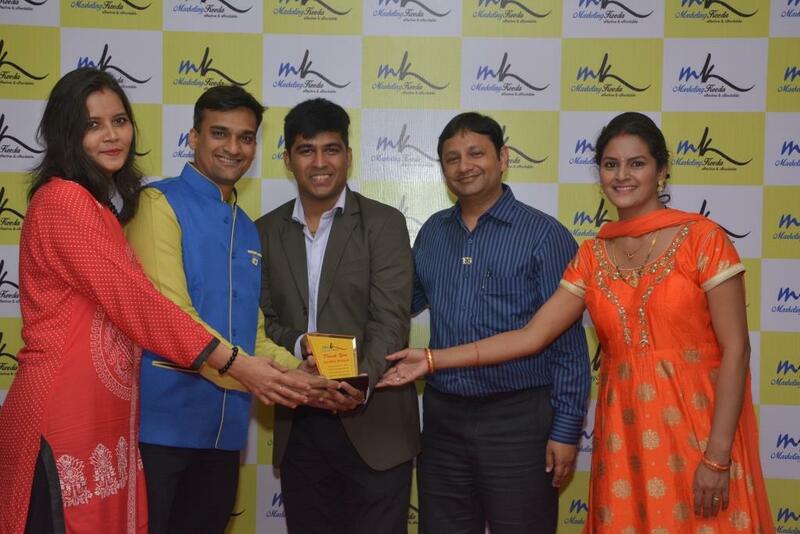 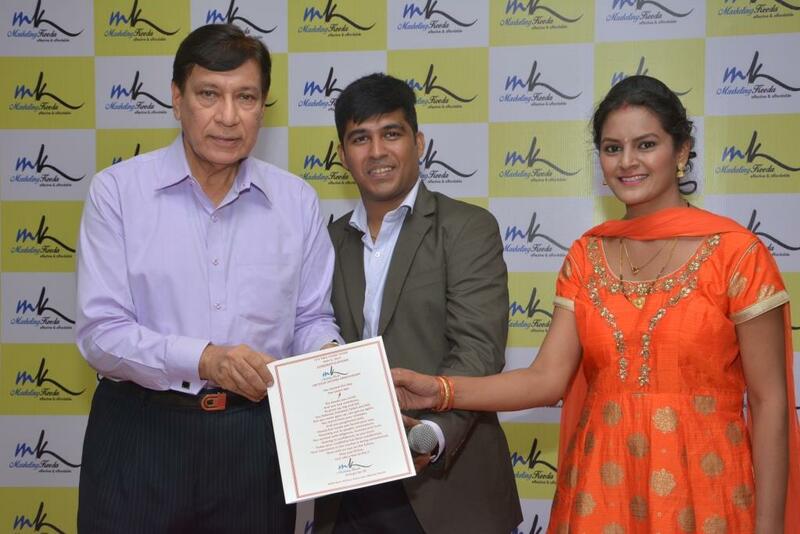 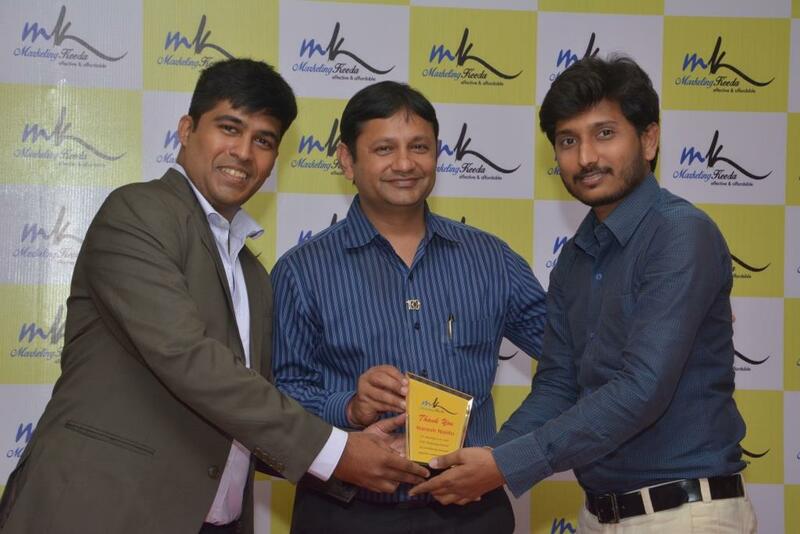 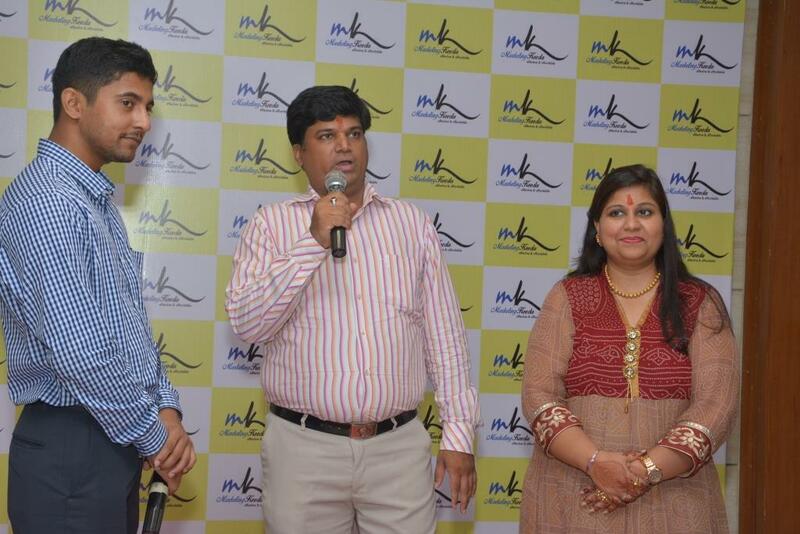 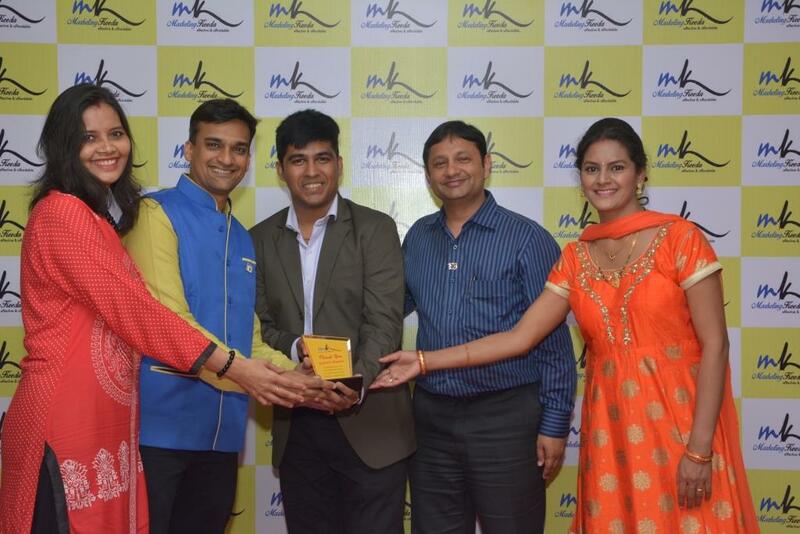 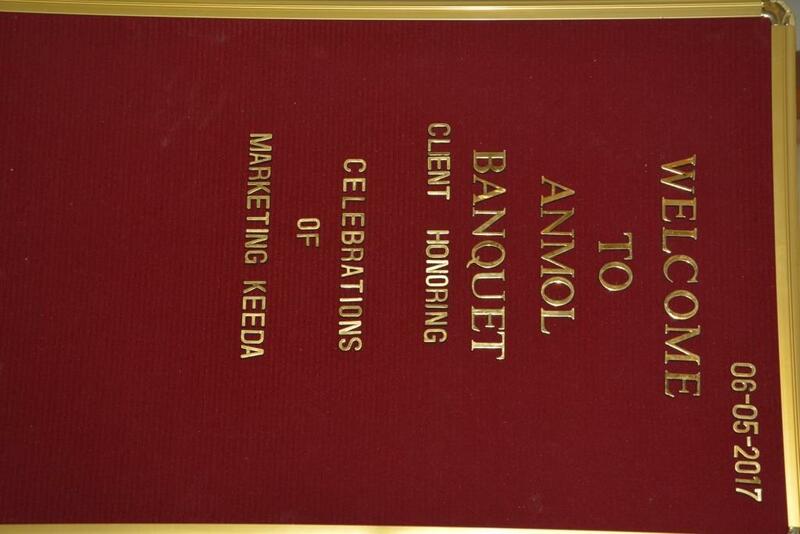 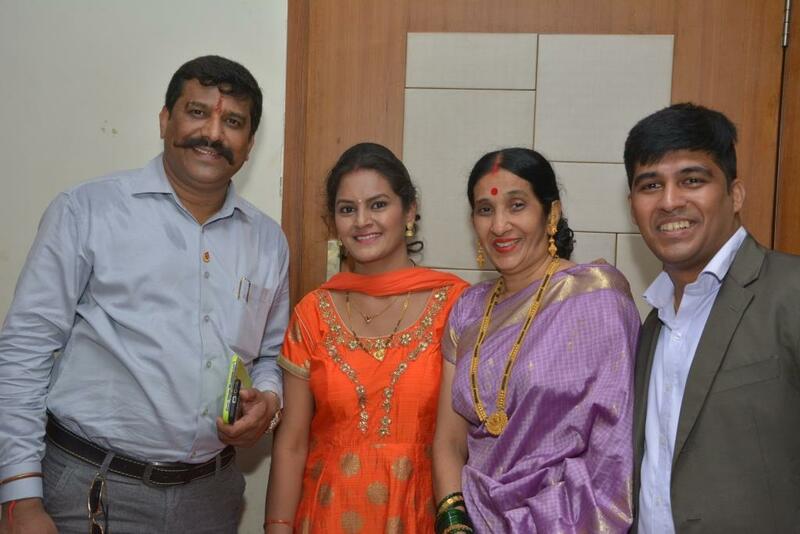 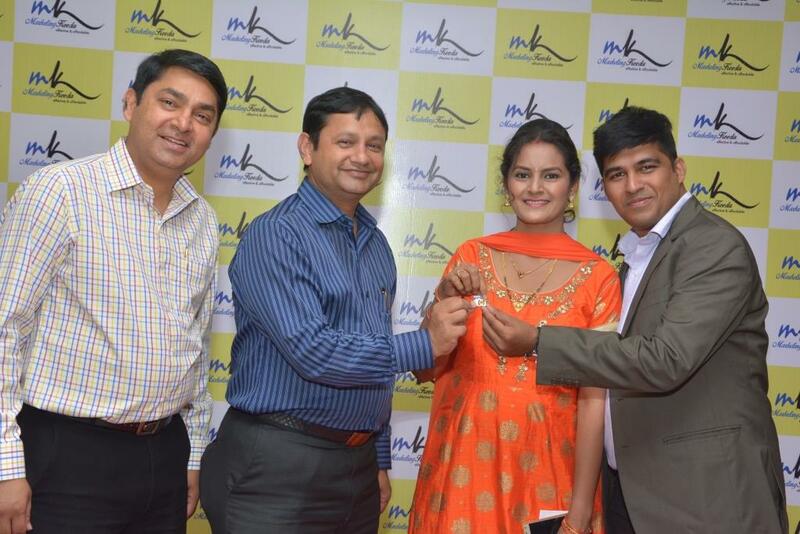 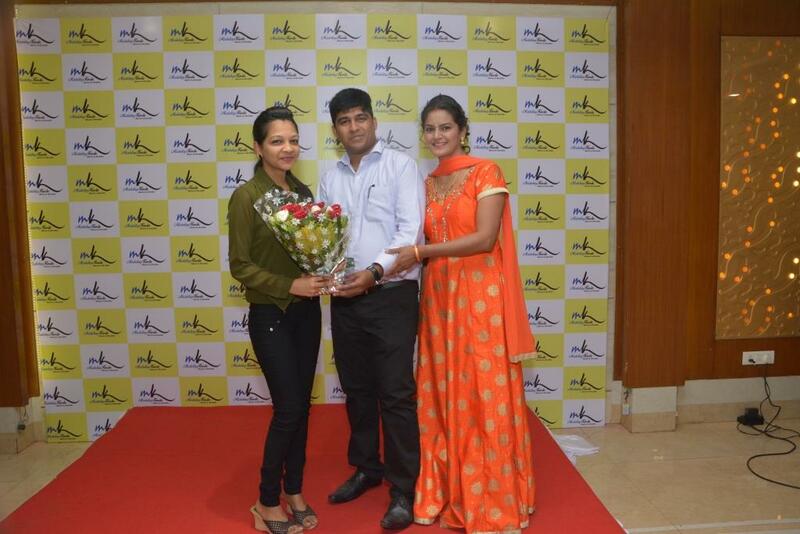 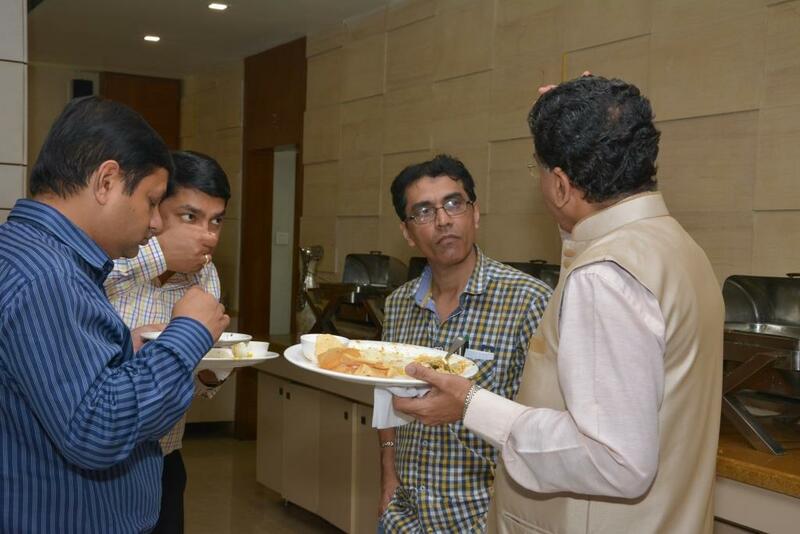 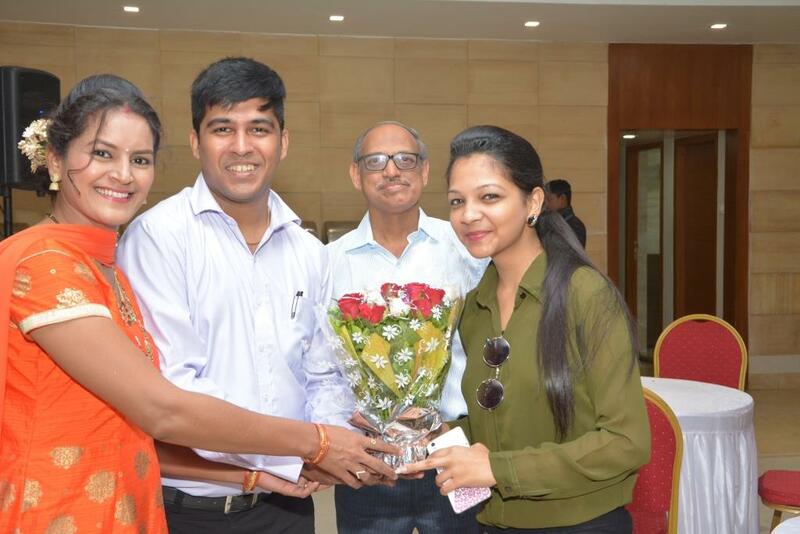 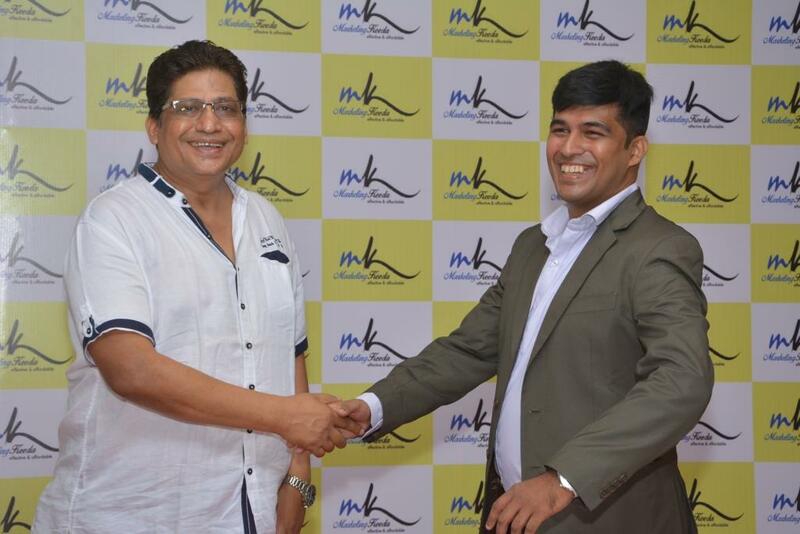 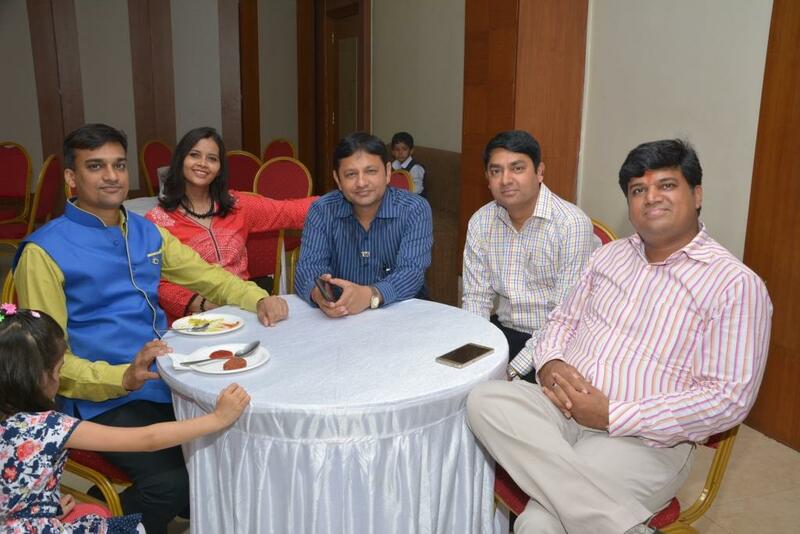 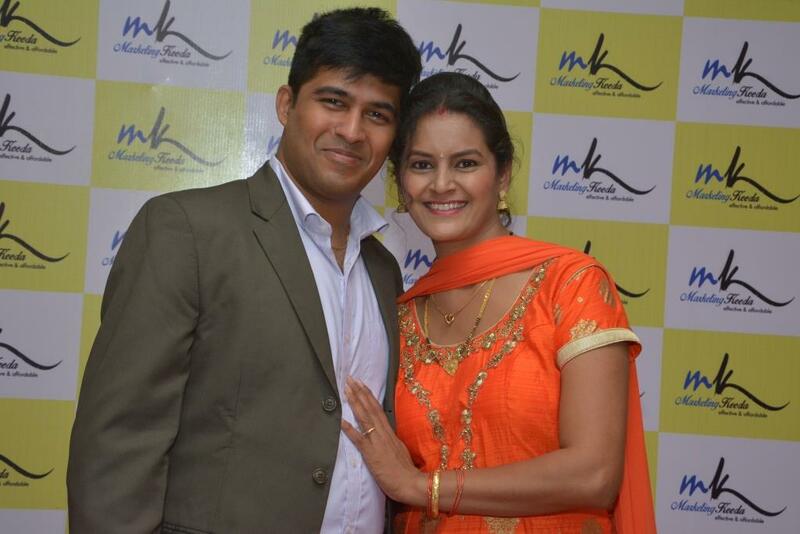 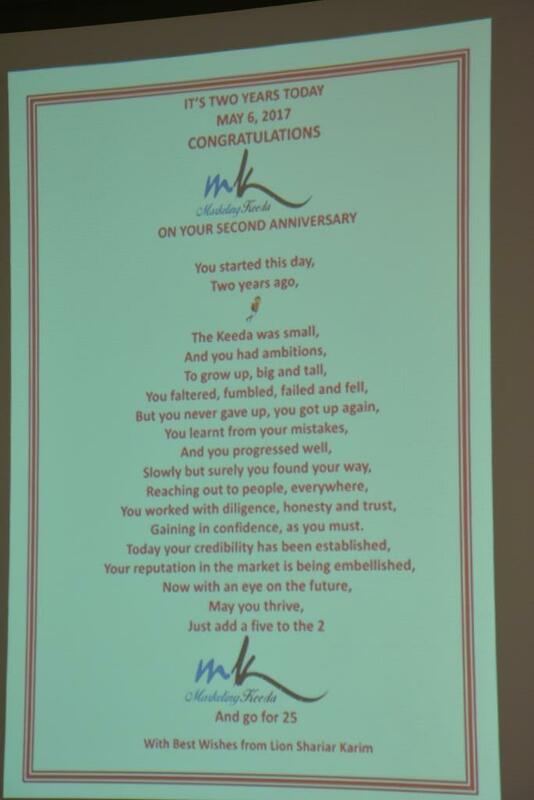 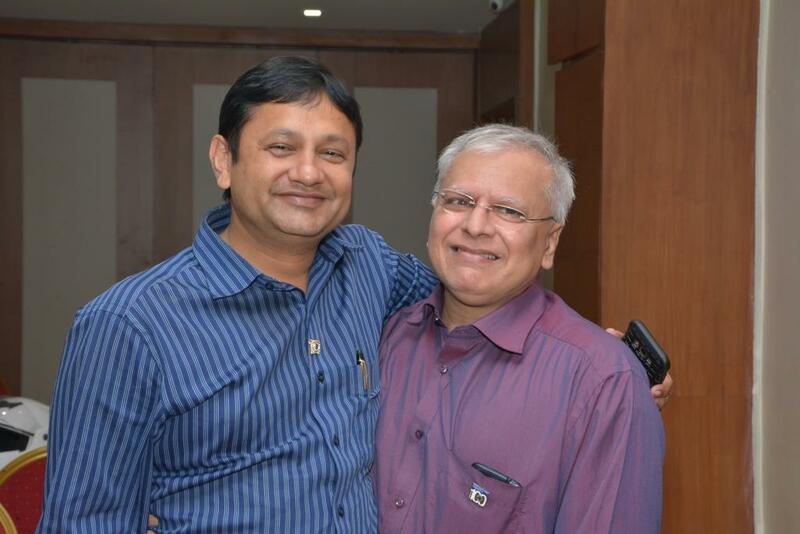 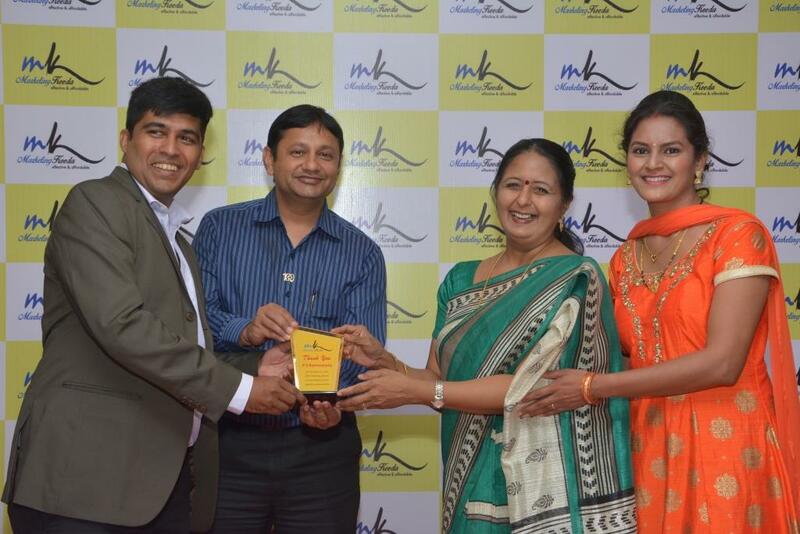 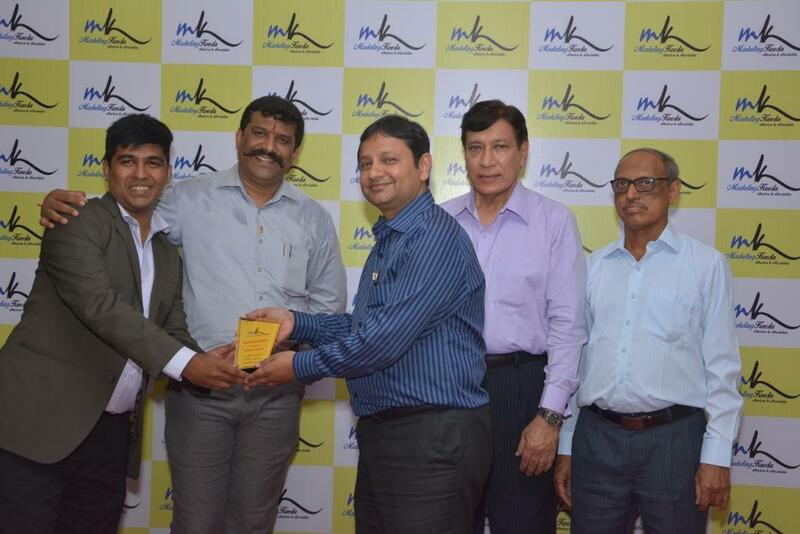 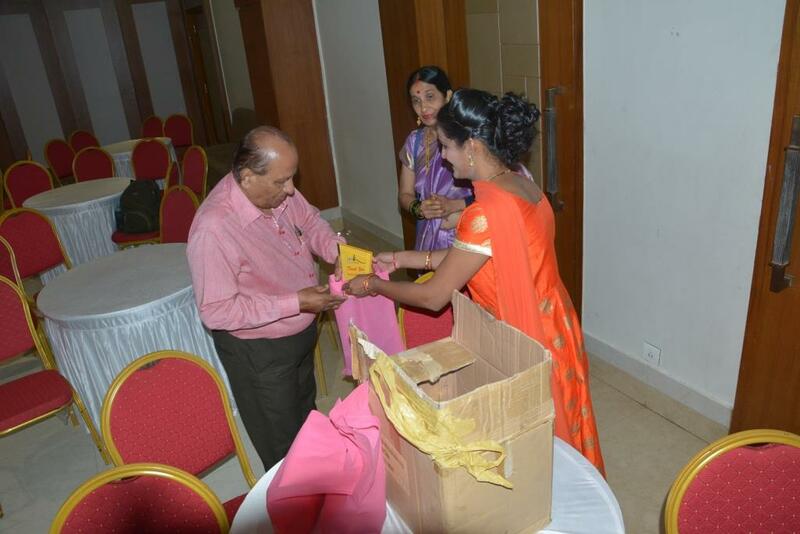 6th May 2016, a day for Client Honoring & 2nd Anniversary Celebrations of Marketing Keeda had arrived. 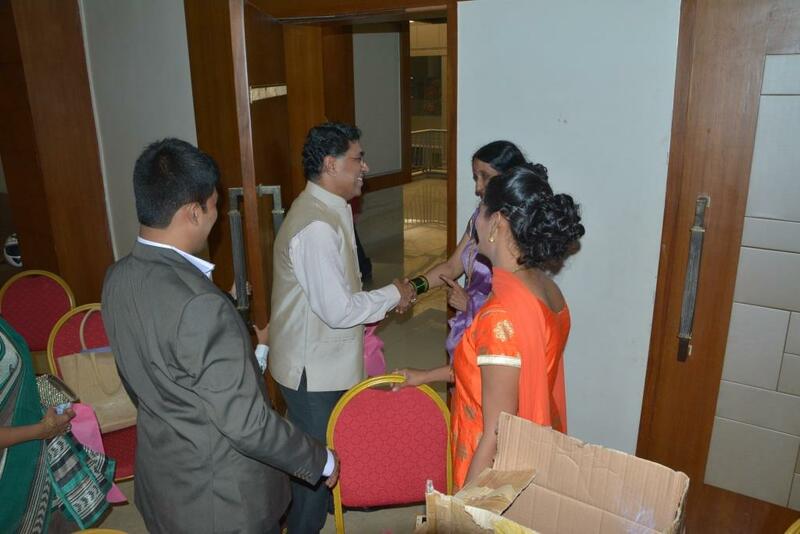 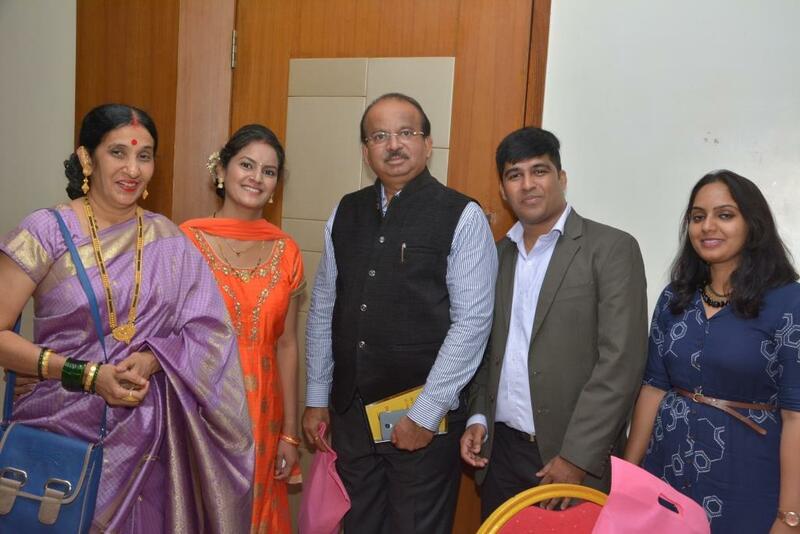 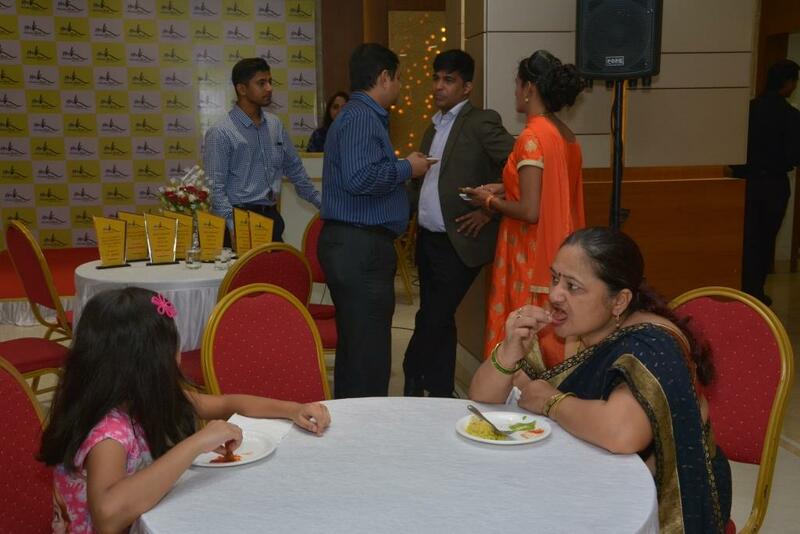 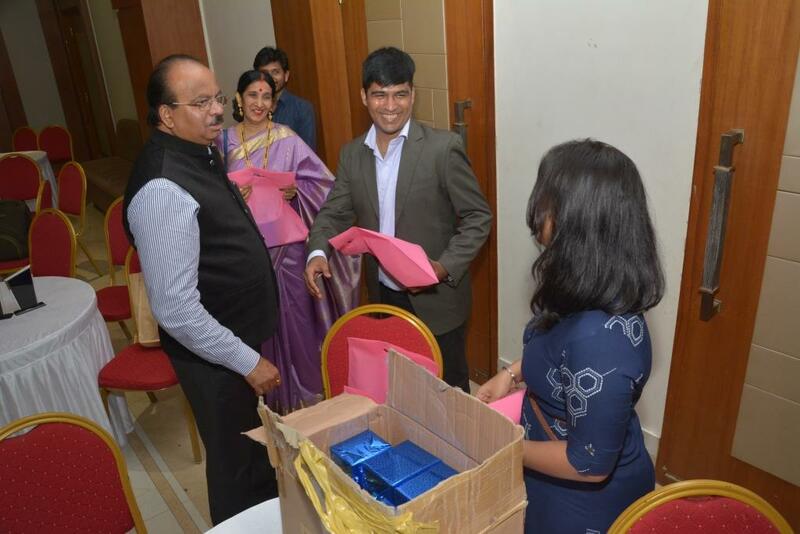 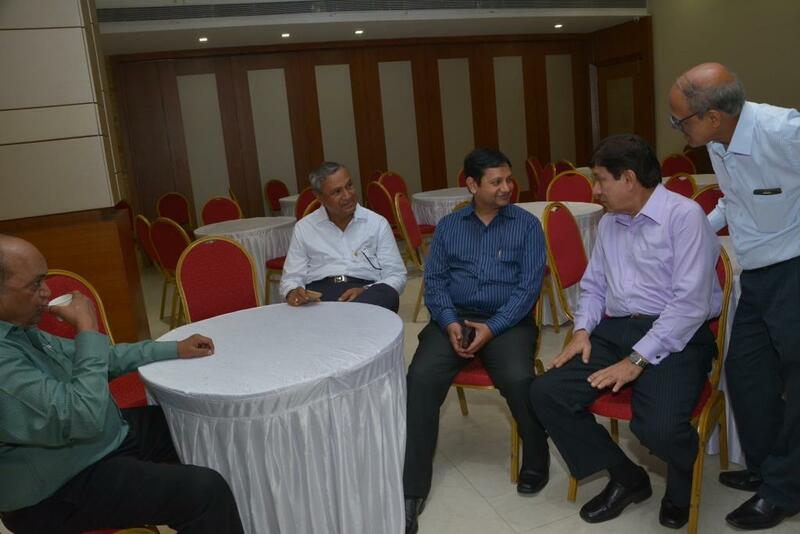 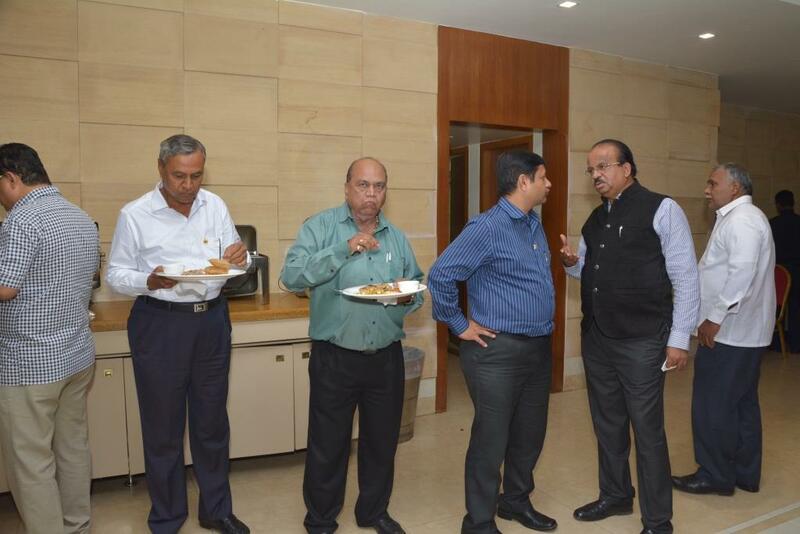 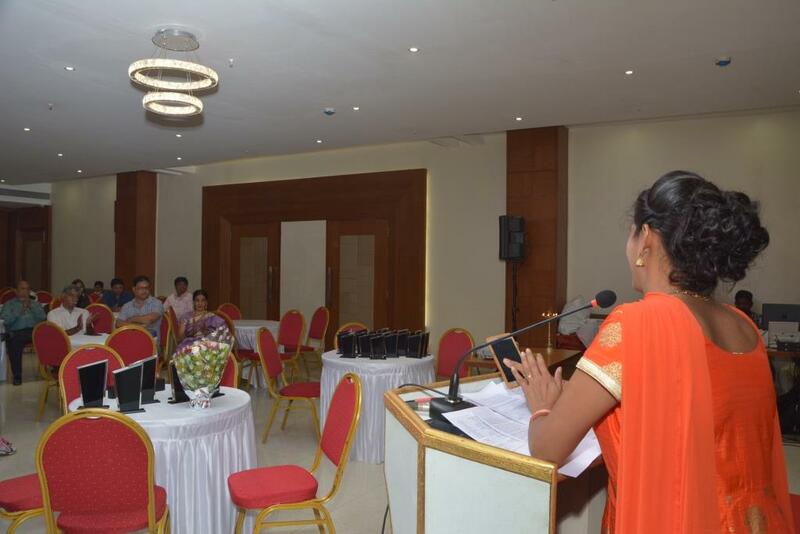 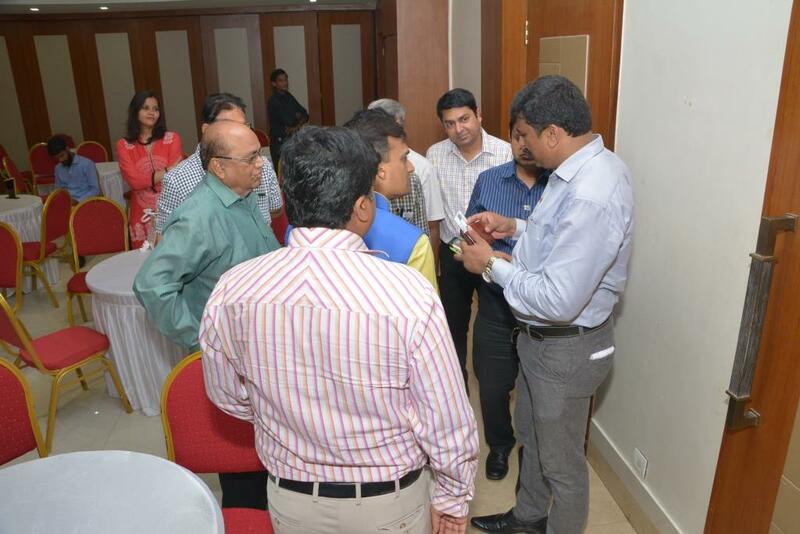 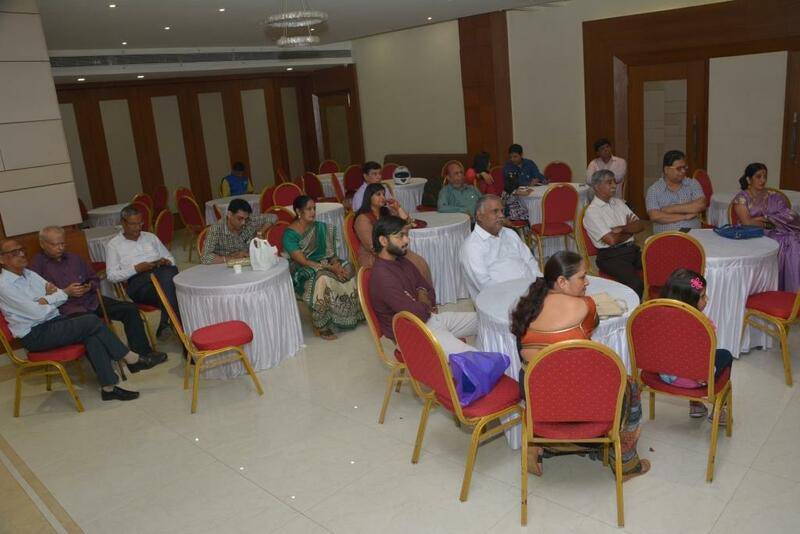 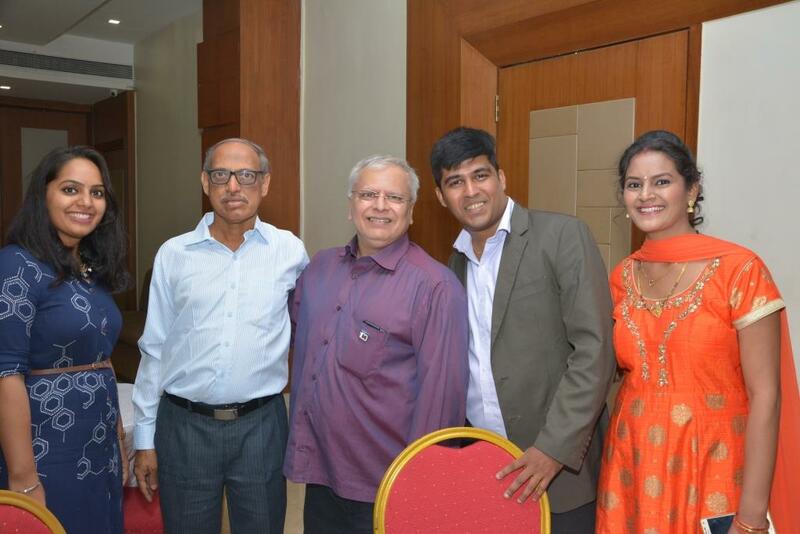 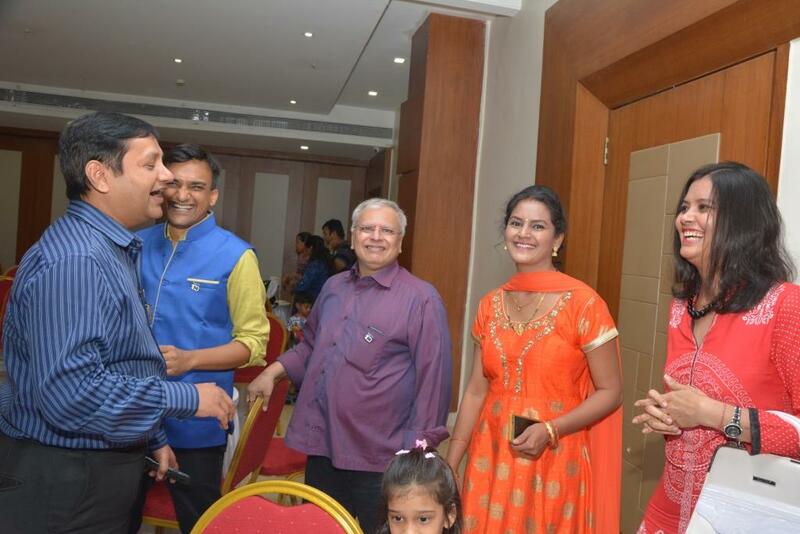 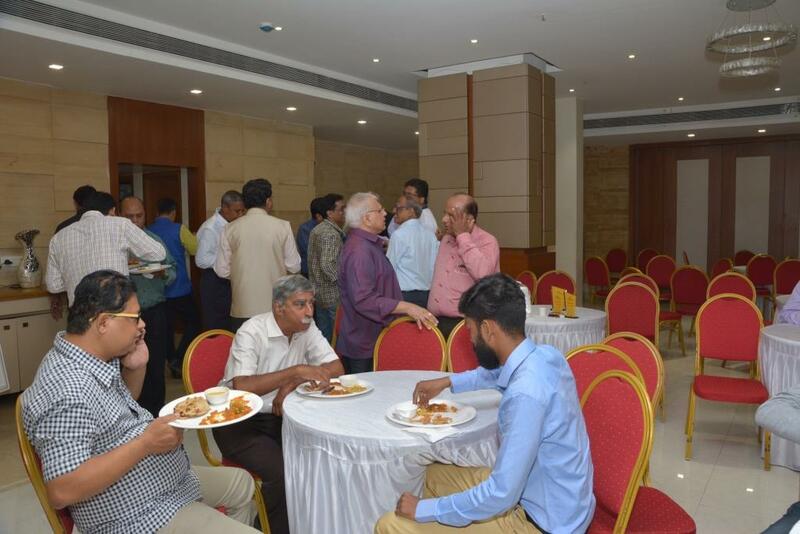 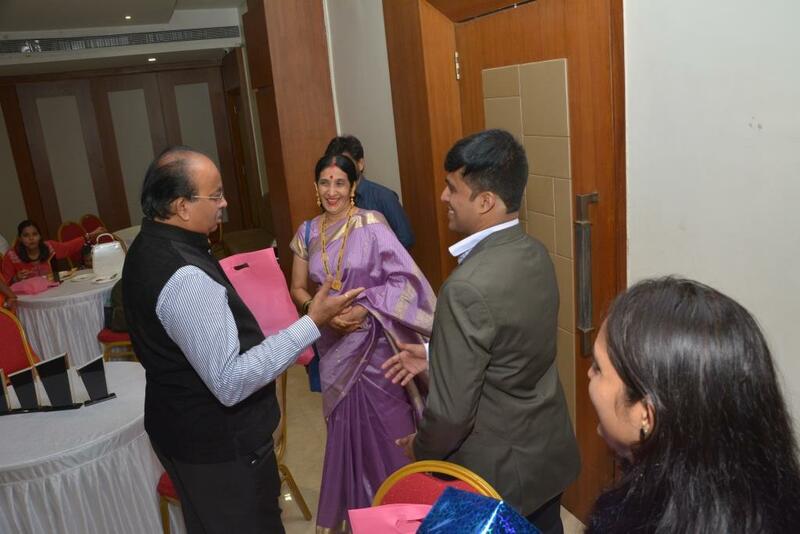 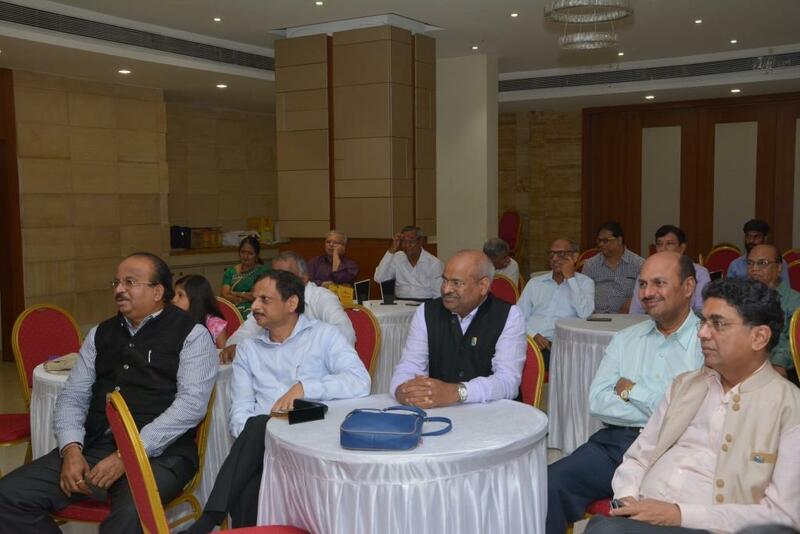 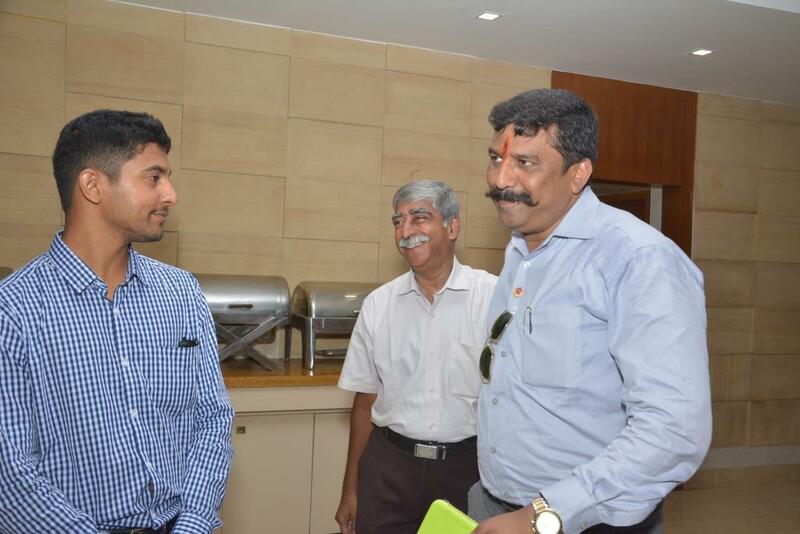 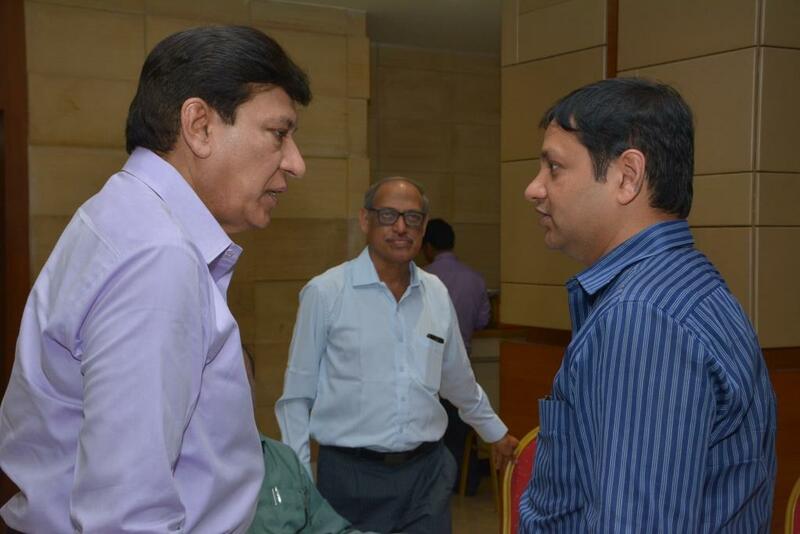 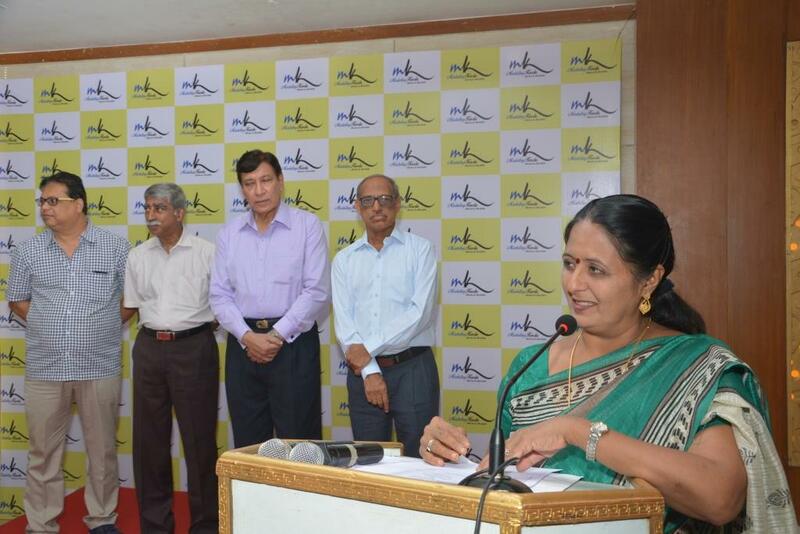 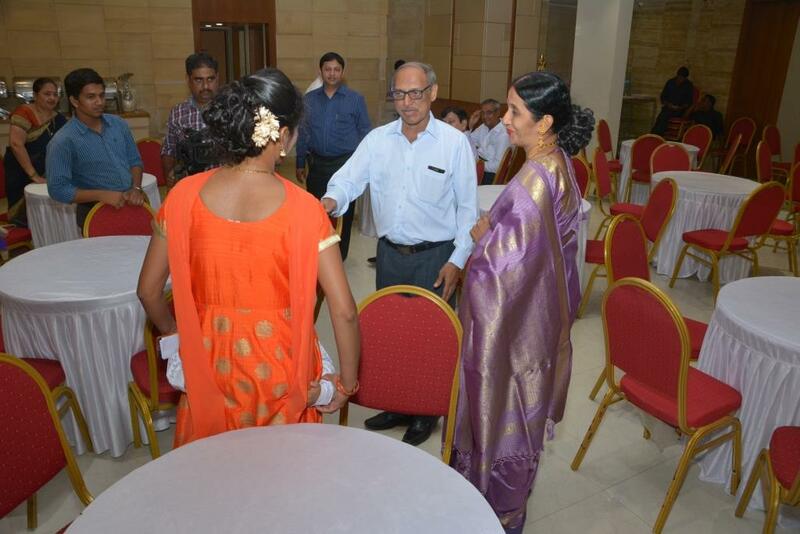 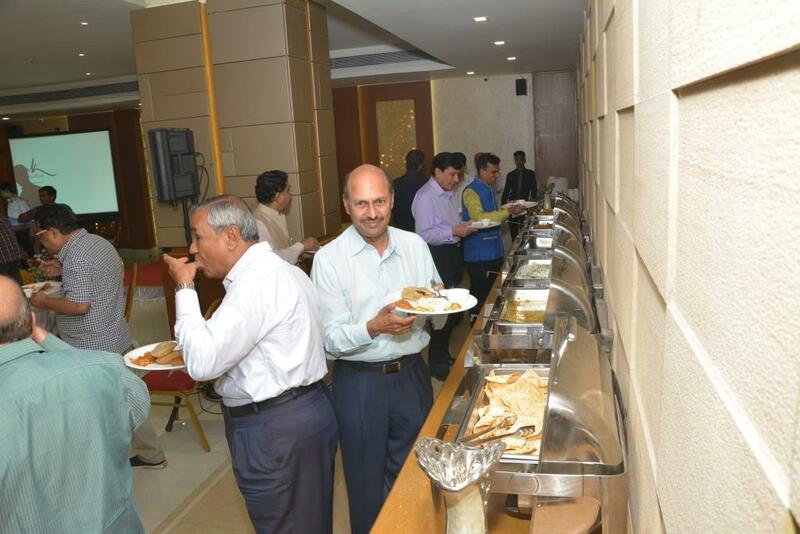 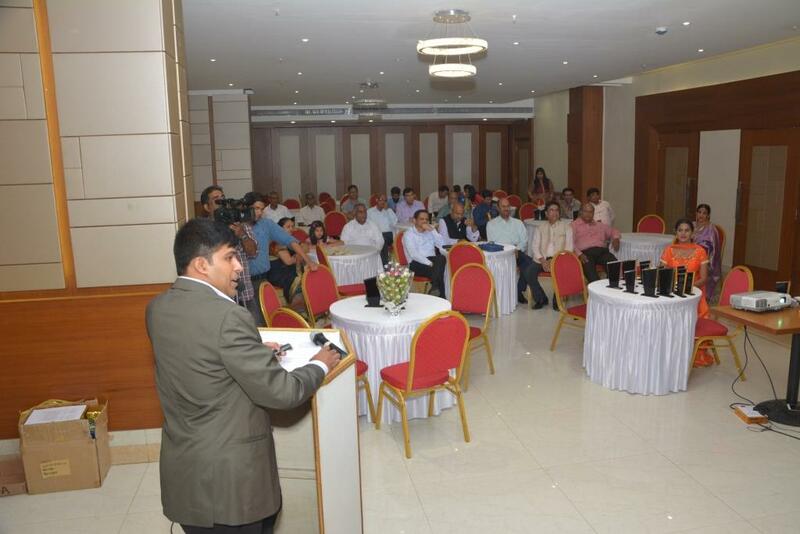 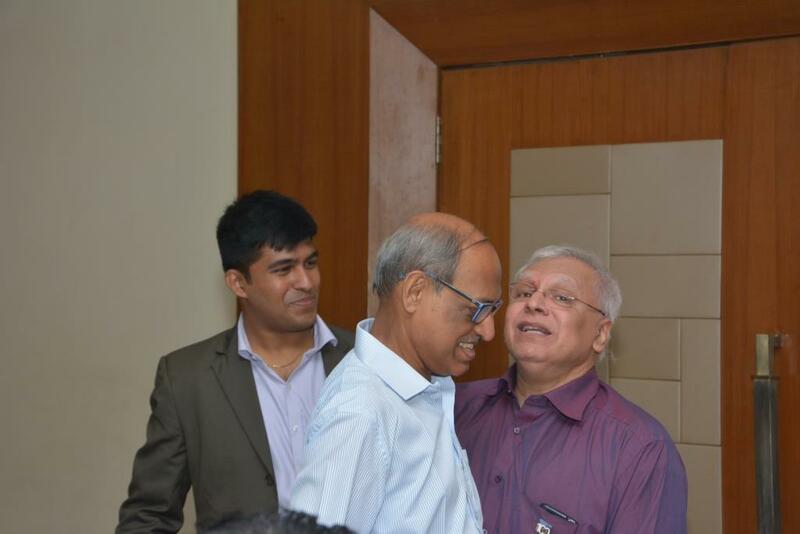 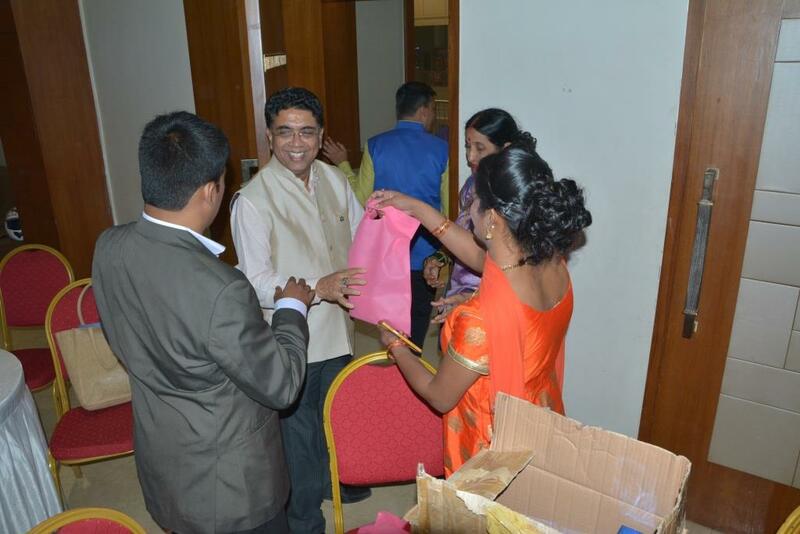 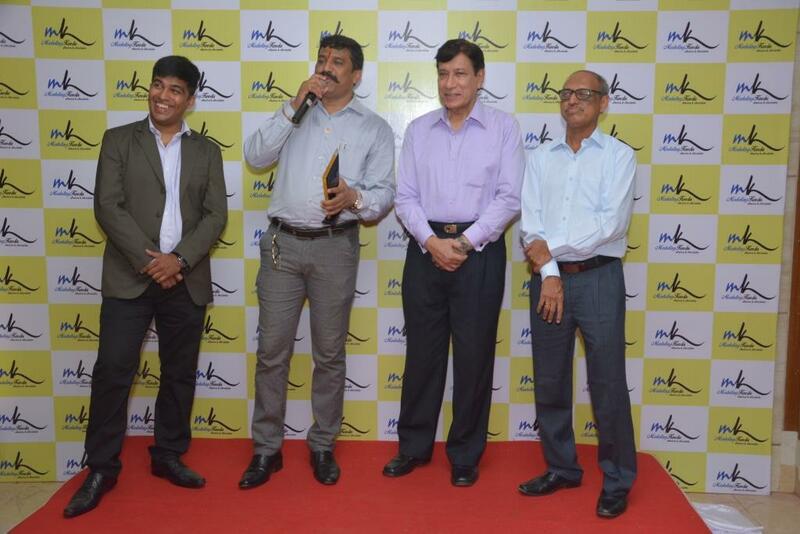 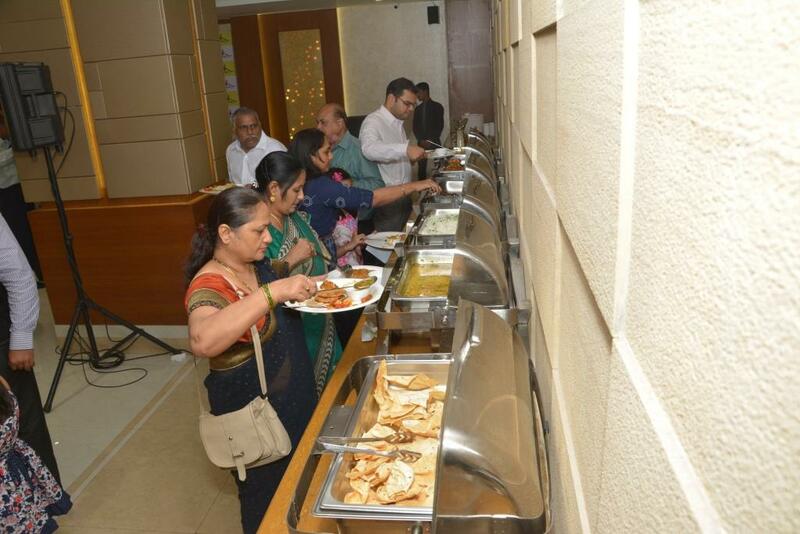 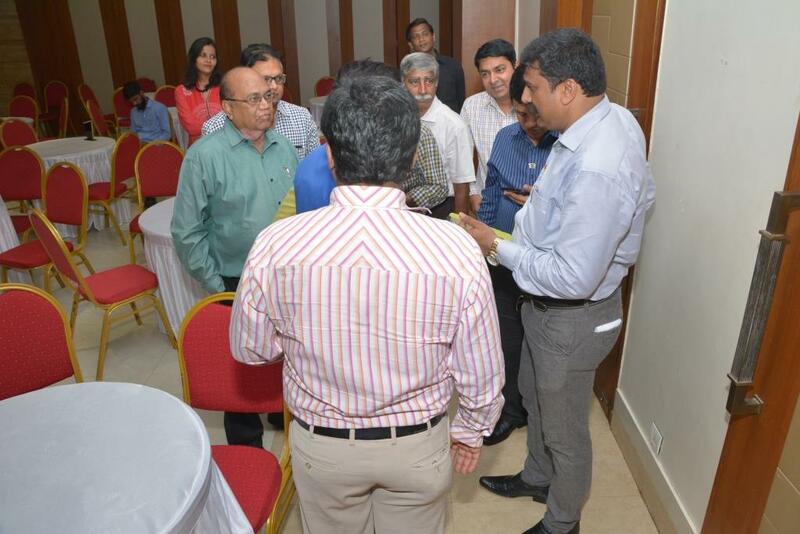 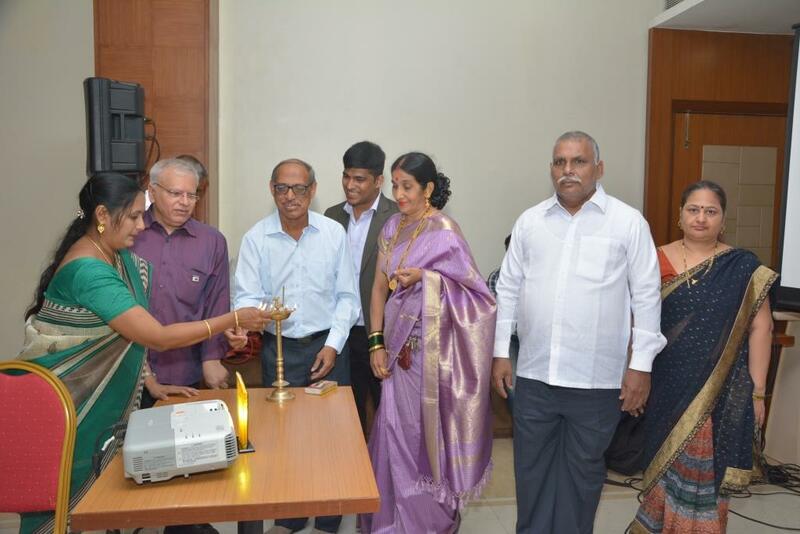 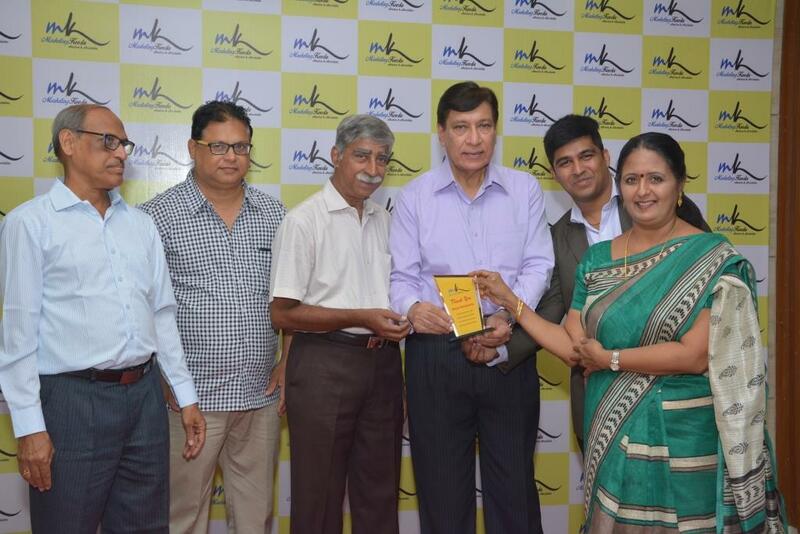 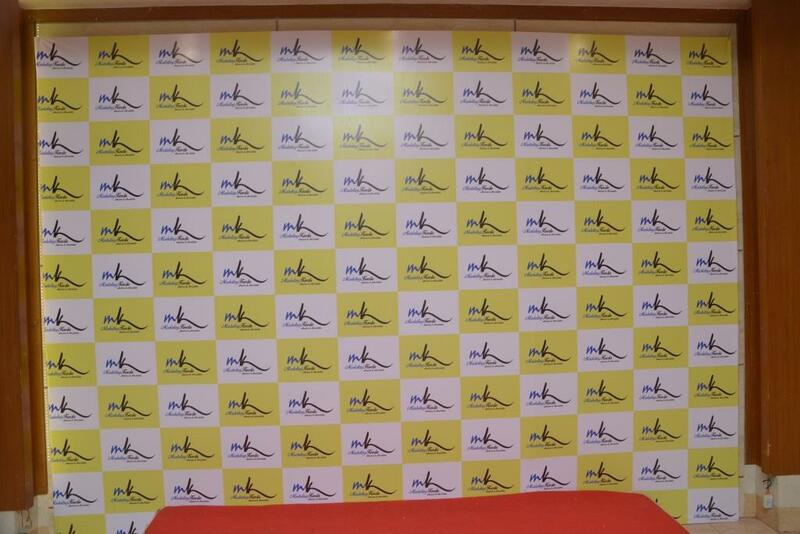 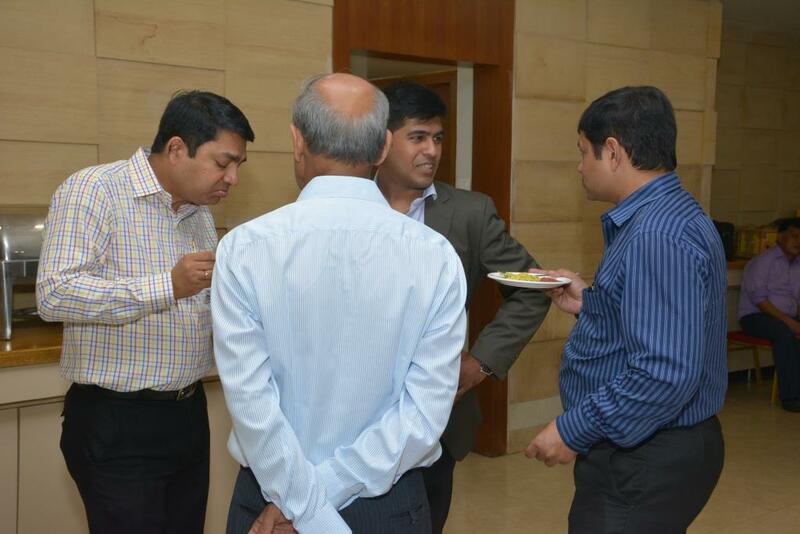 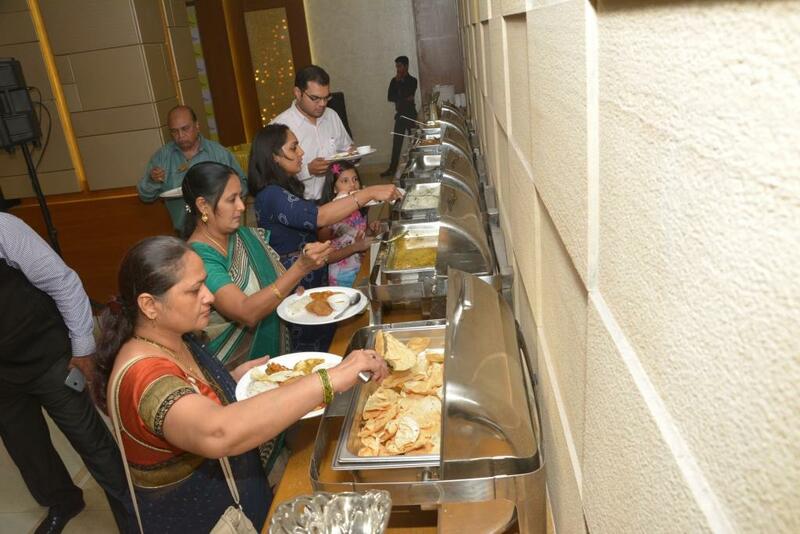 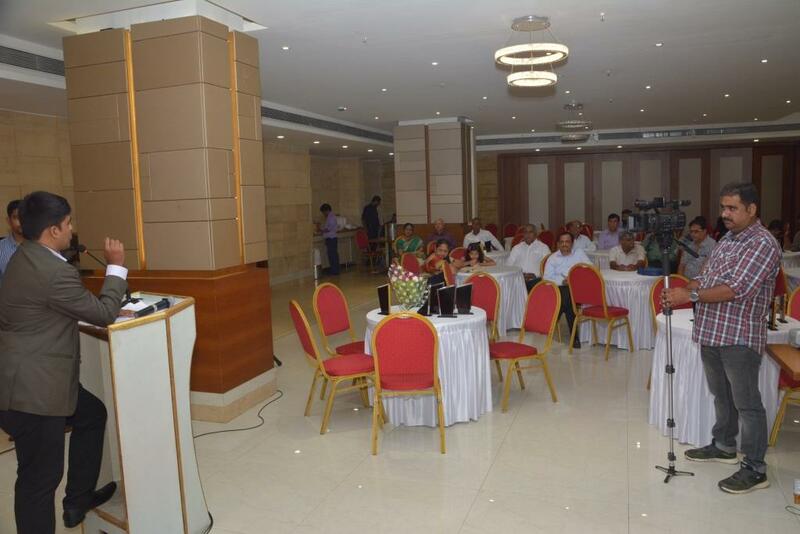 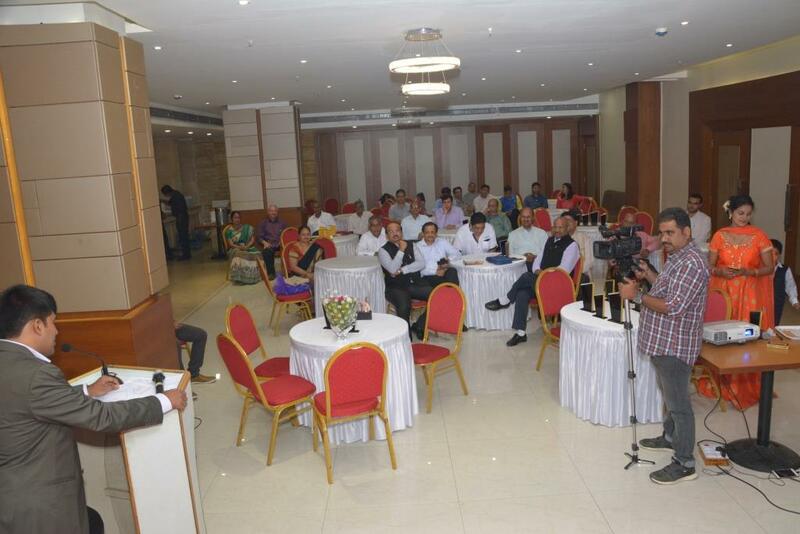 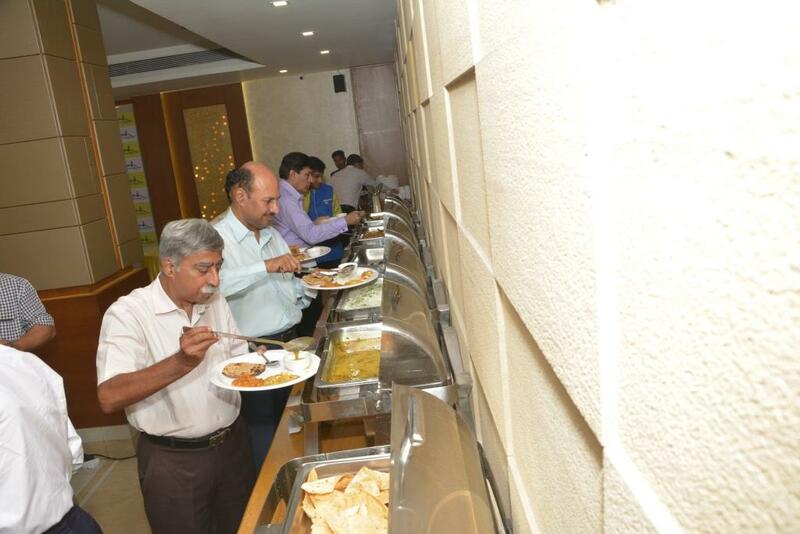 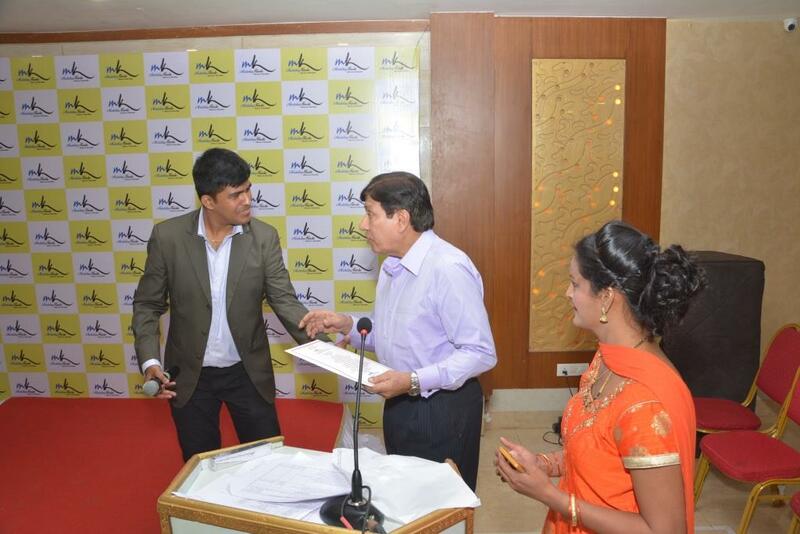 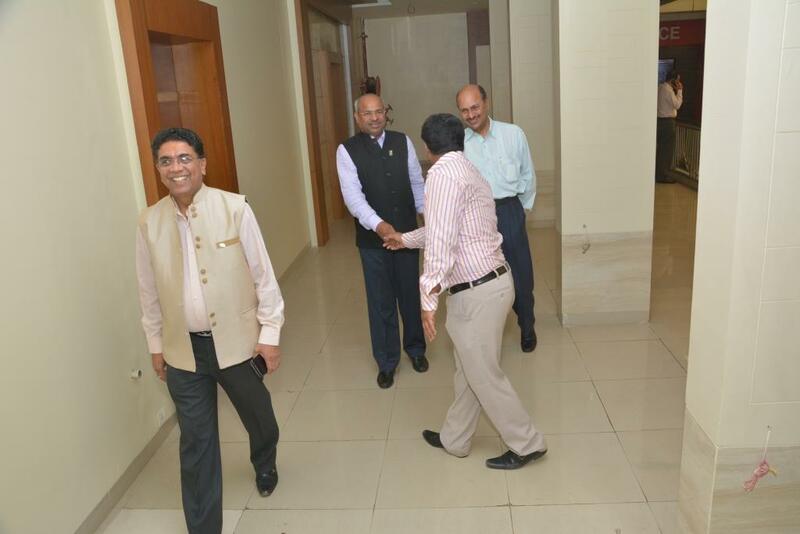 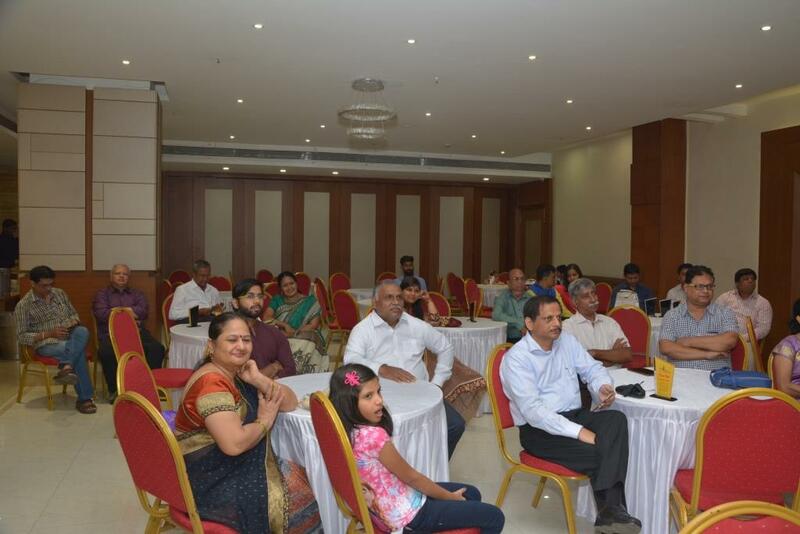 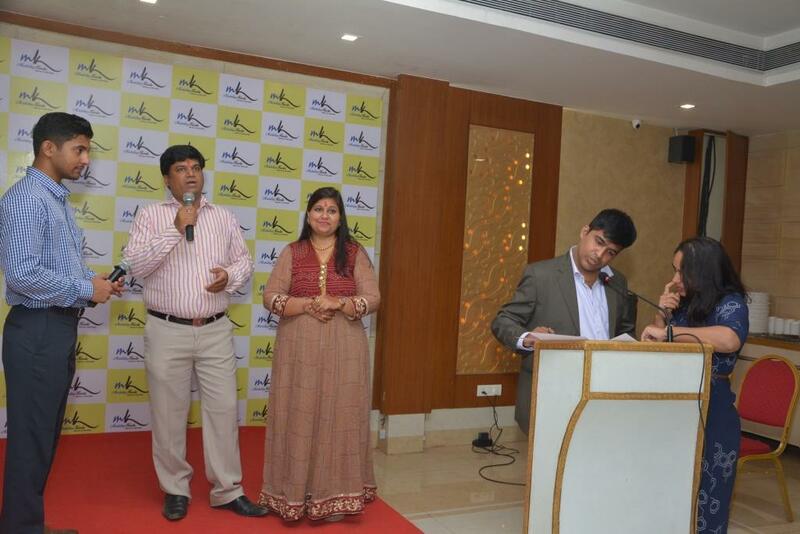 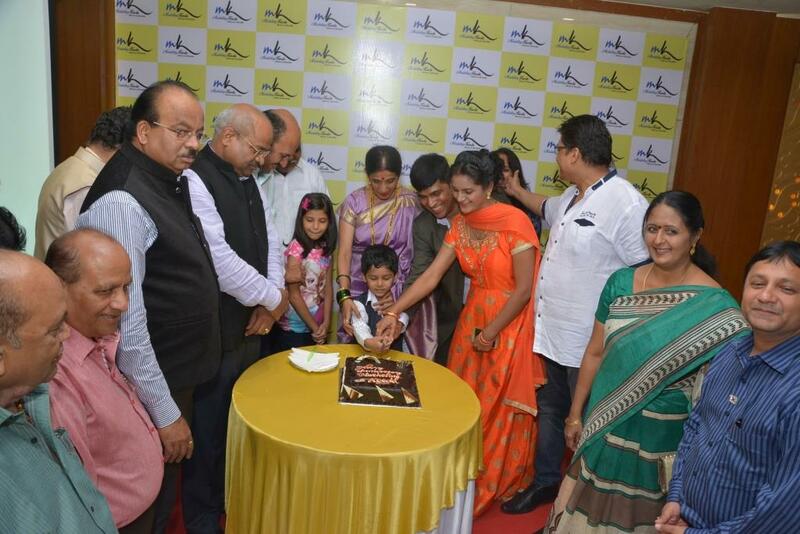 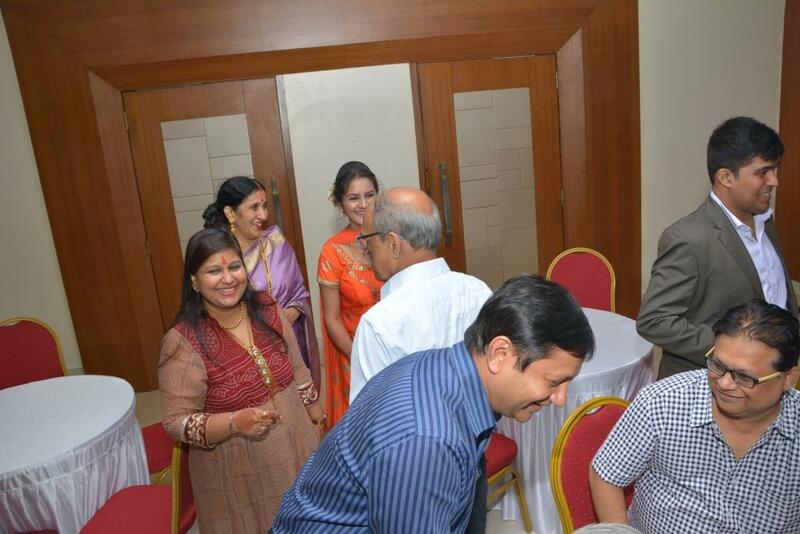 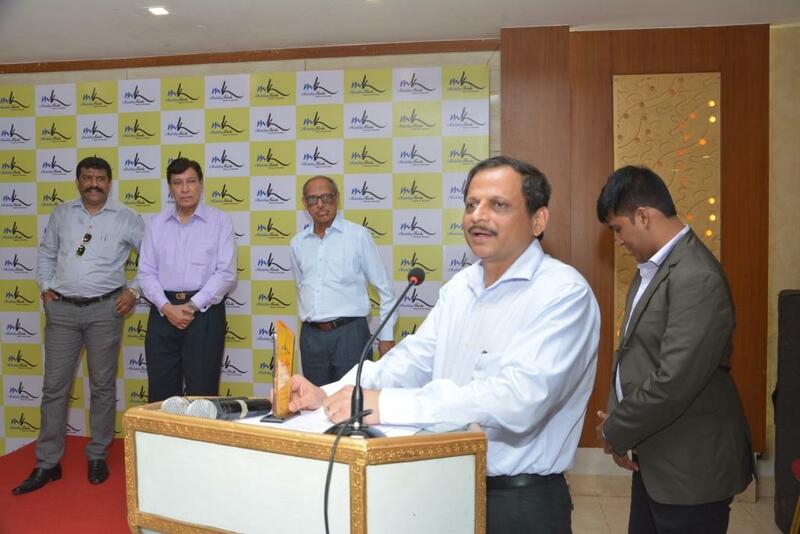 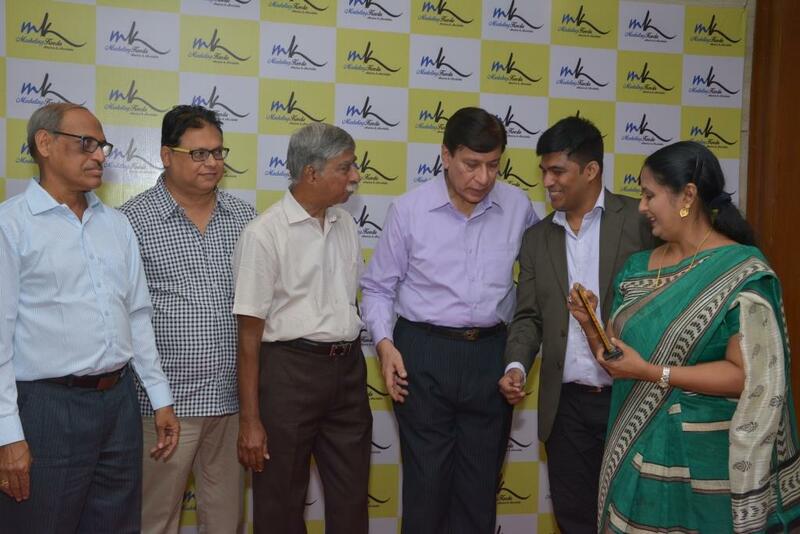 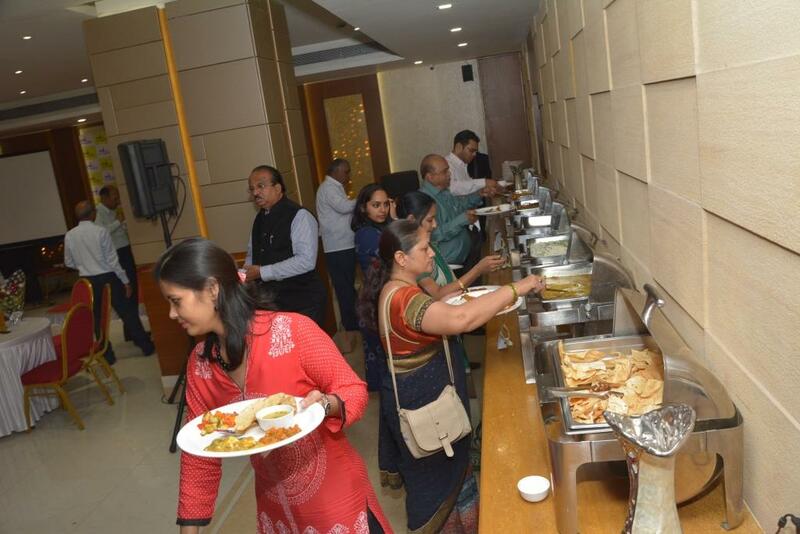 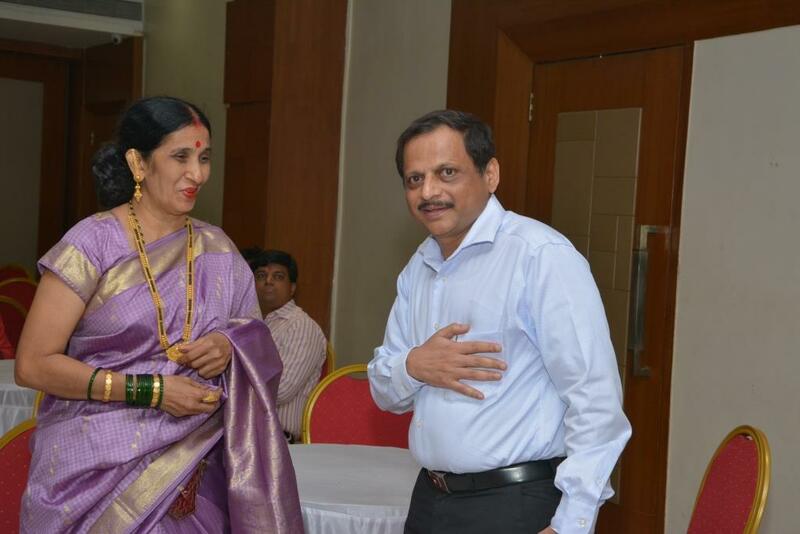 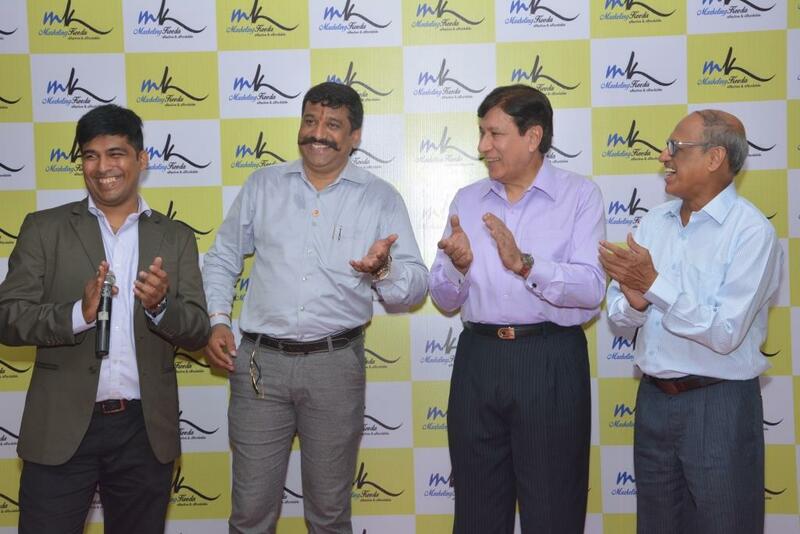 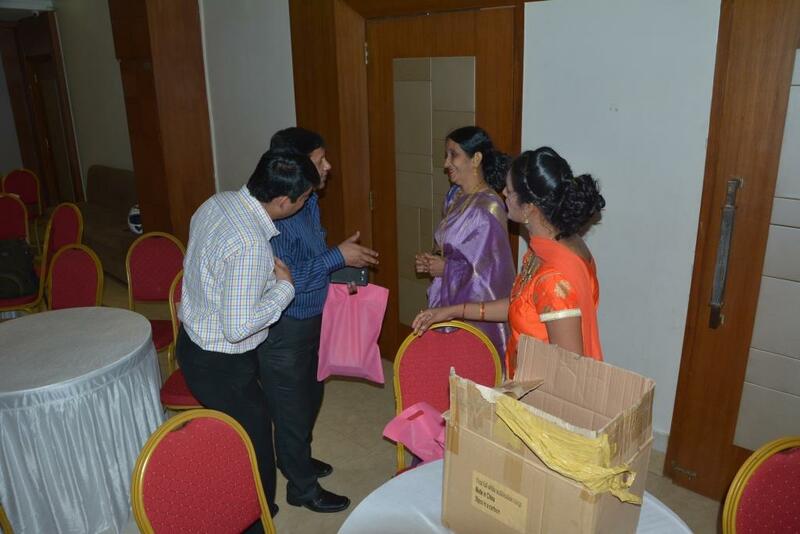 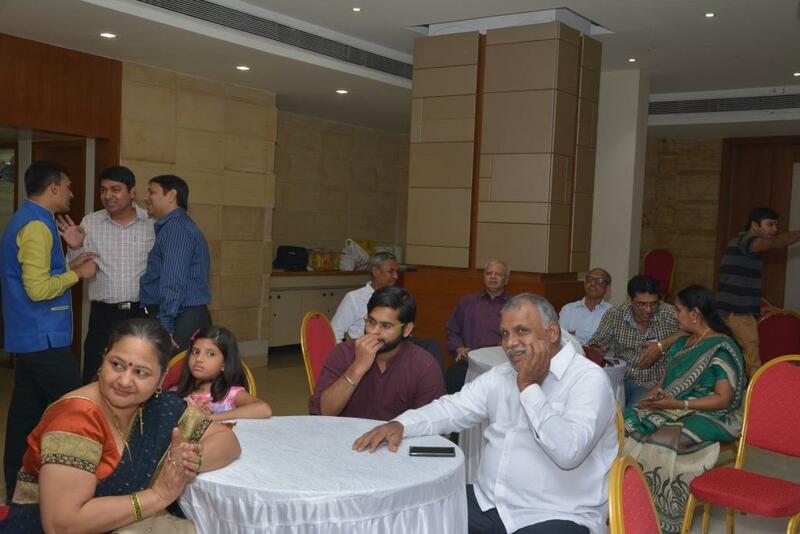 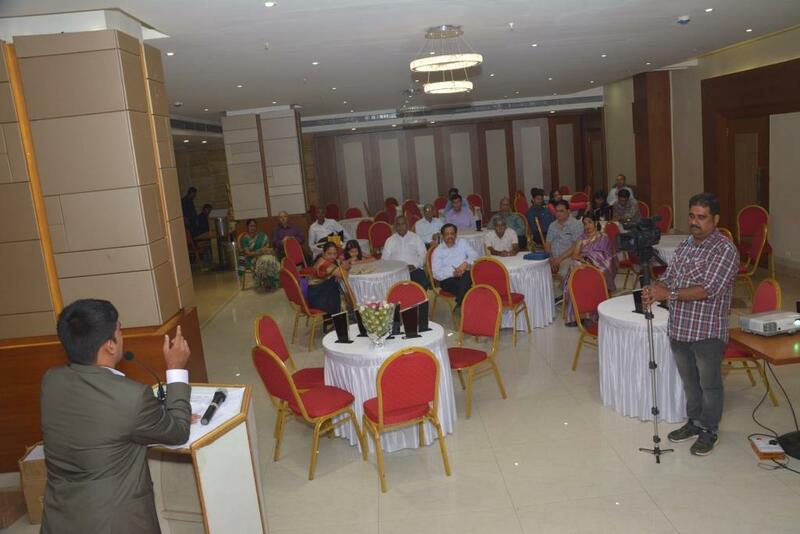 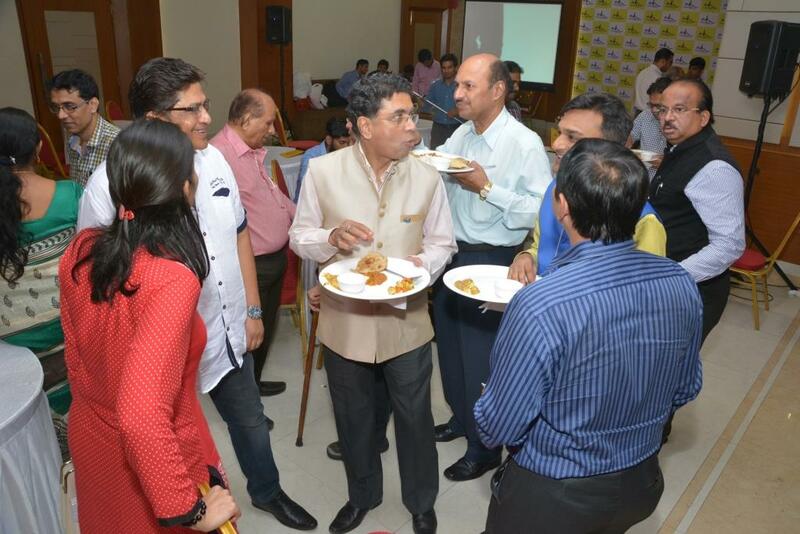 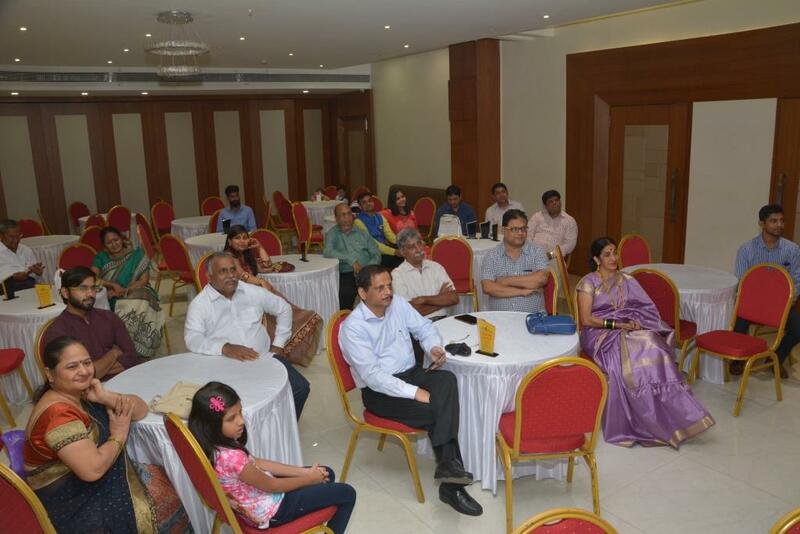 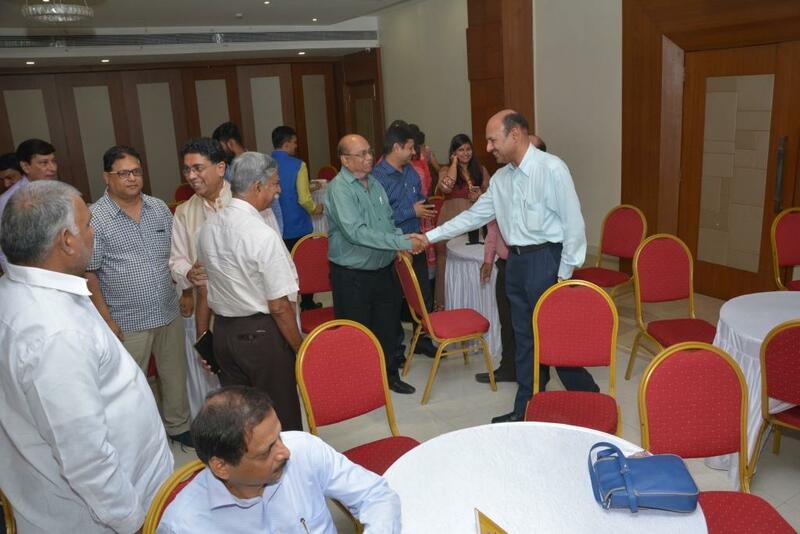 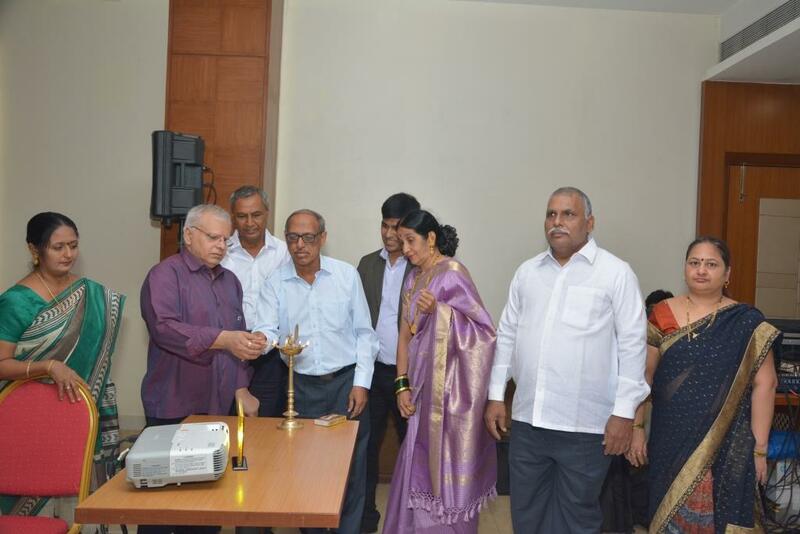 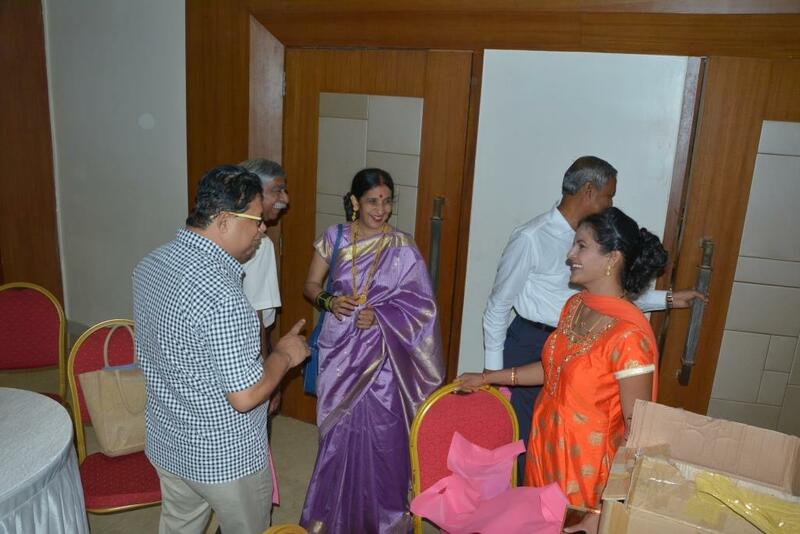 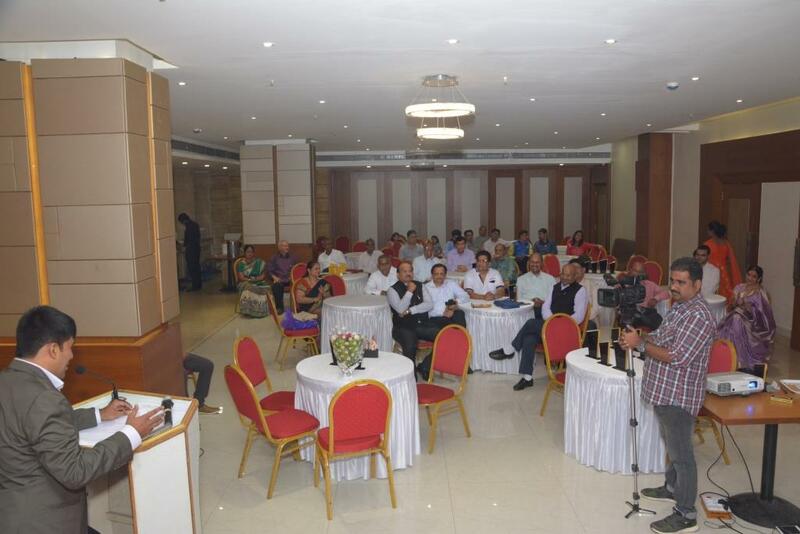 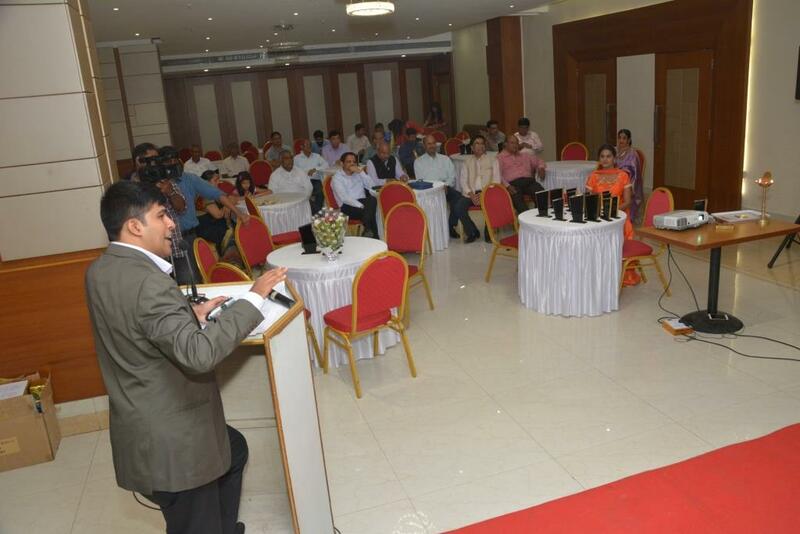 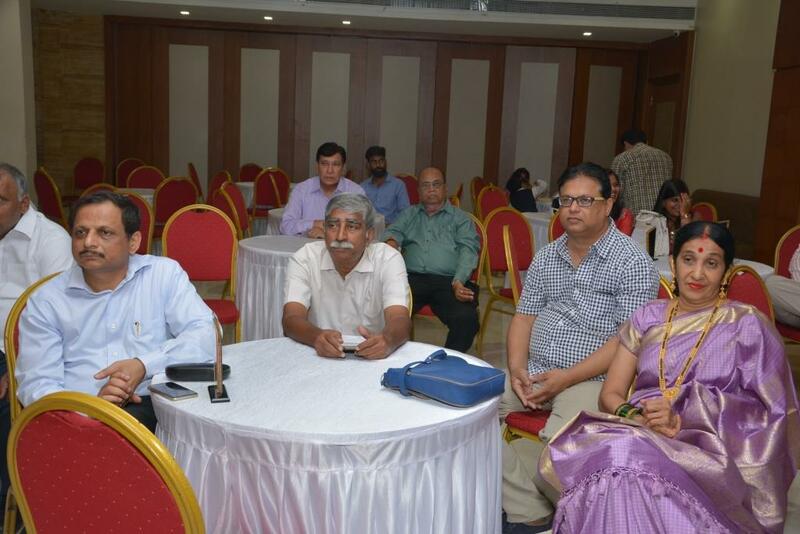 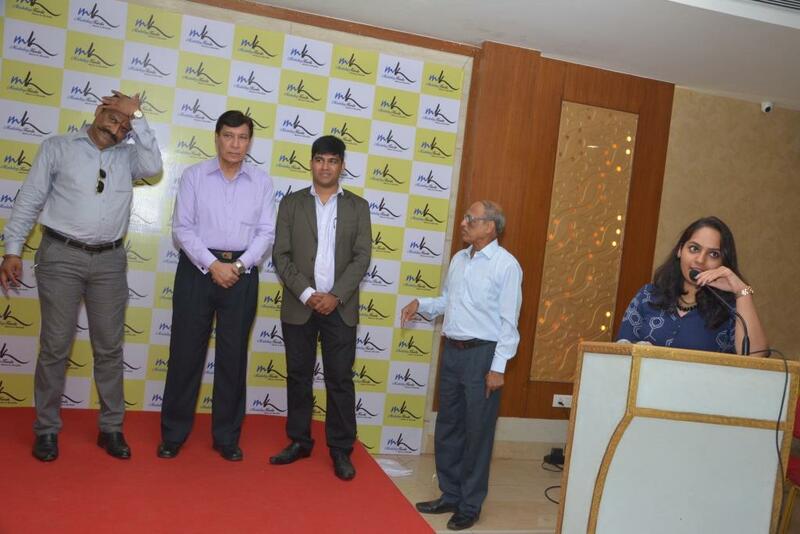 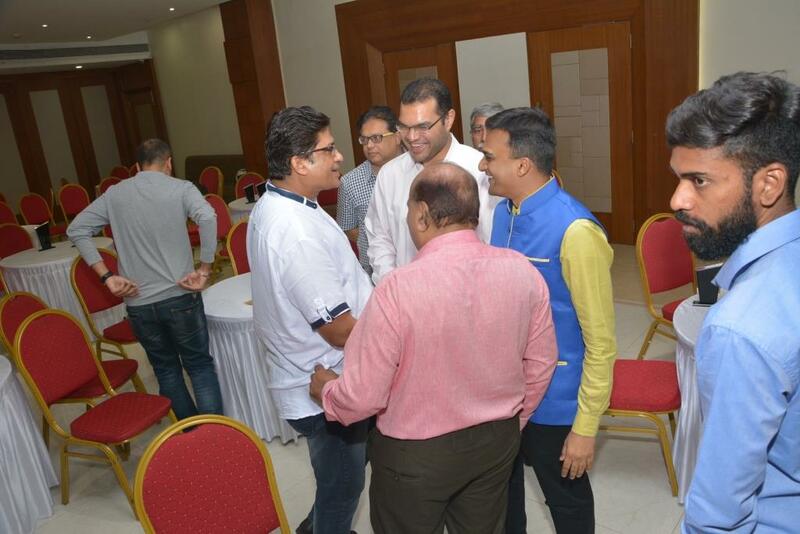 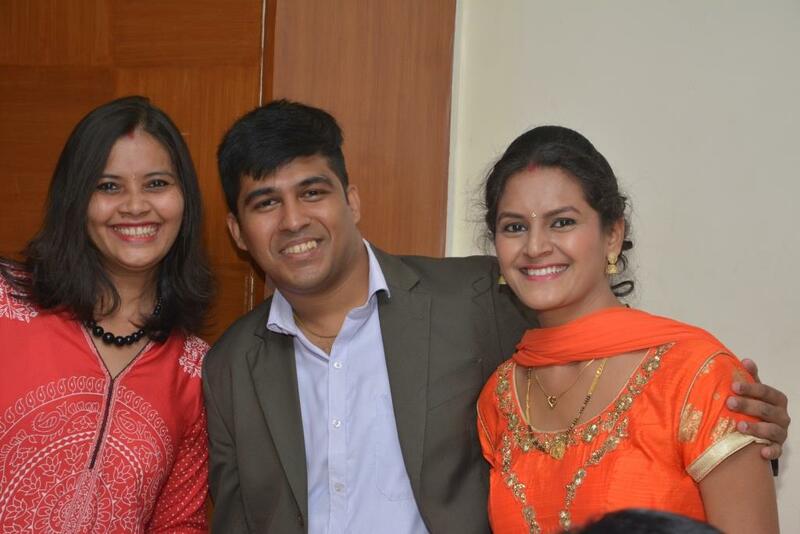 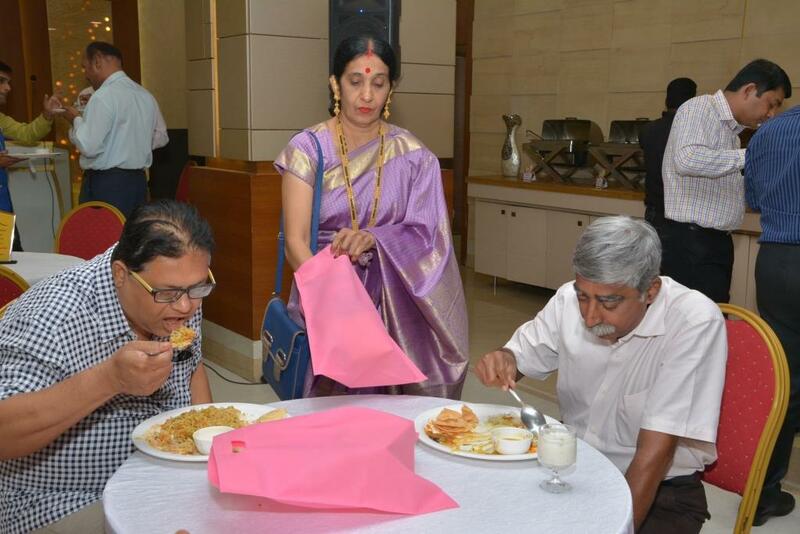 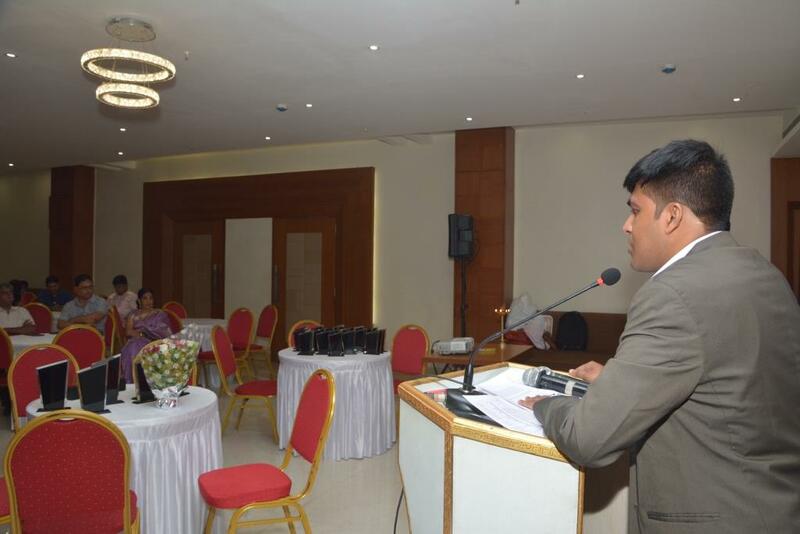 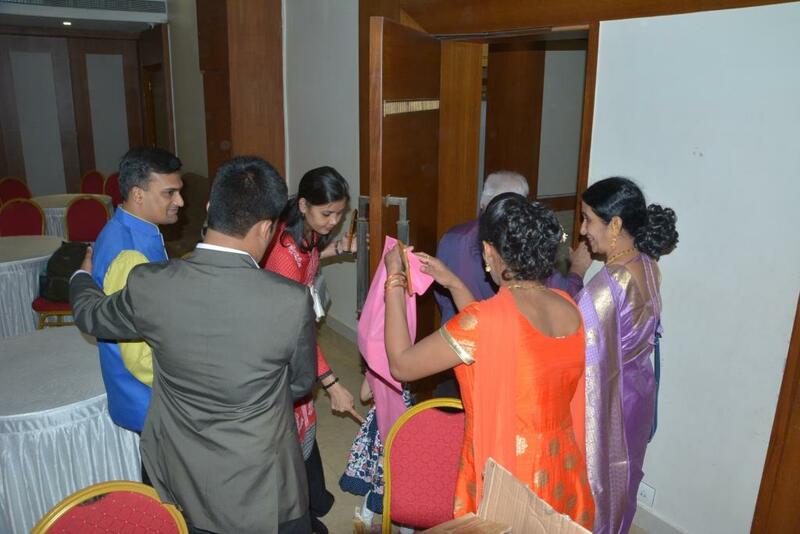 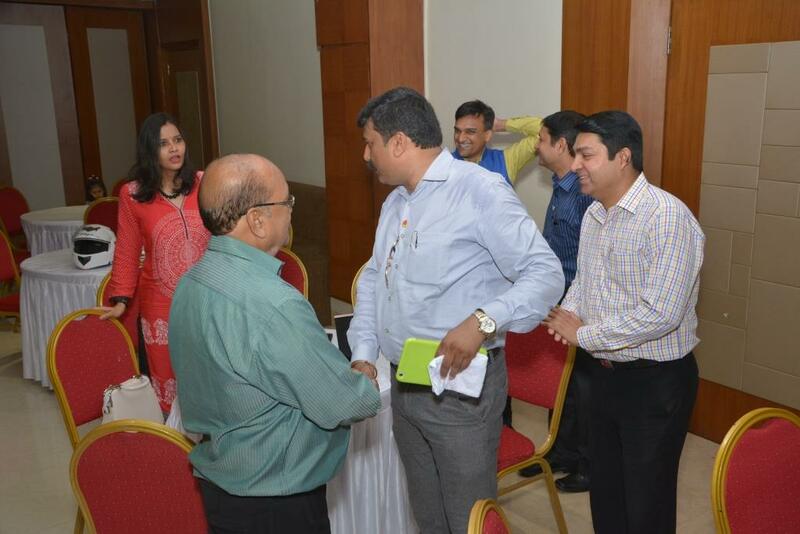 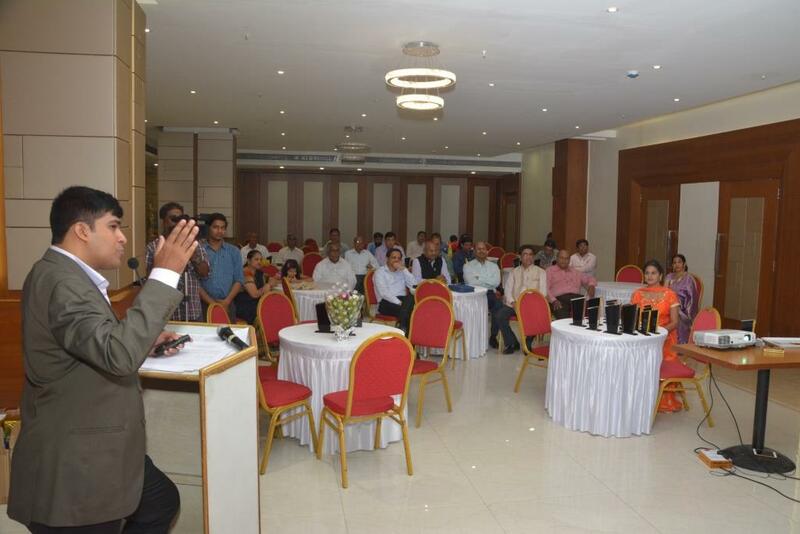 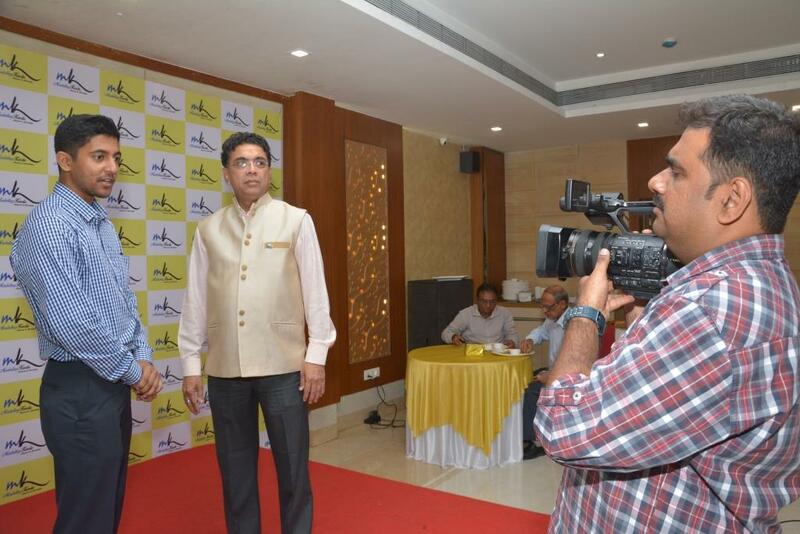 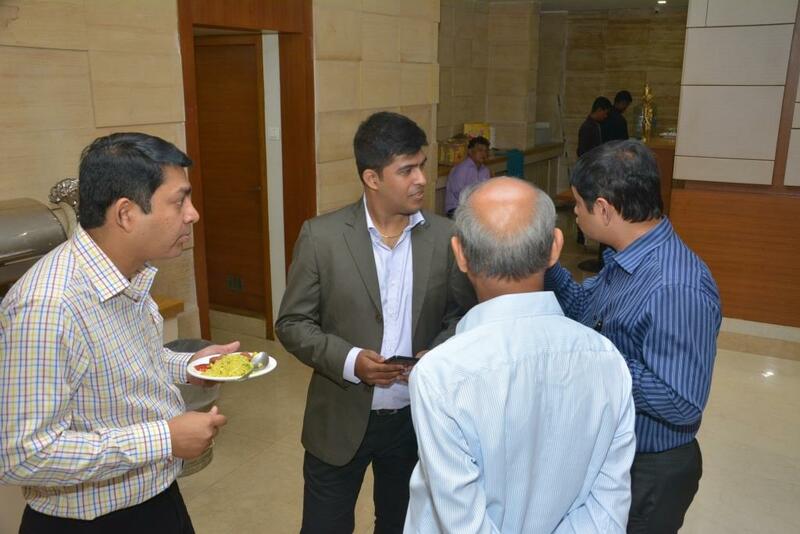 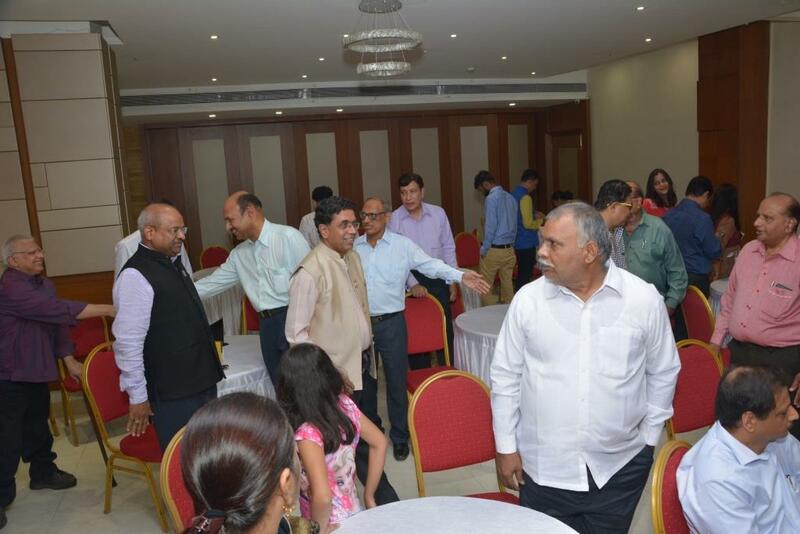 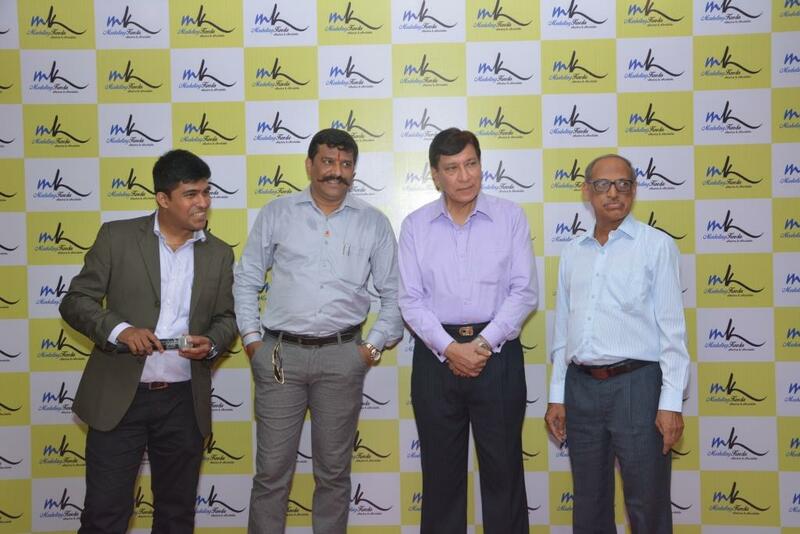 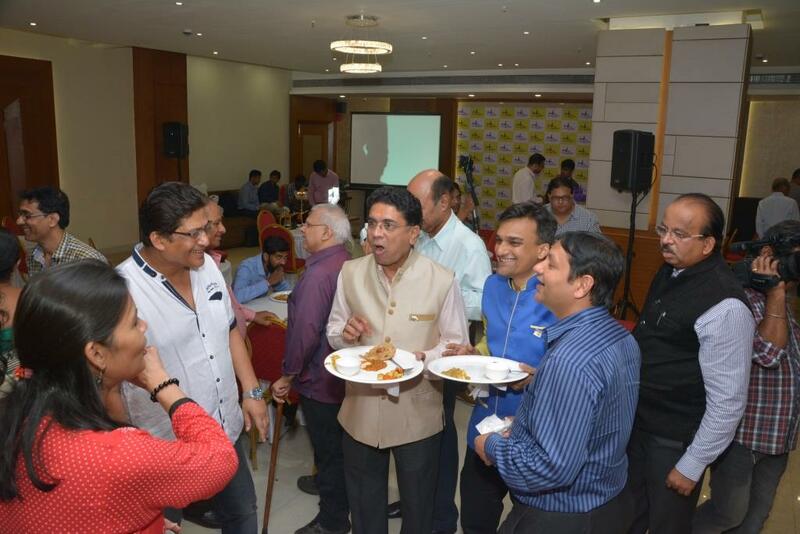 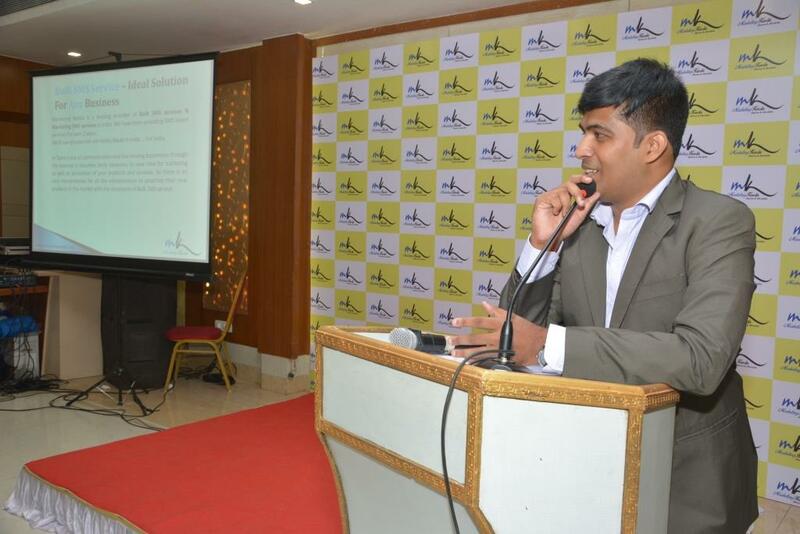 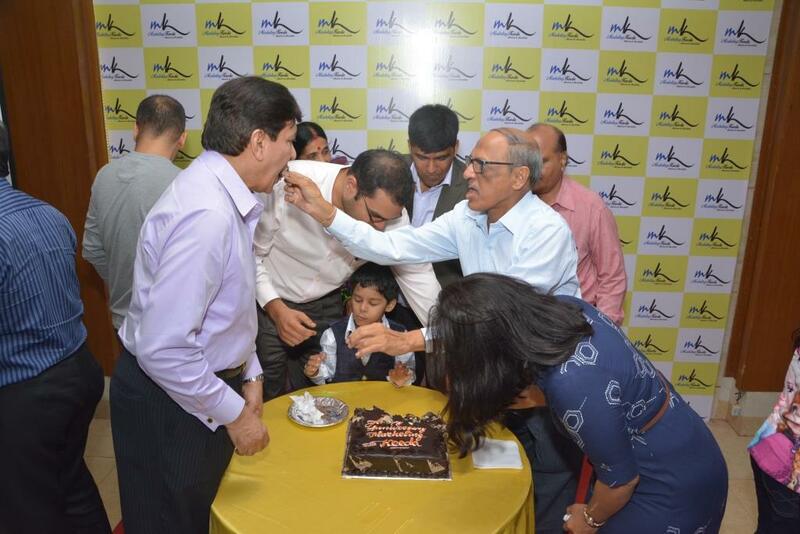 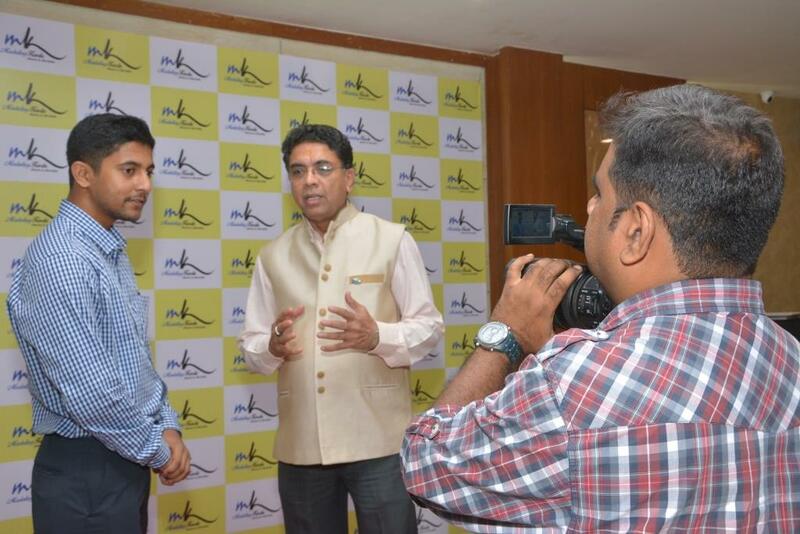 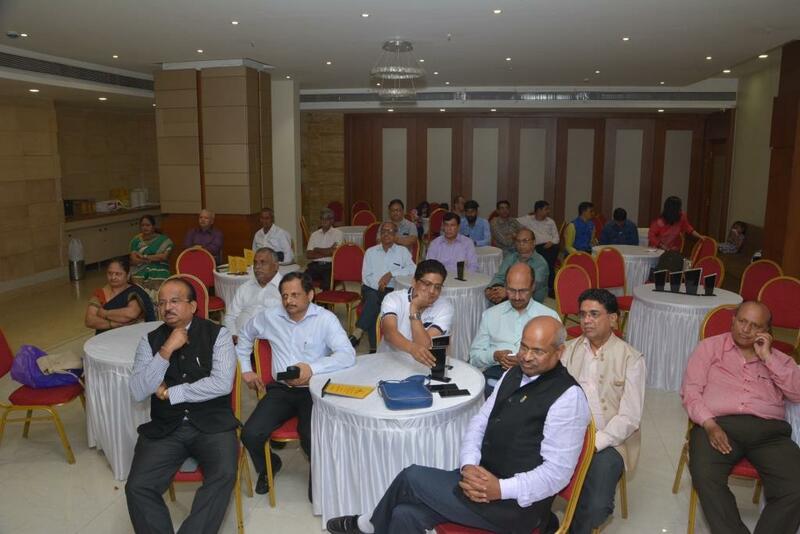 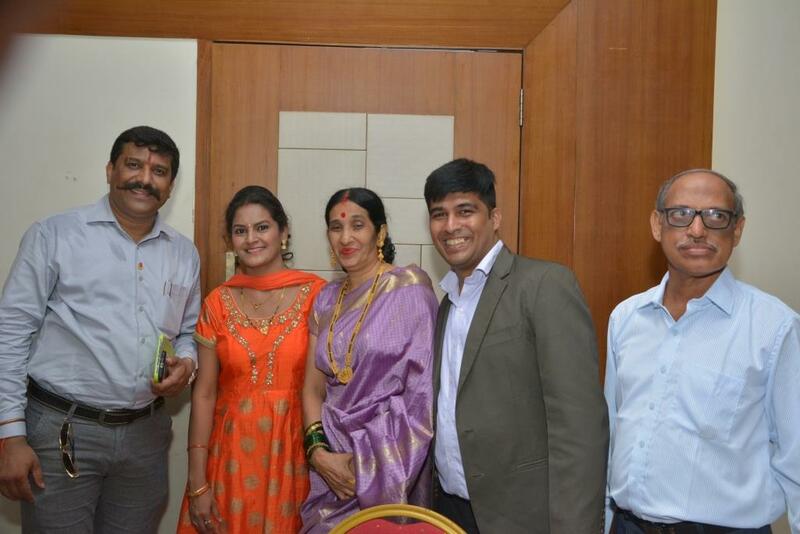 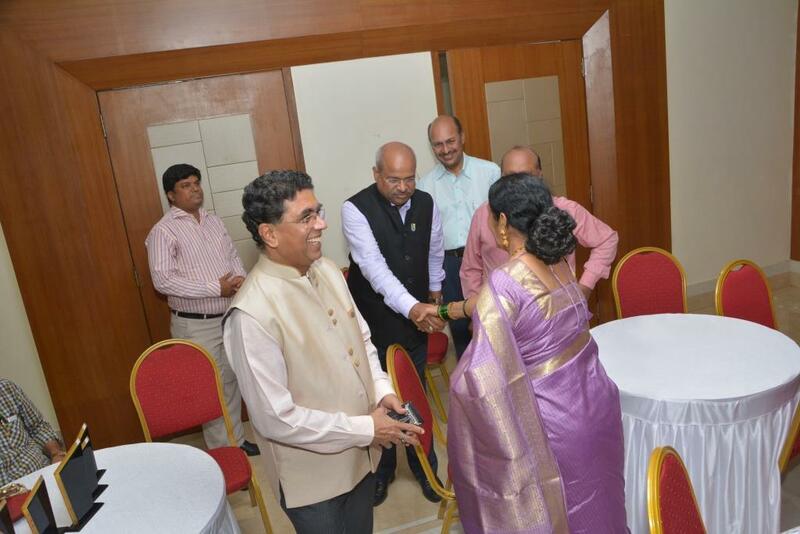 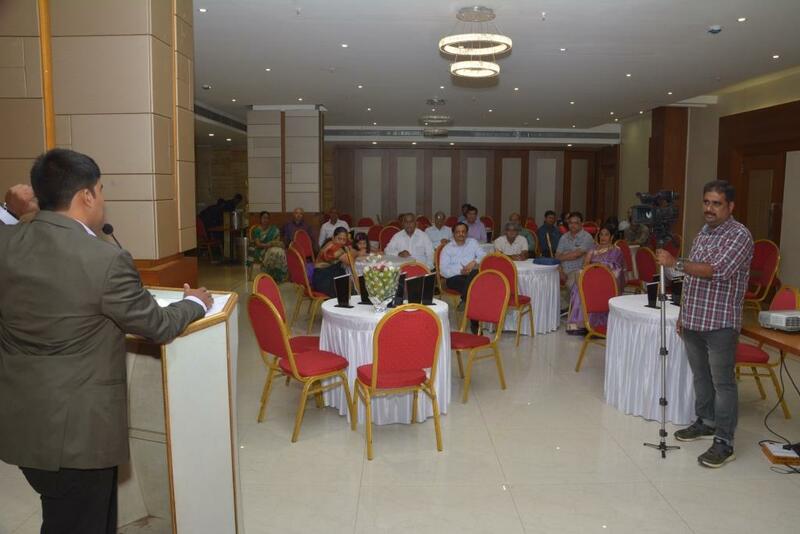 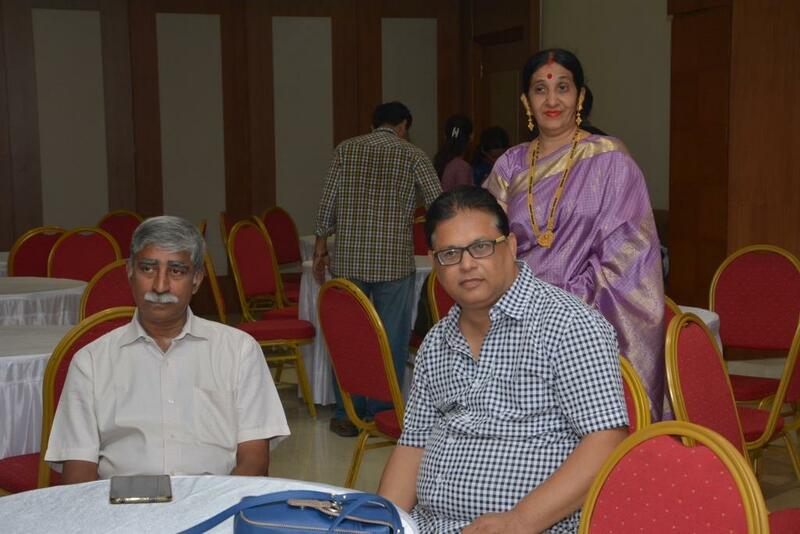 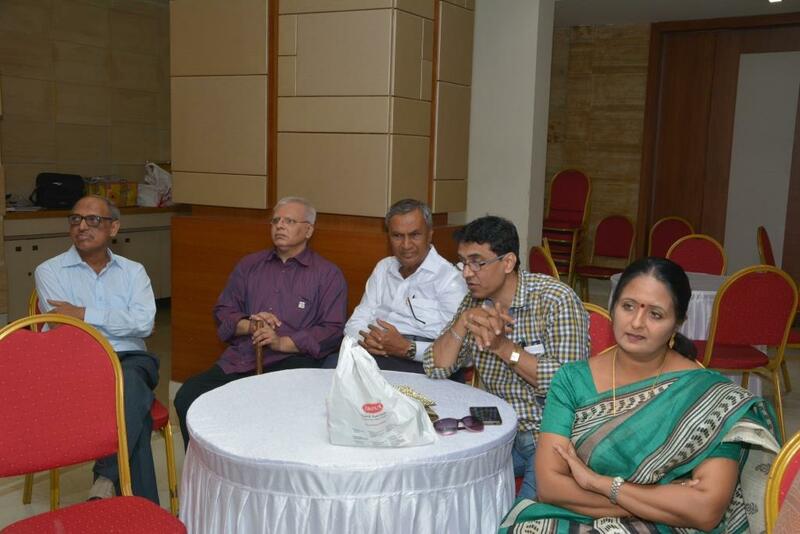 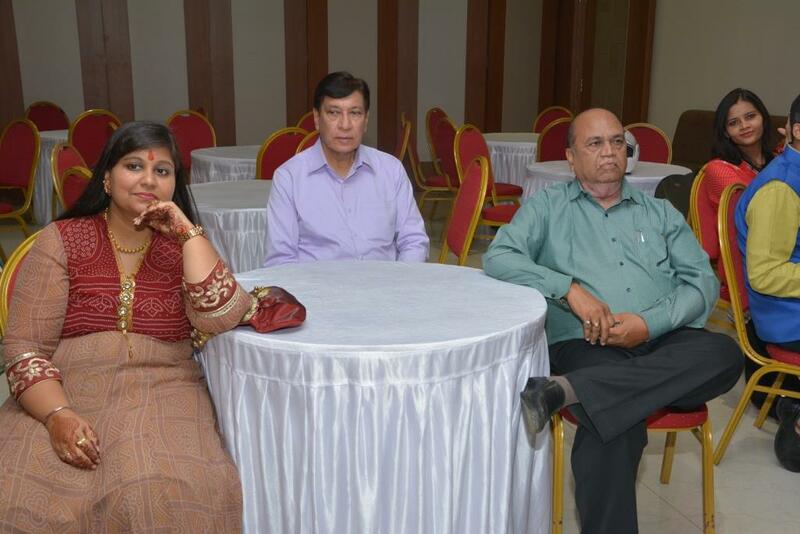 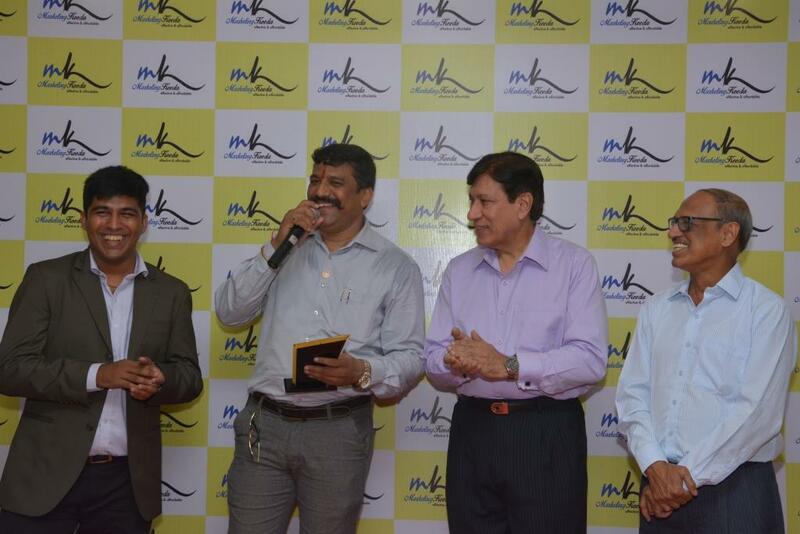 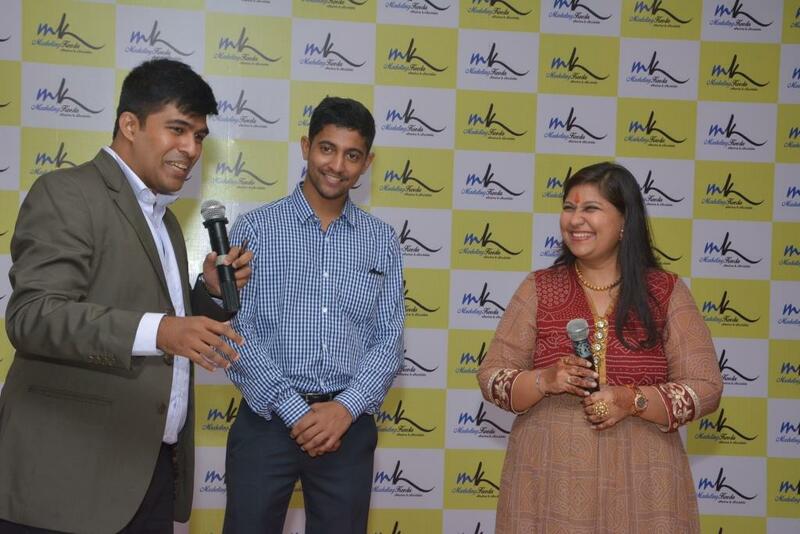 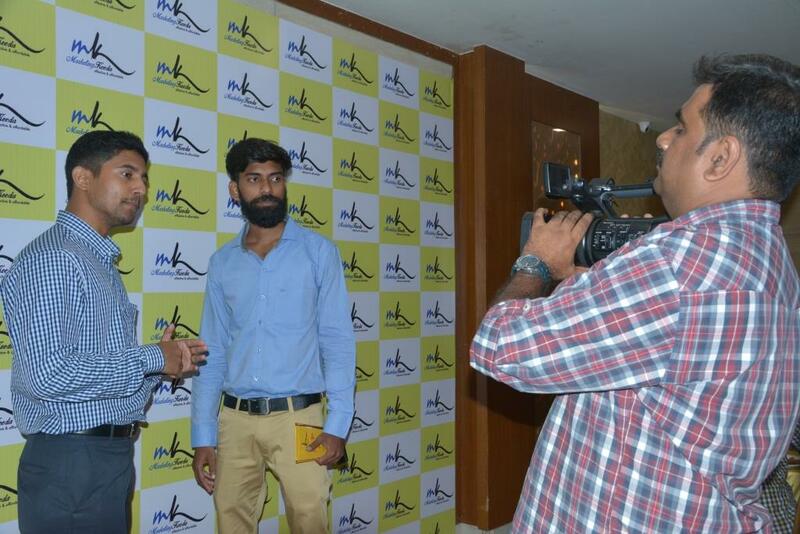 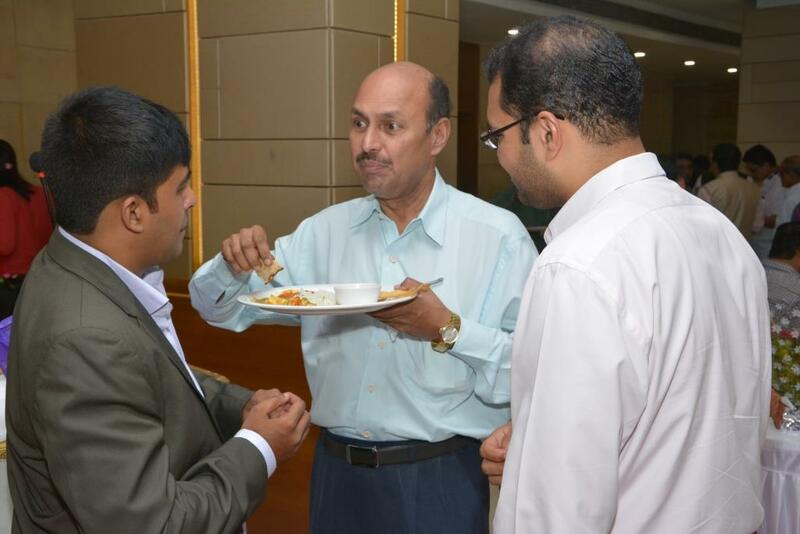 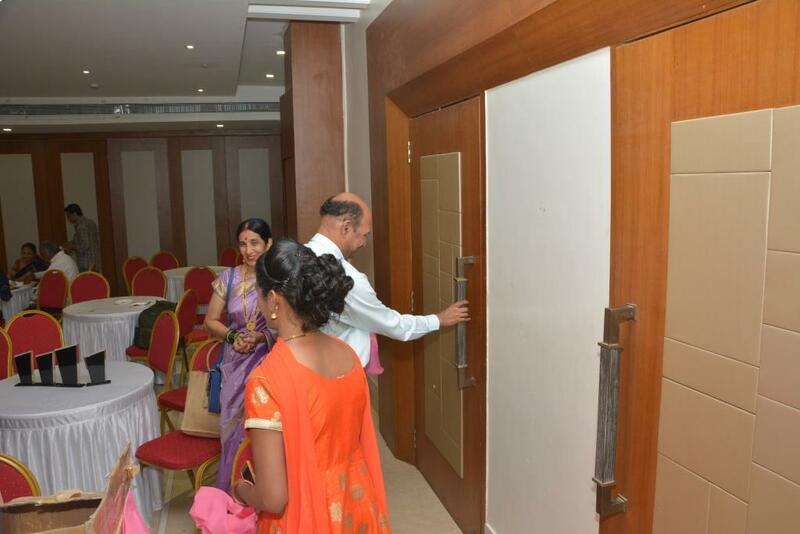 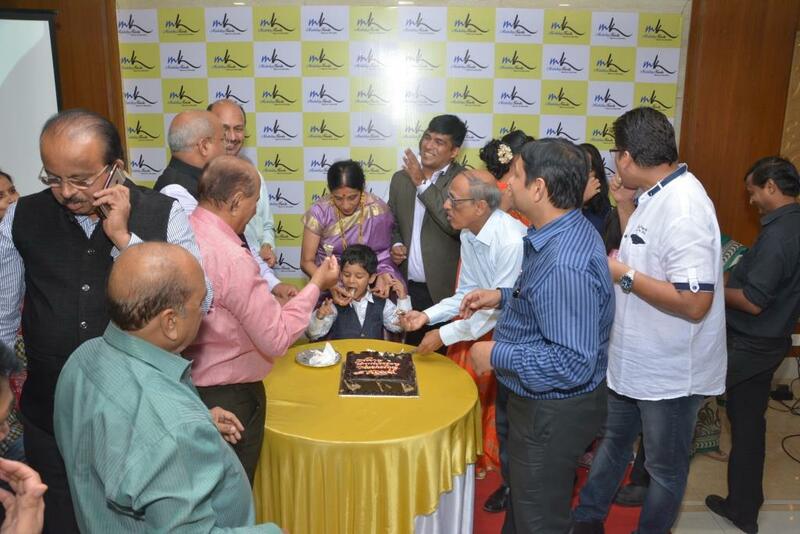 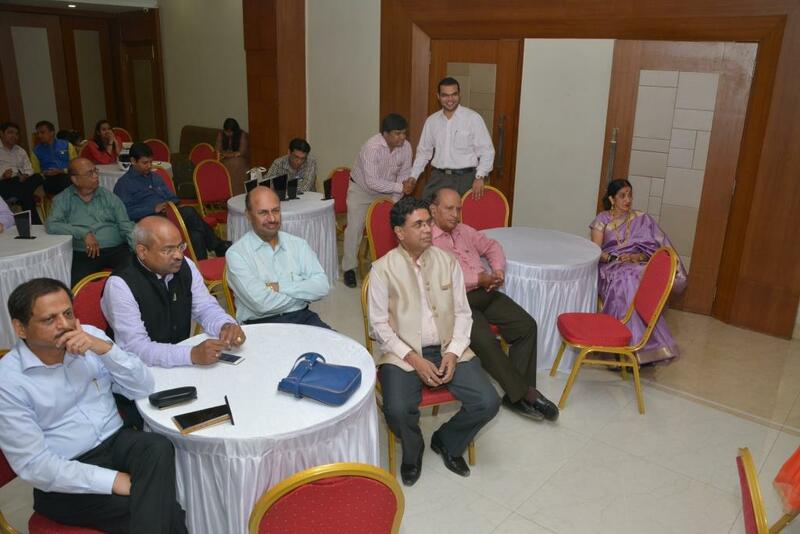 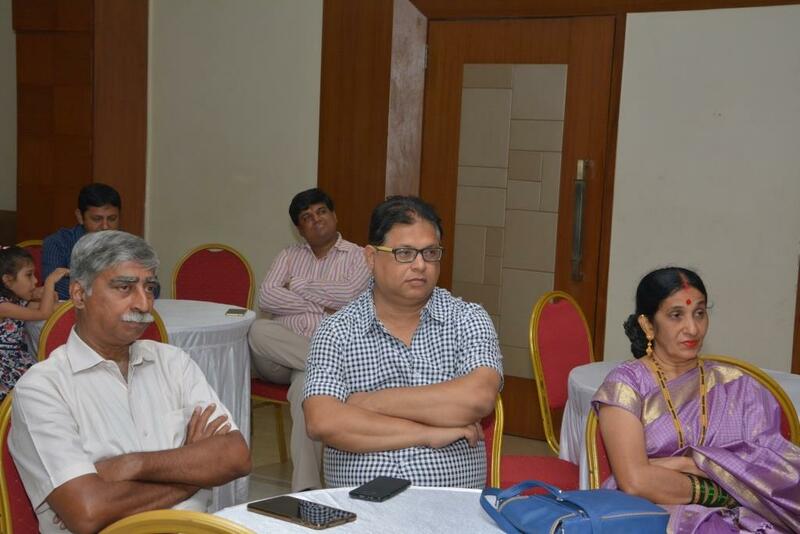 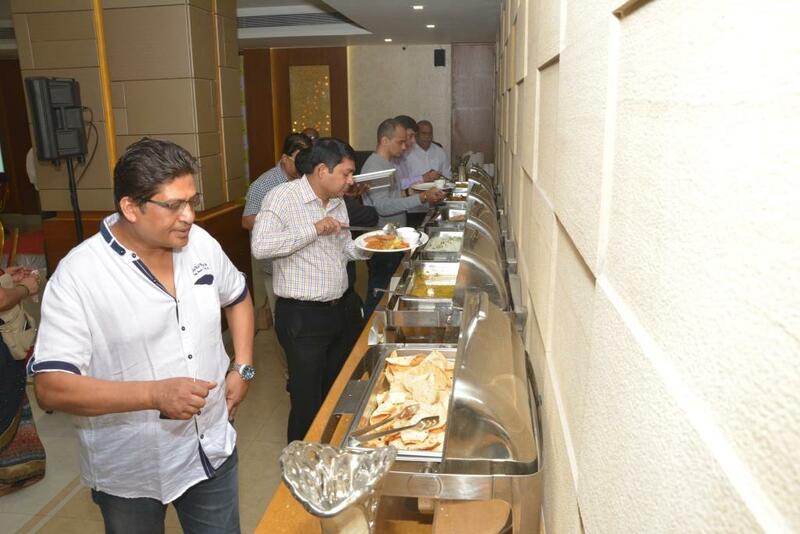 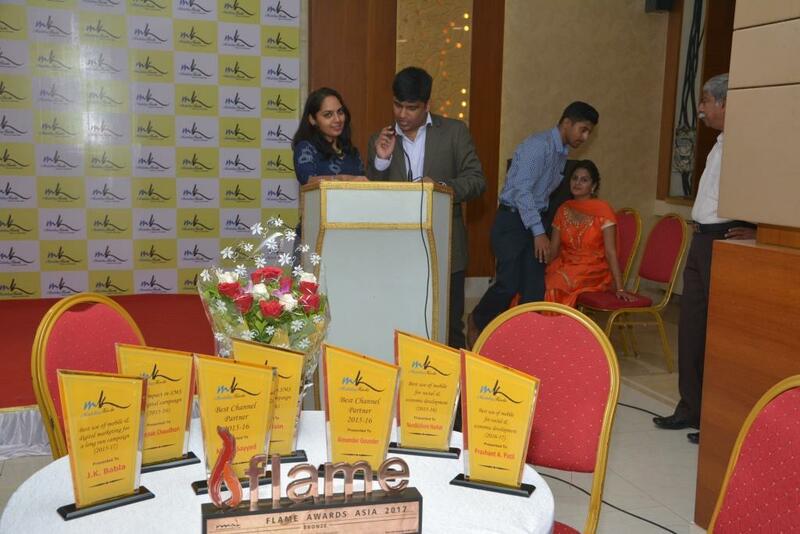 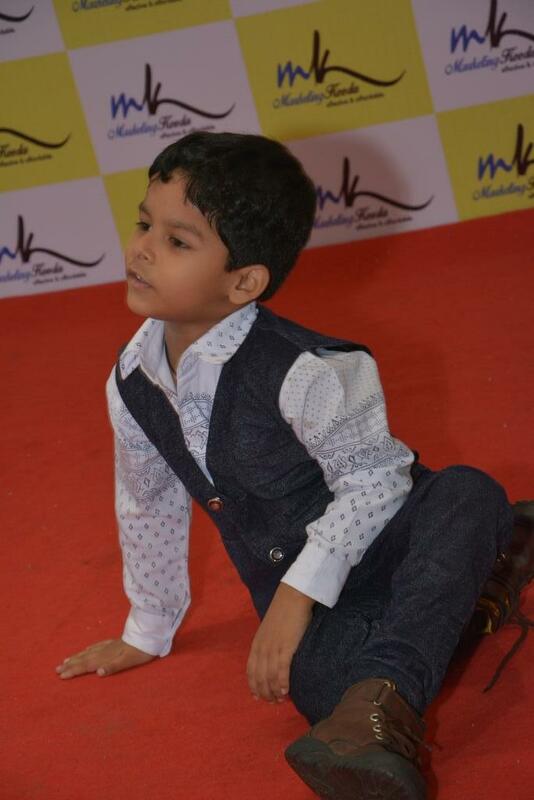 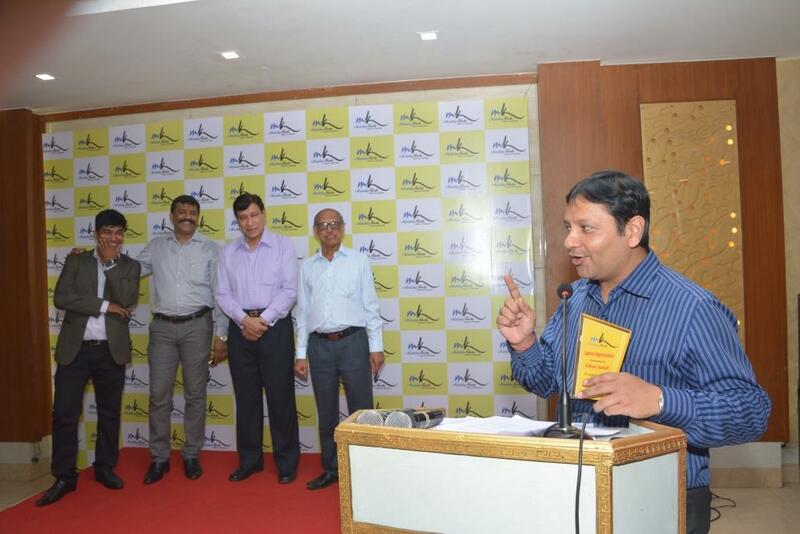 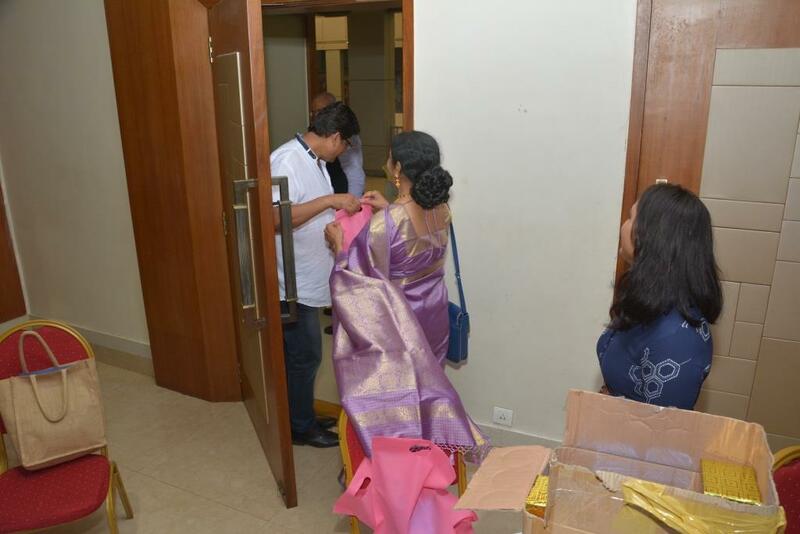 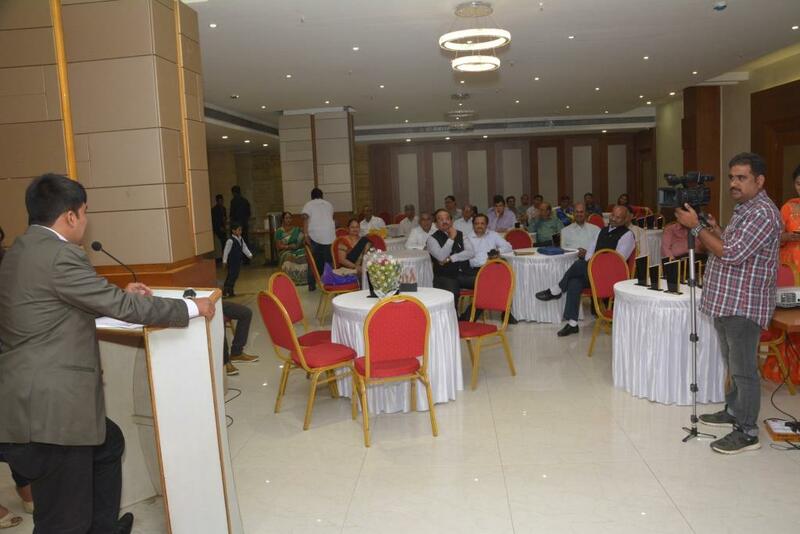 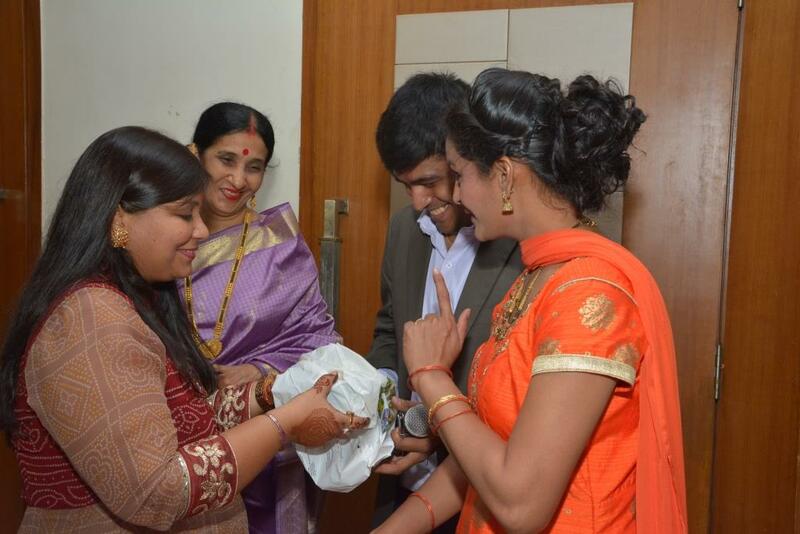 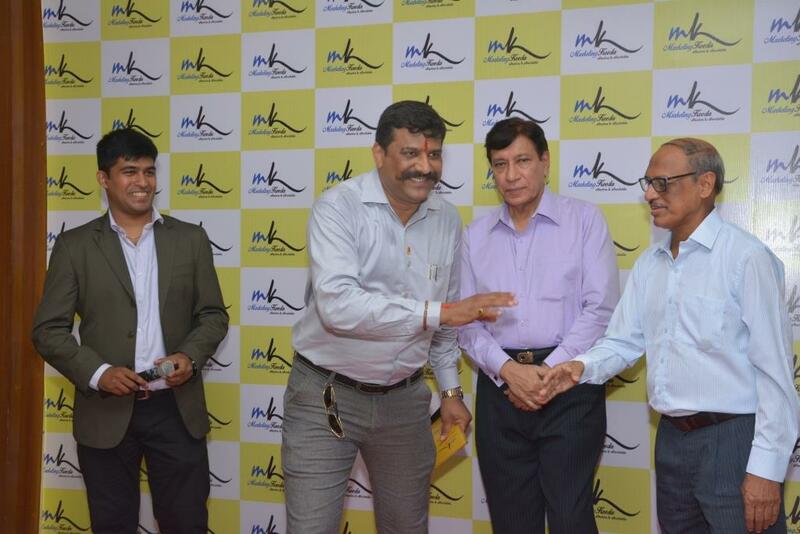 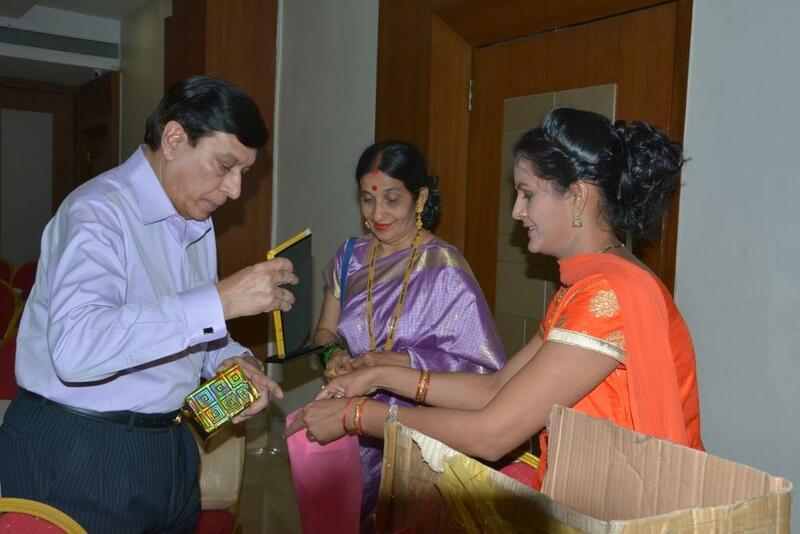 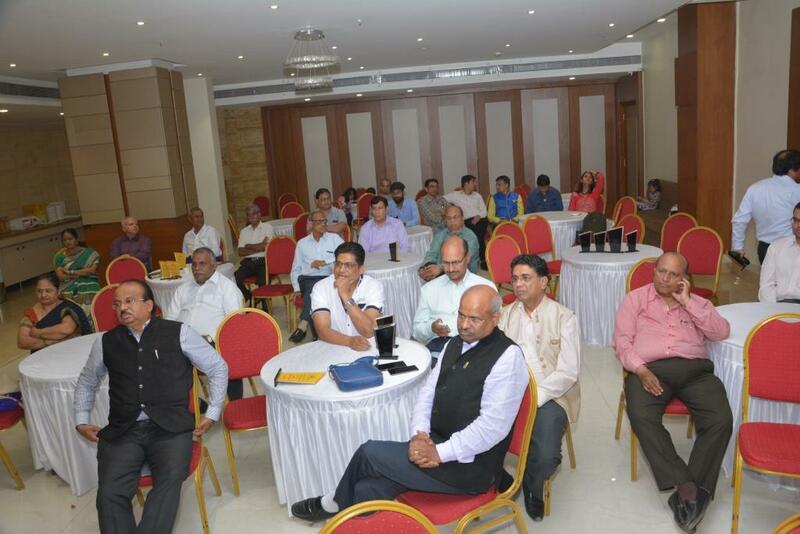 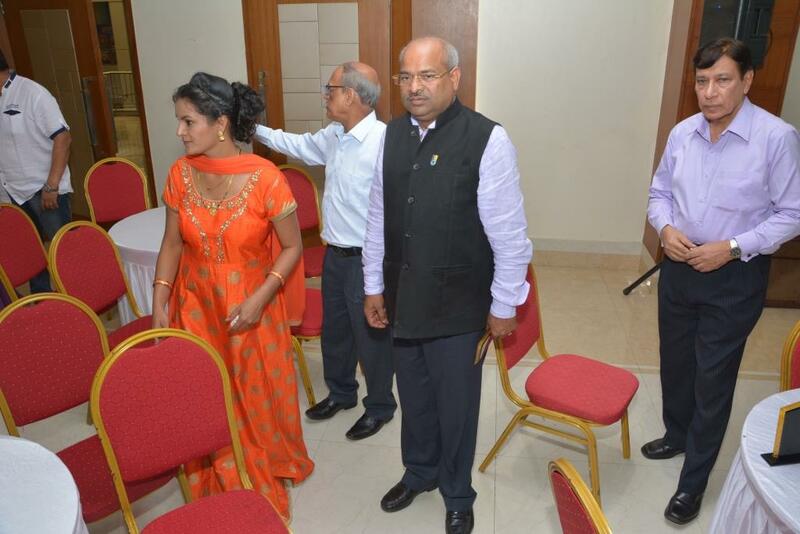 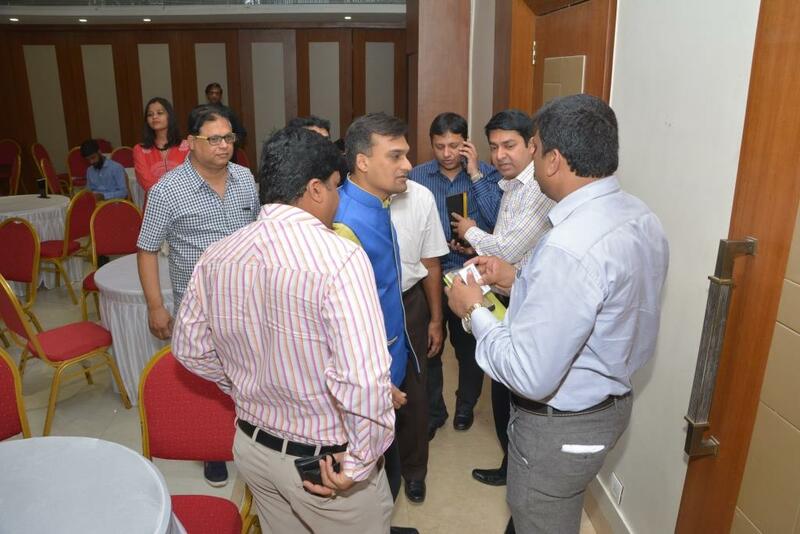 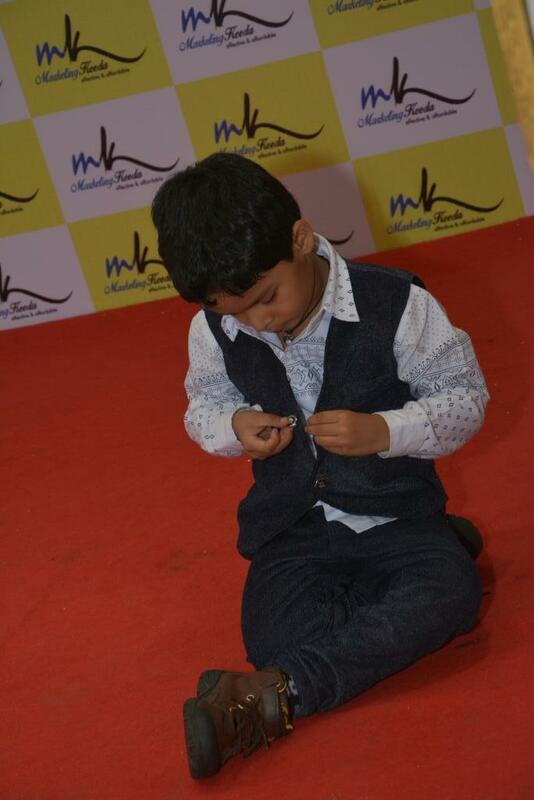 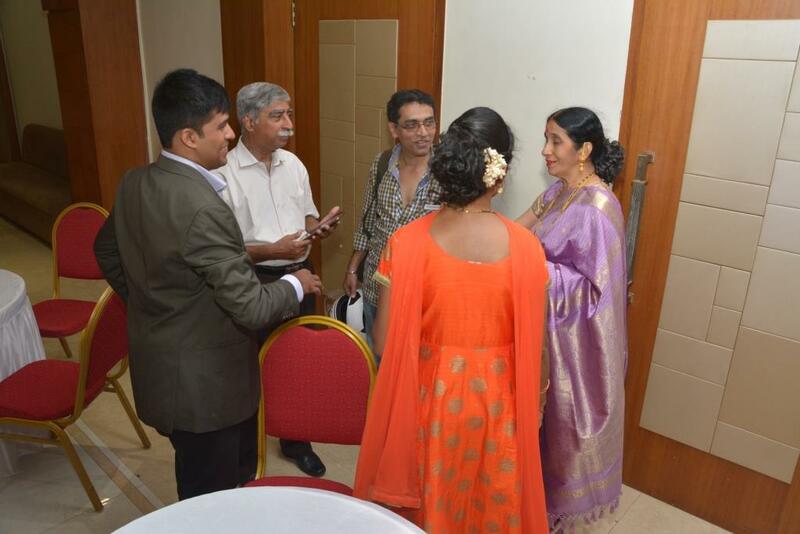 The hall was filled with our clients, channel partners & dignitaries from various organizations & NGO’s. 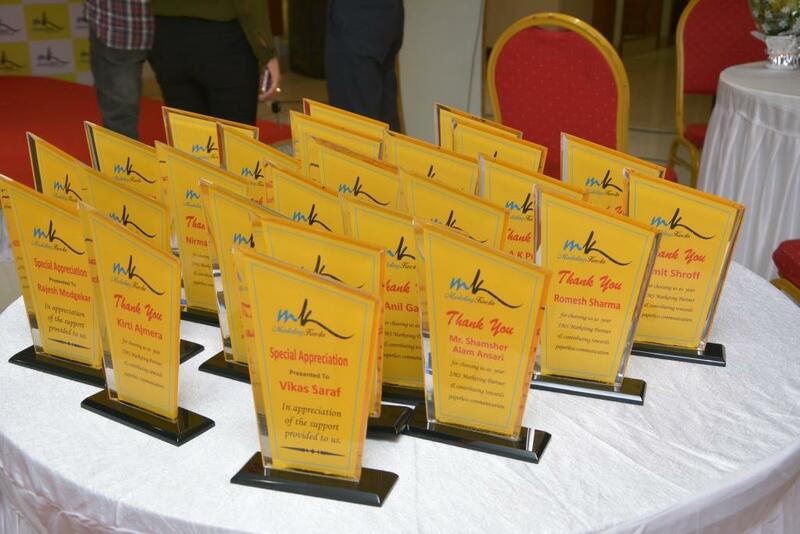 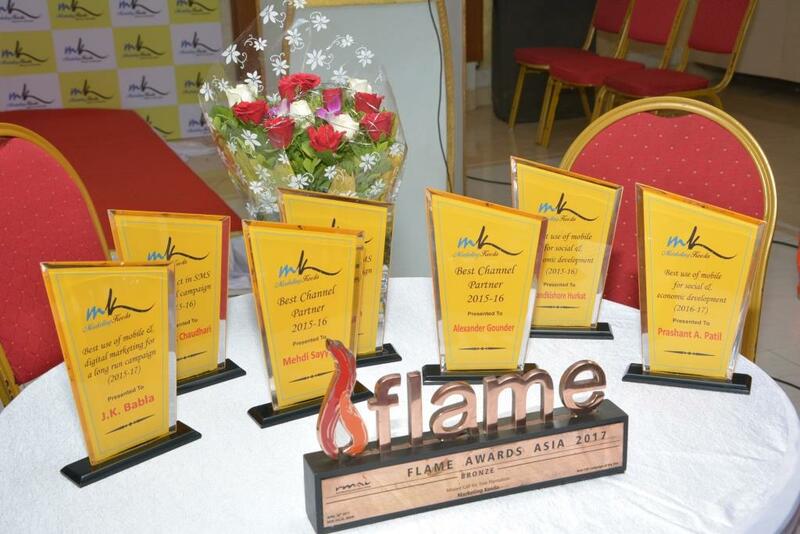 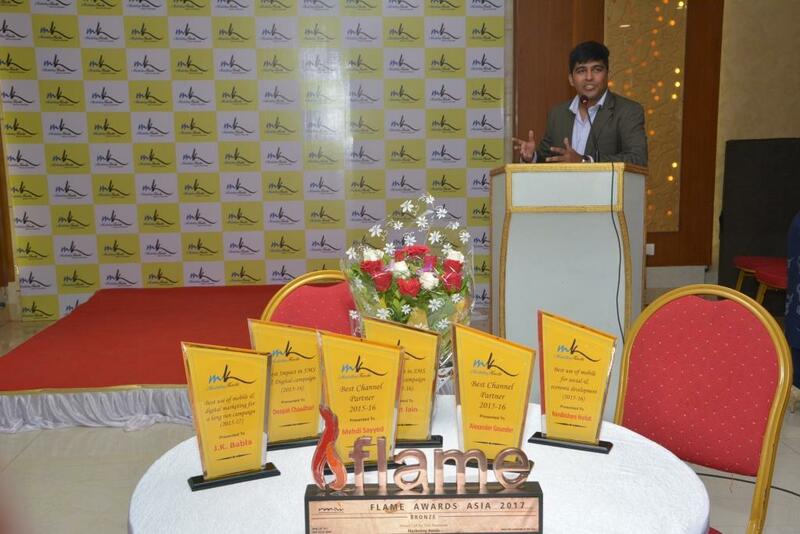 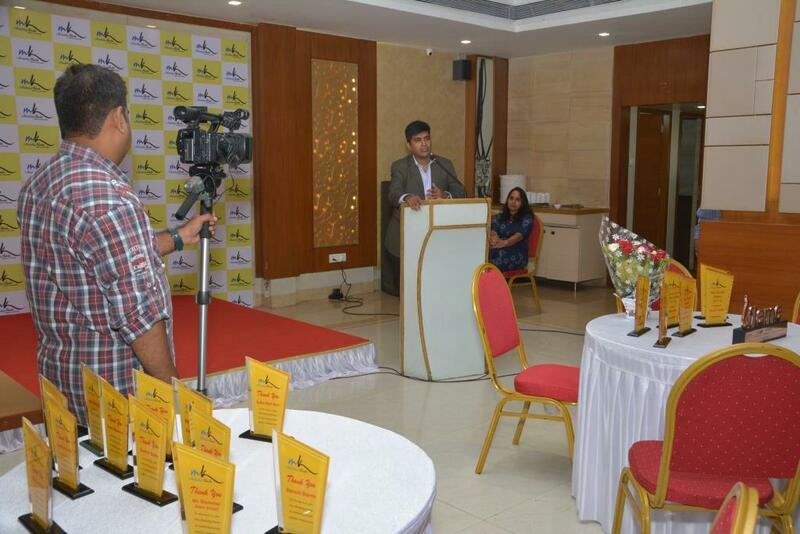 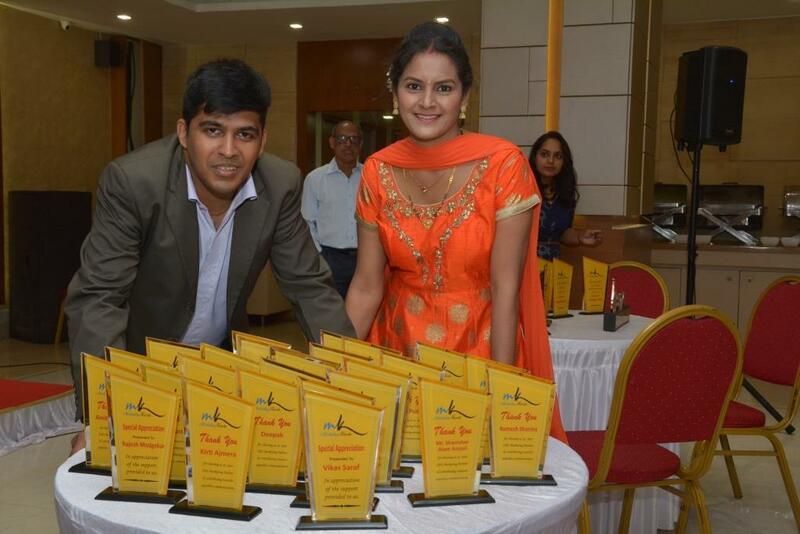 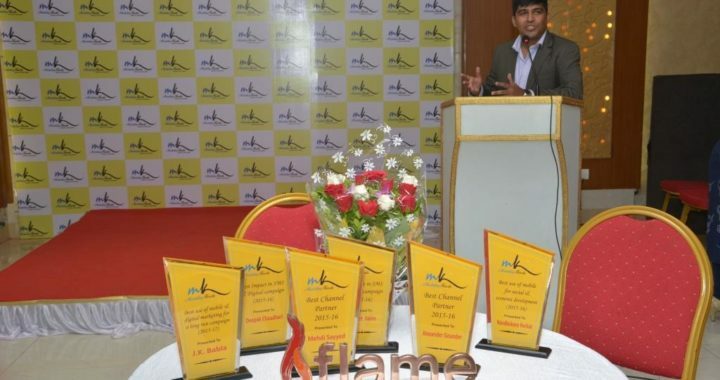 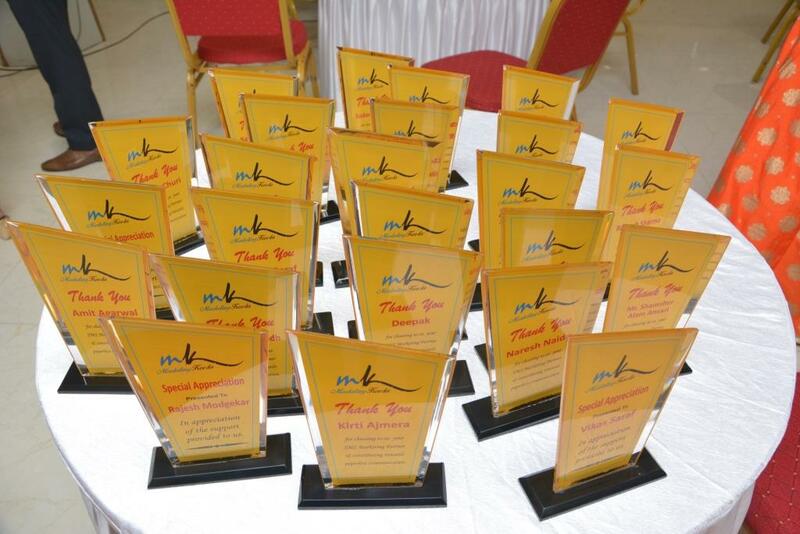 25+ clients from Mumbai, 4 appreciation awards & 7 main awards were presented to clients & dignitaries on the Saturday morning. 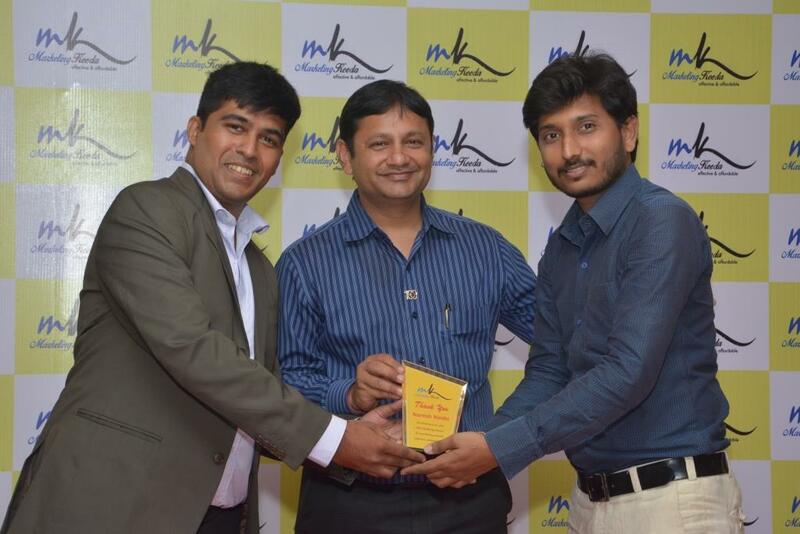 The clients for sms marketing ranged from organizations like Lions Club, Rotary Club, Maheshwari Pragati Mandal, some retail & FMCG stores to name a few. 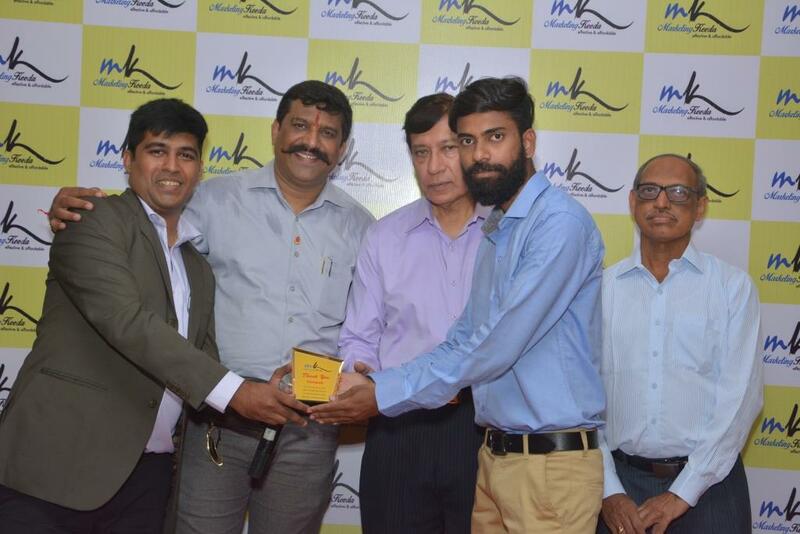 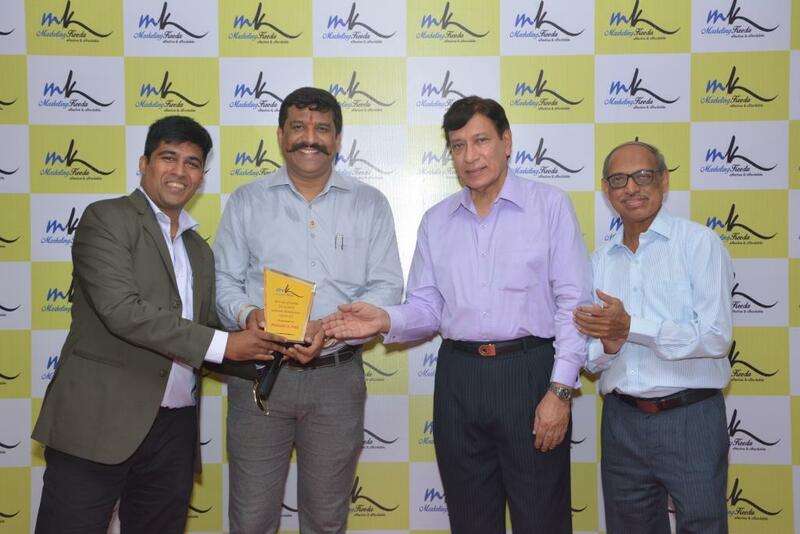 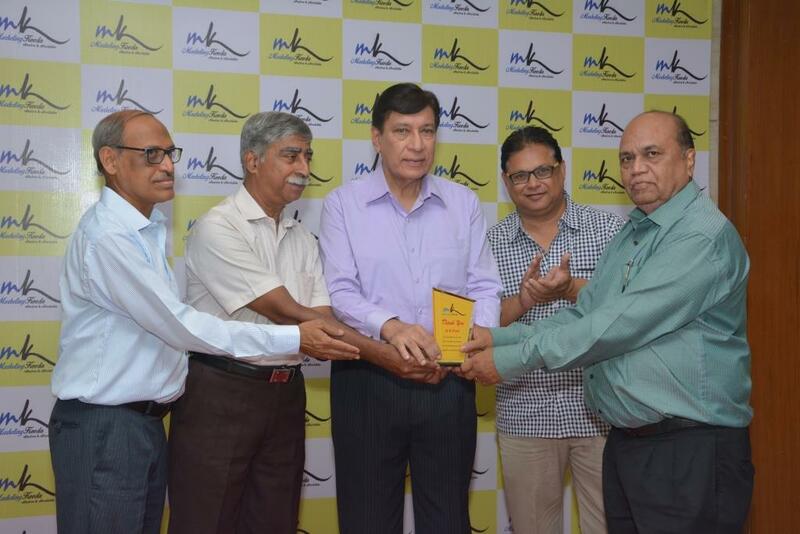 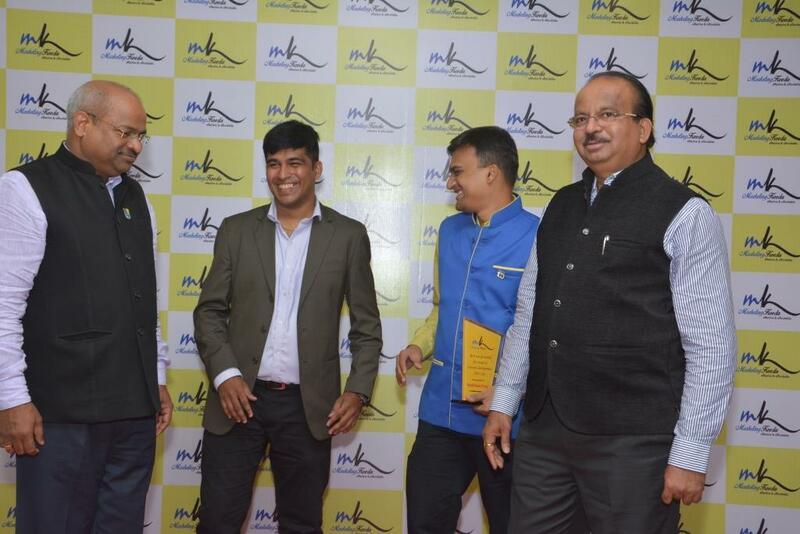 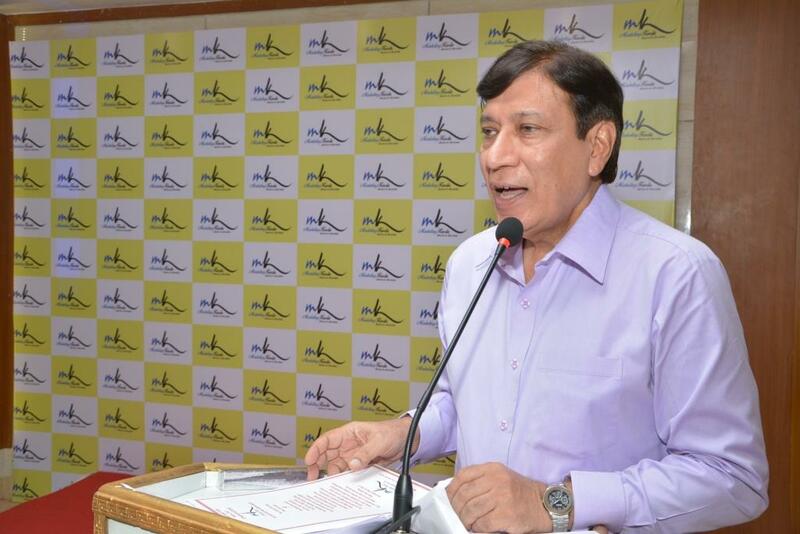 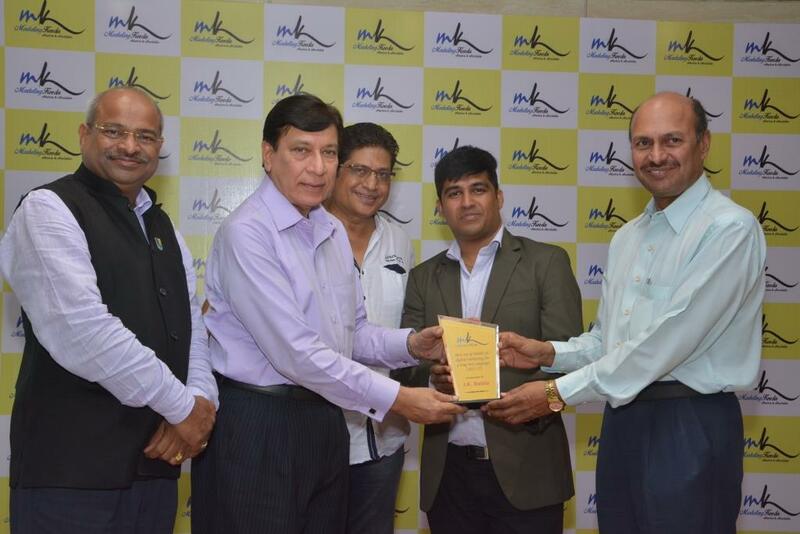 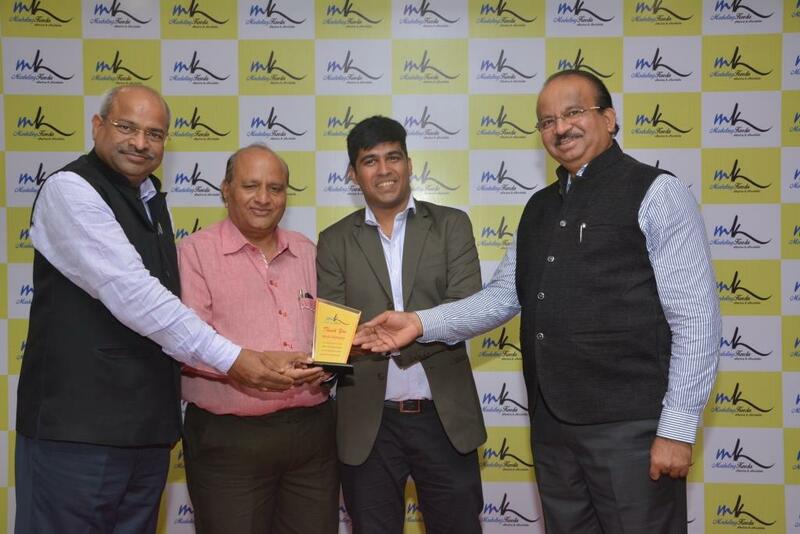 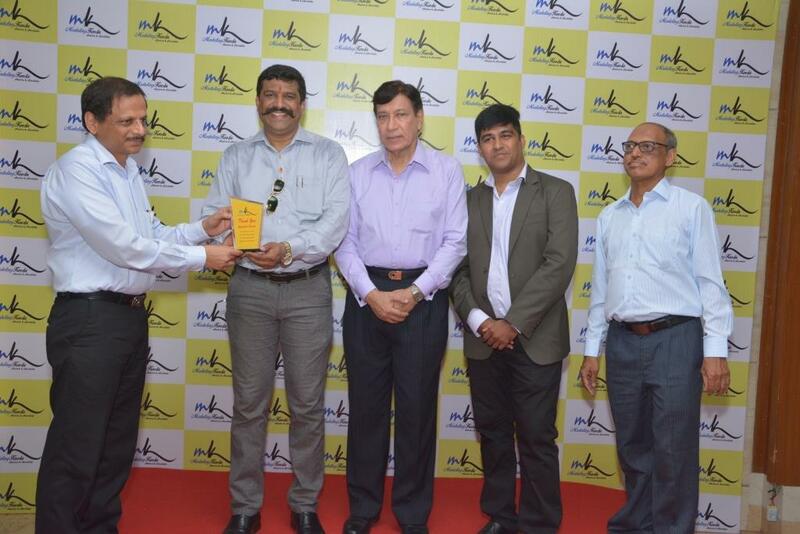 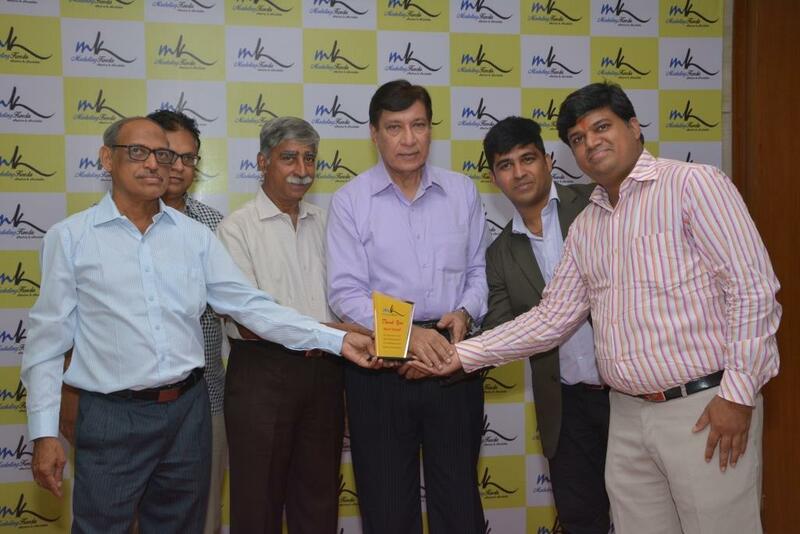 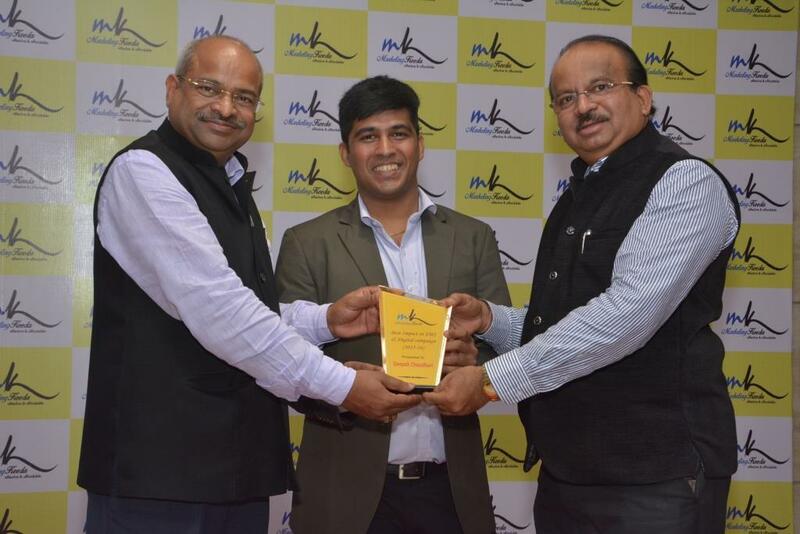 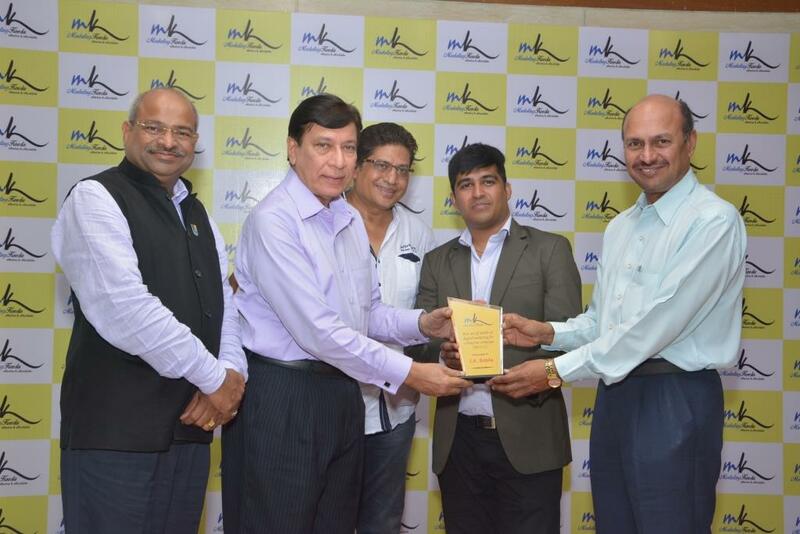 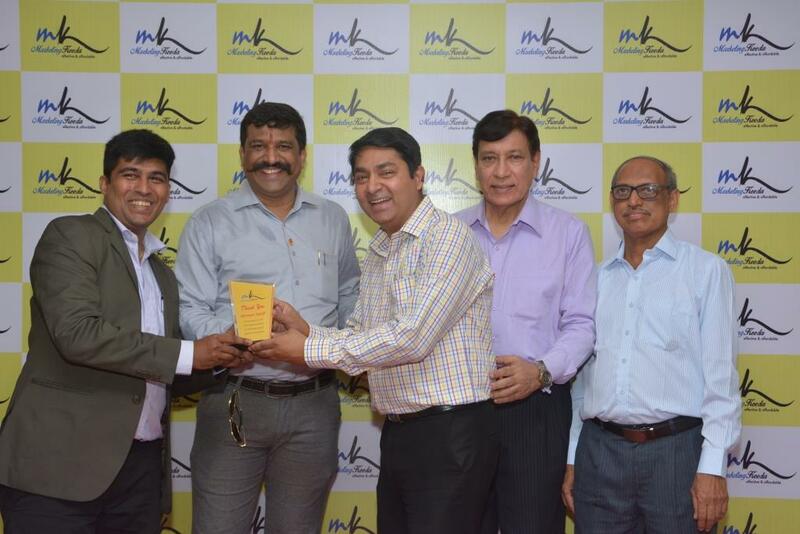 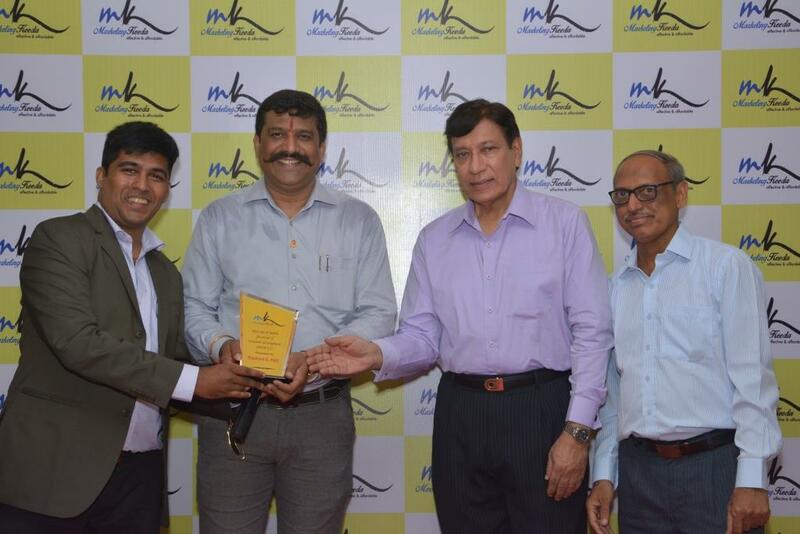 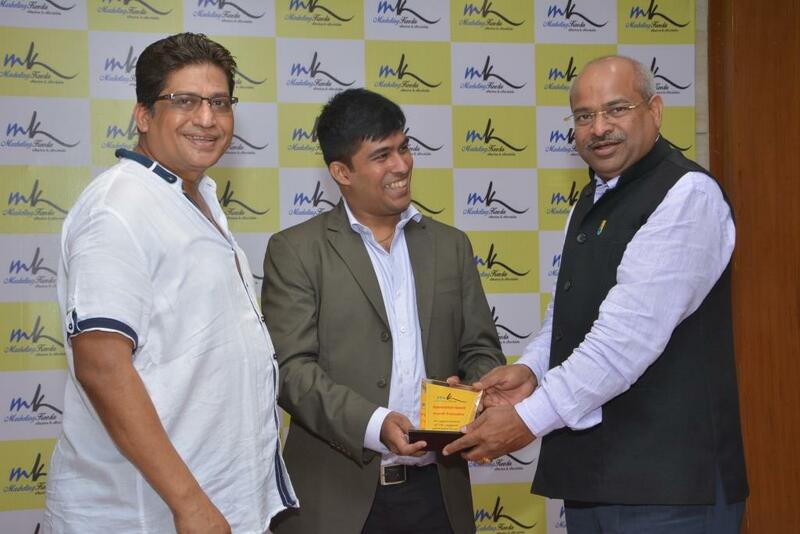 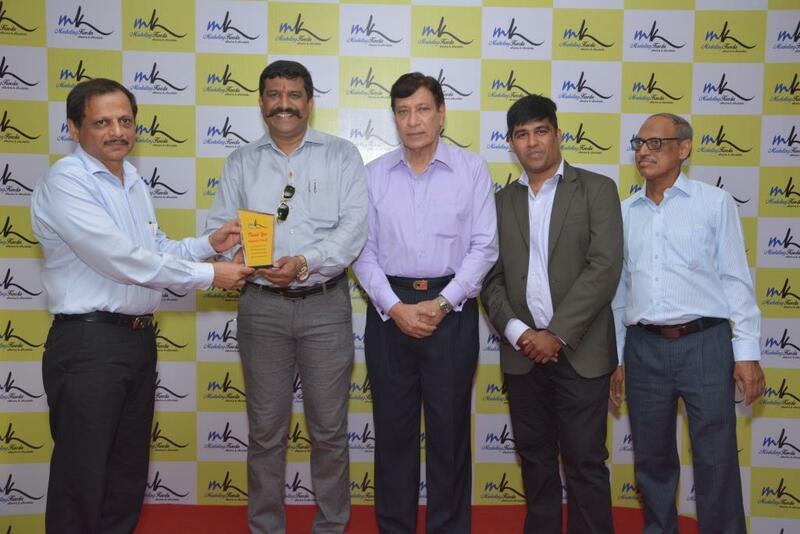 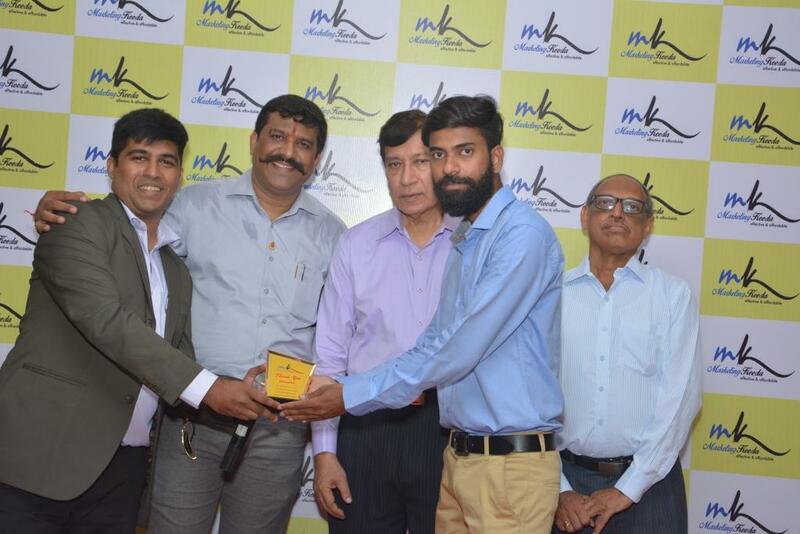 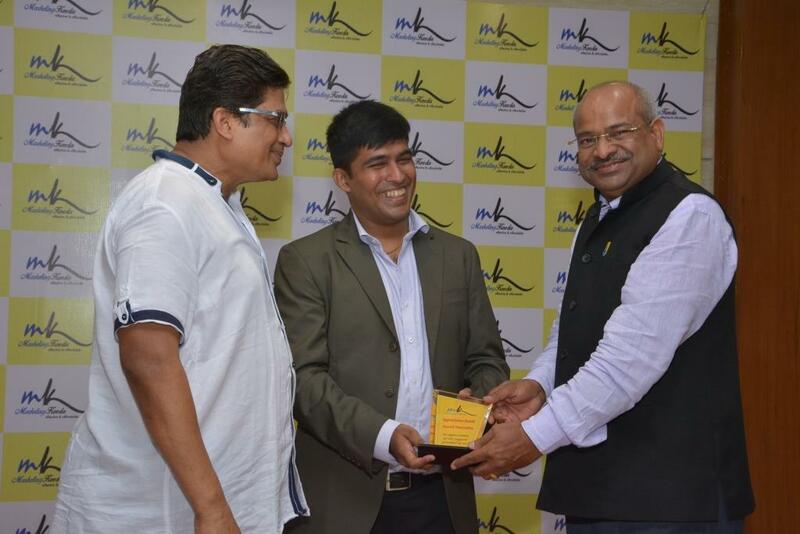 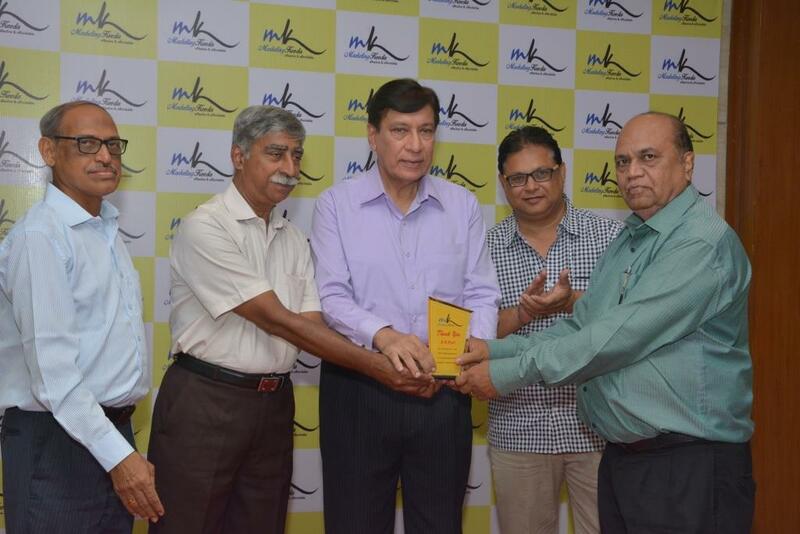 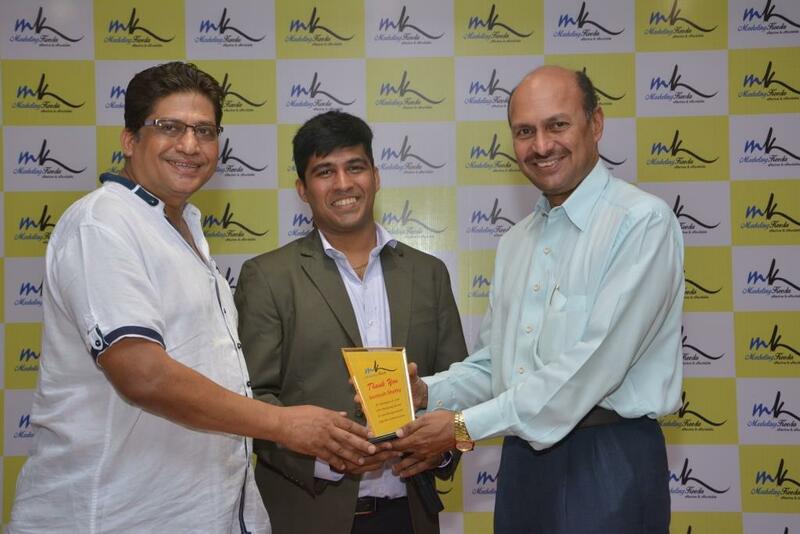 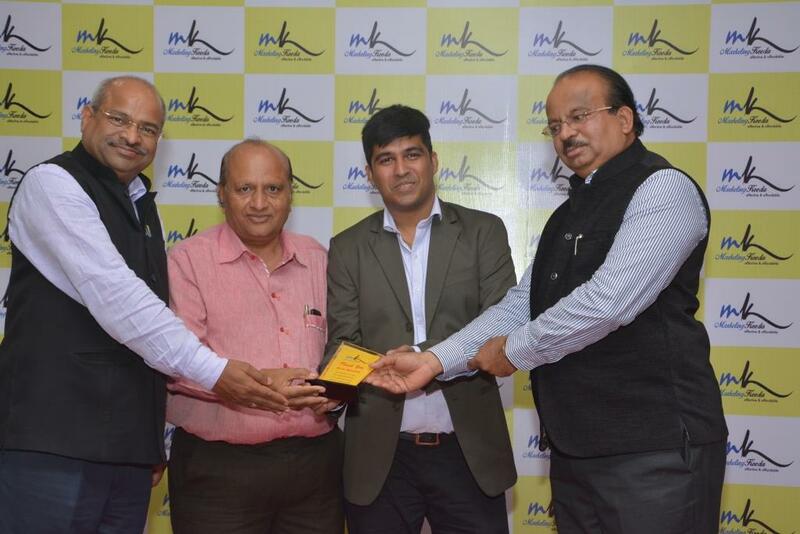 Jaysingh Babla, Director of Miku Exports & a renowned Lions Club member was awarded “The Best Long Term SMS Campaign of the Year (2015-17)” spanning 2 years. 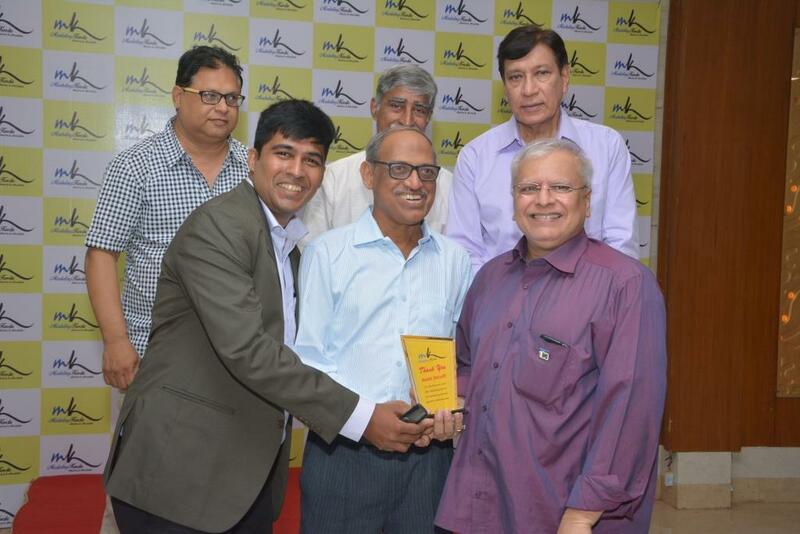 As Mr. Jaysingh Babla was not present, it was presented on his behalf to Mr. Shariar Karim, ex Air India pilot who is an avid speaker for team seminars. 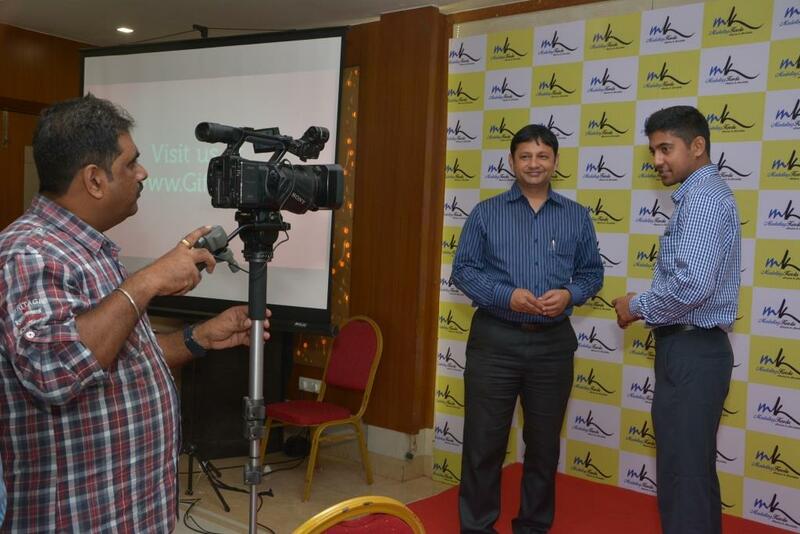 The brands latest custom made sms & missed call panel was launched live on screen. 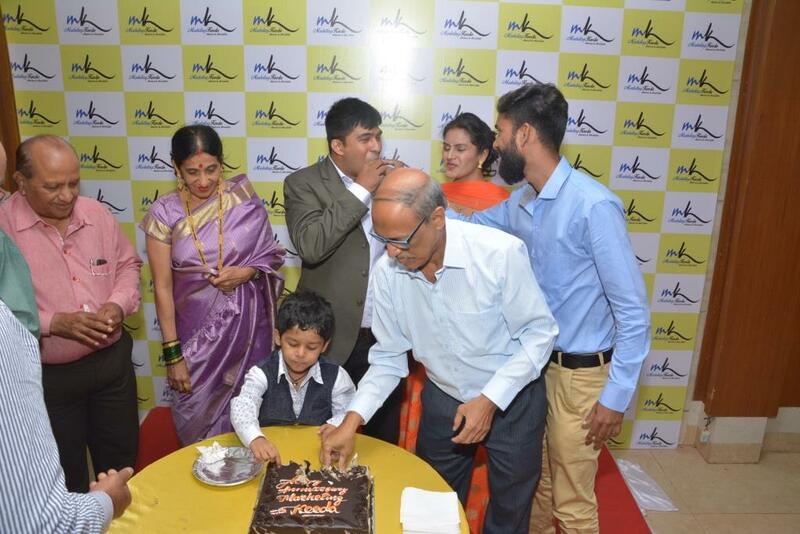 The new sms interface boasted features like Auto birthday & anniversary alerts at a specific time, sms in 18 languages, options to add surveys, form with the option to shorten a website’s URL to save some character length of the sms to be broadcasted. 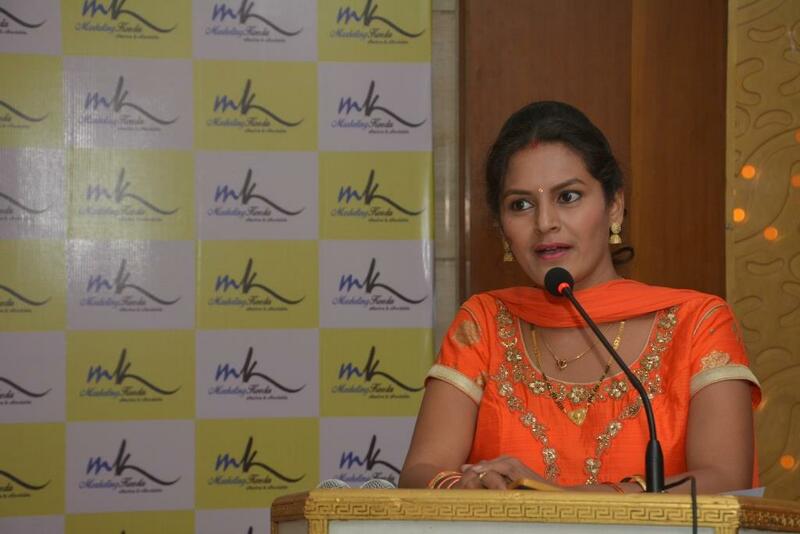 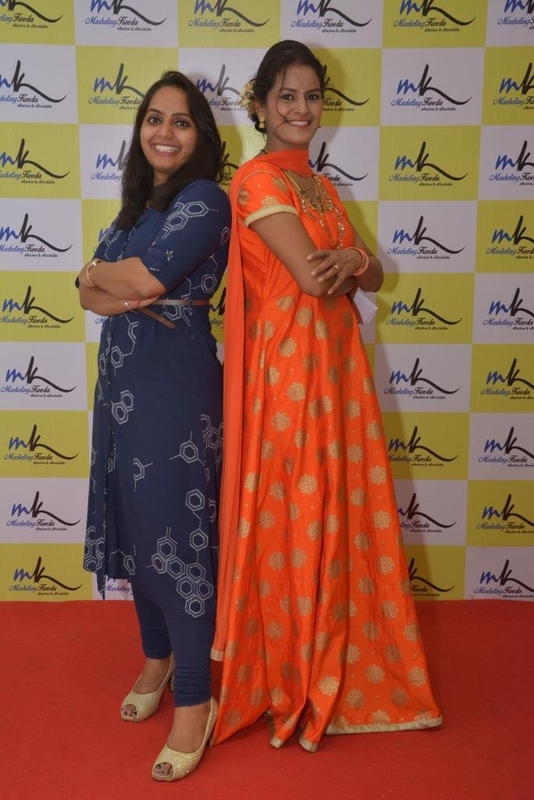 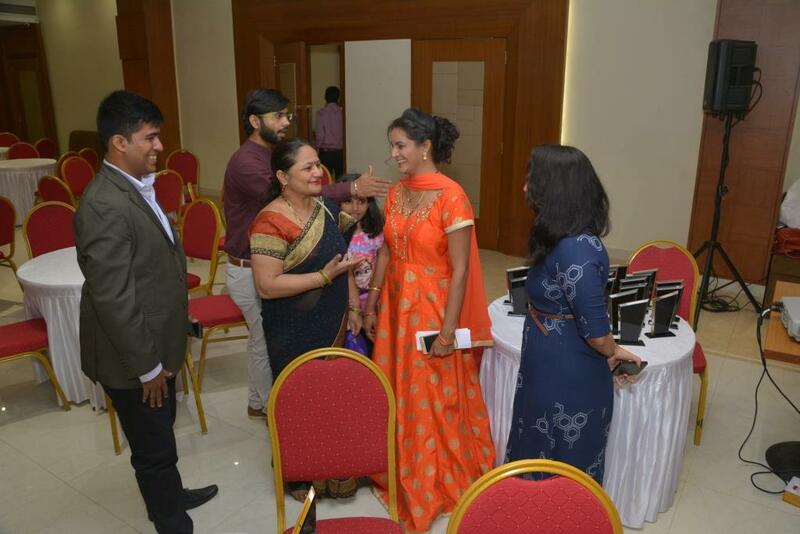 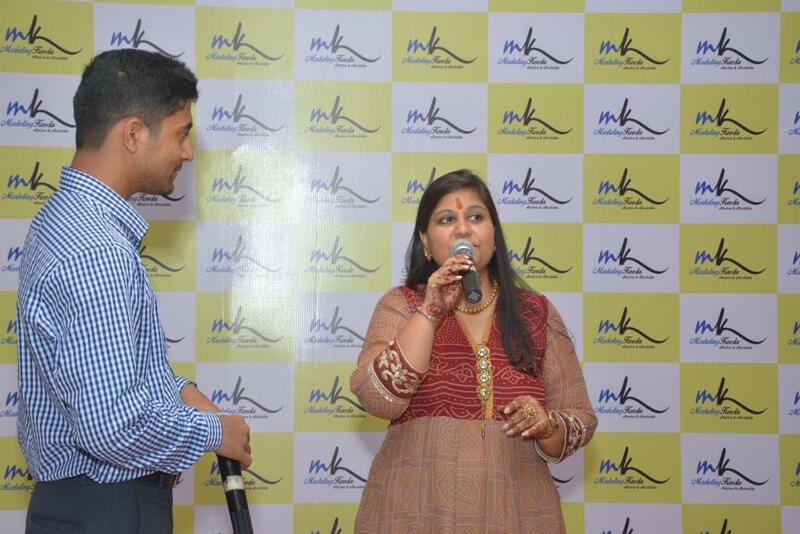 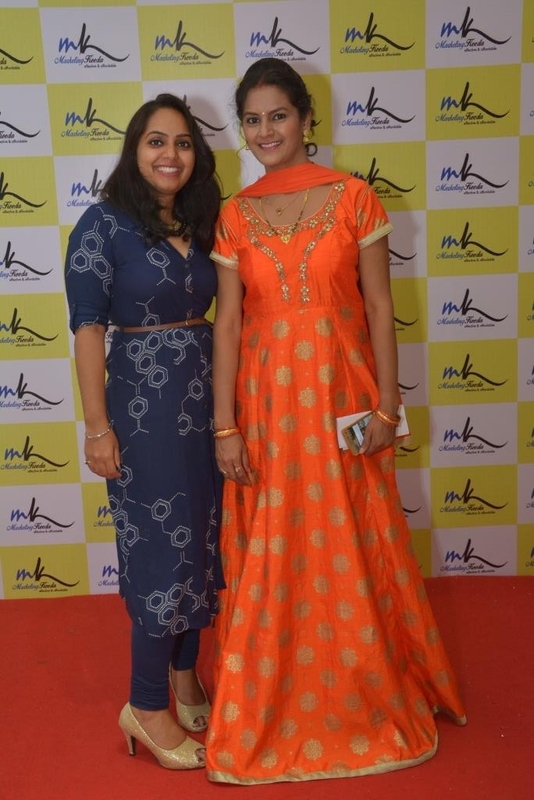 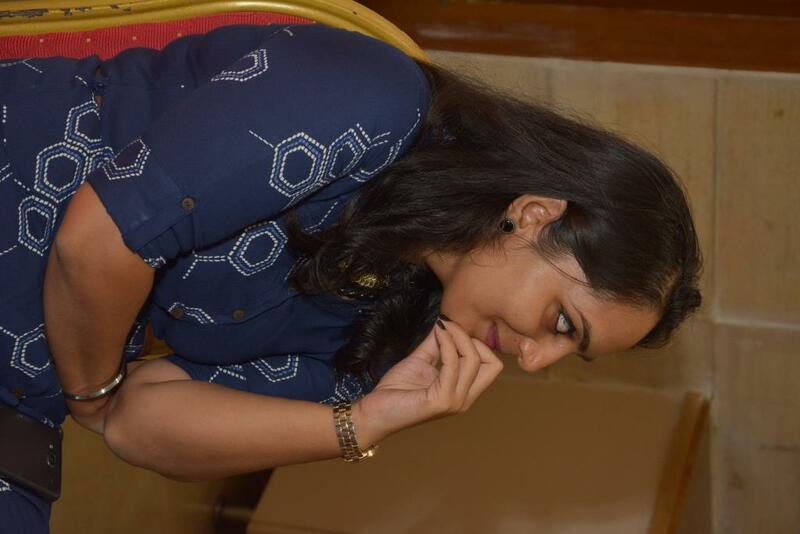 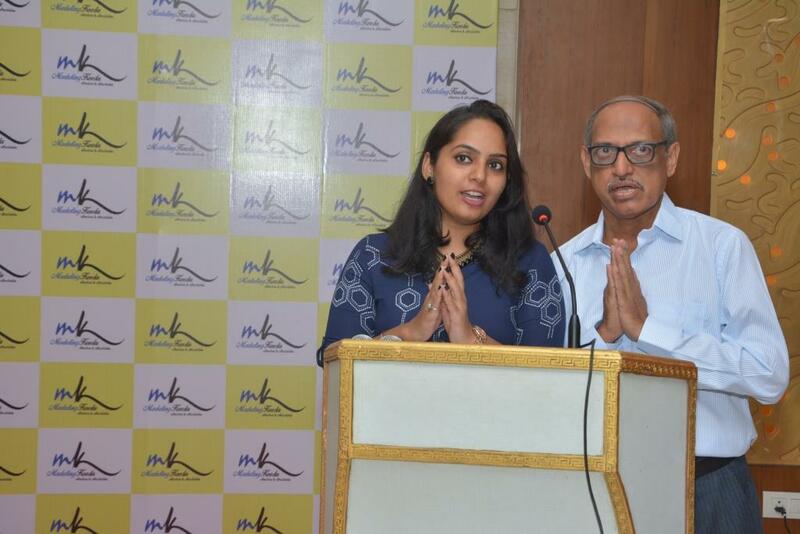 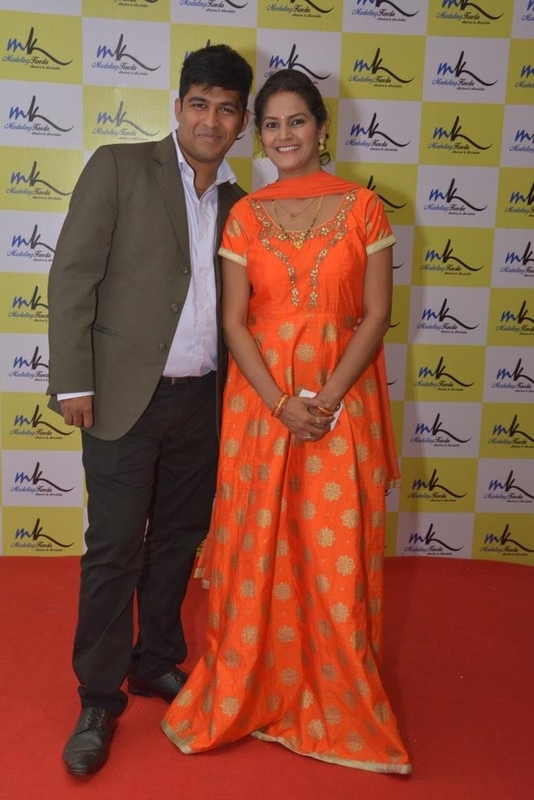 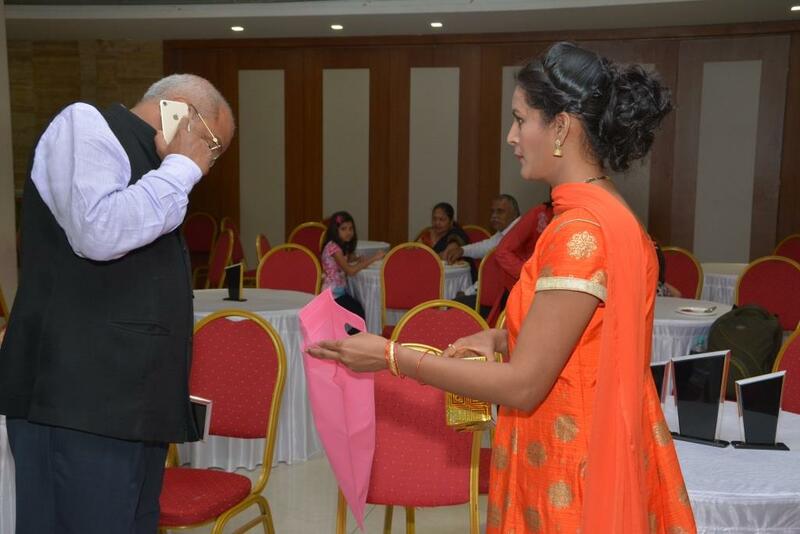 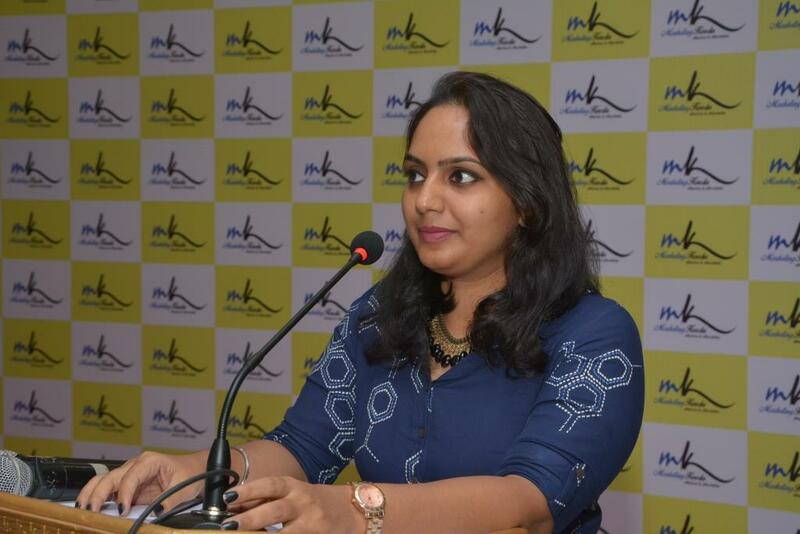 The event was hosted by the business development manager of Marketing Keeda, Ms. Rupali Singh who also handles social media too. 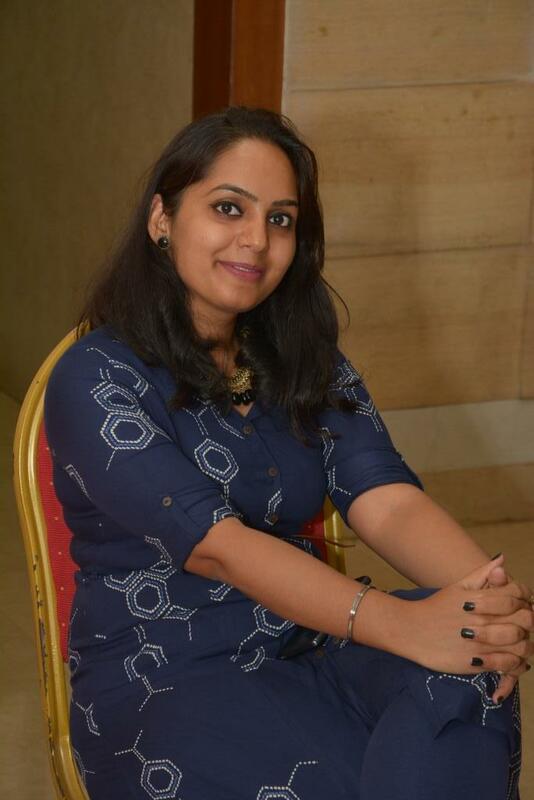 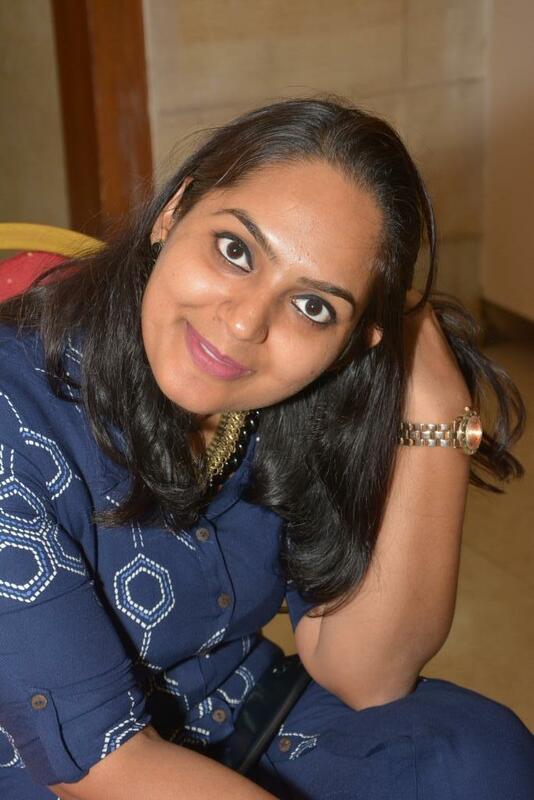 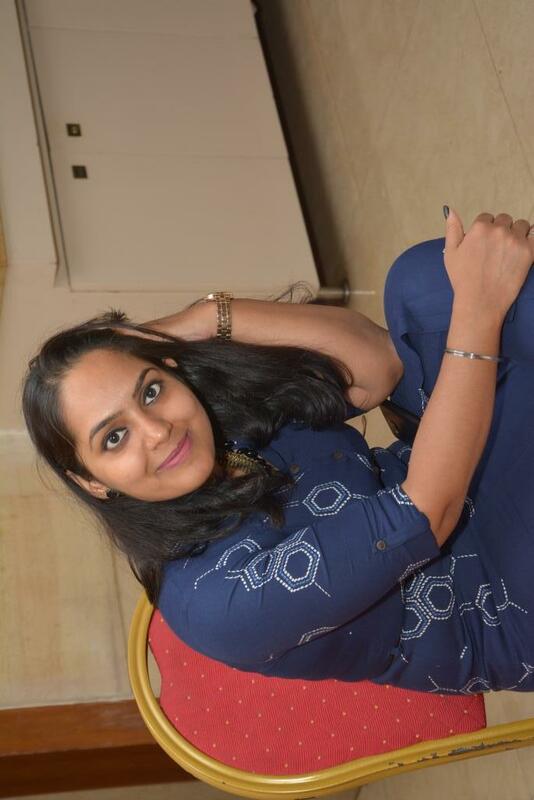 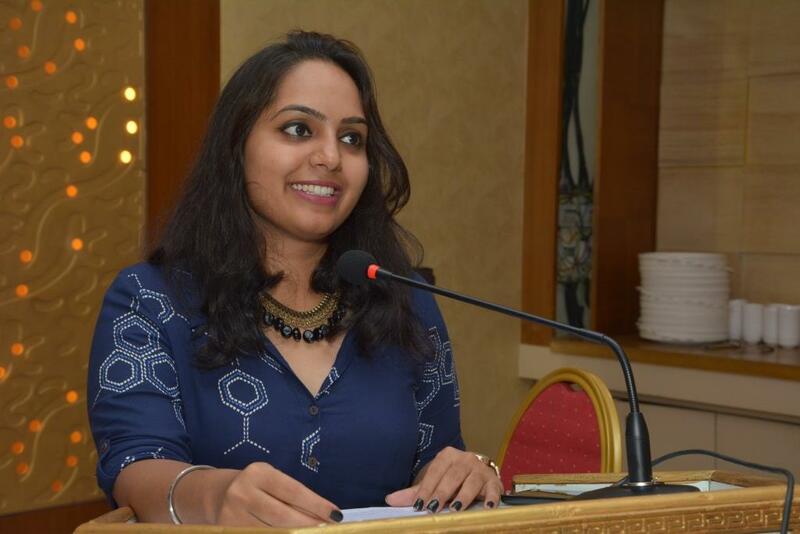 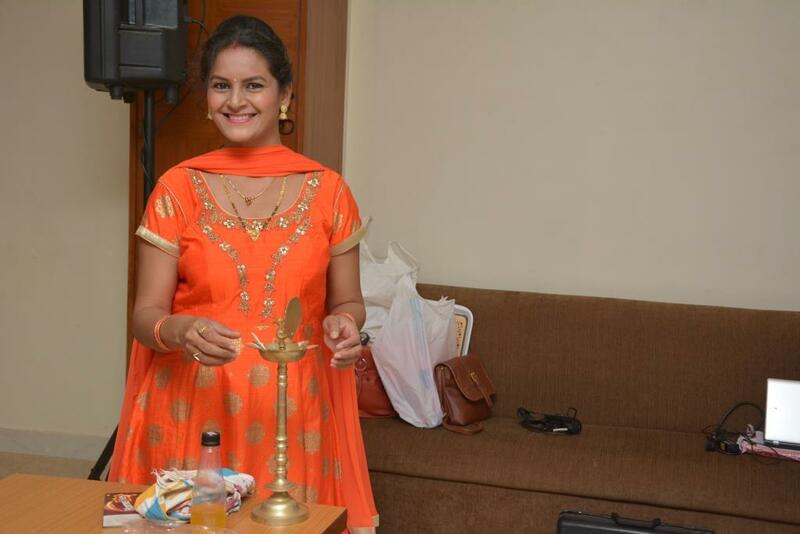 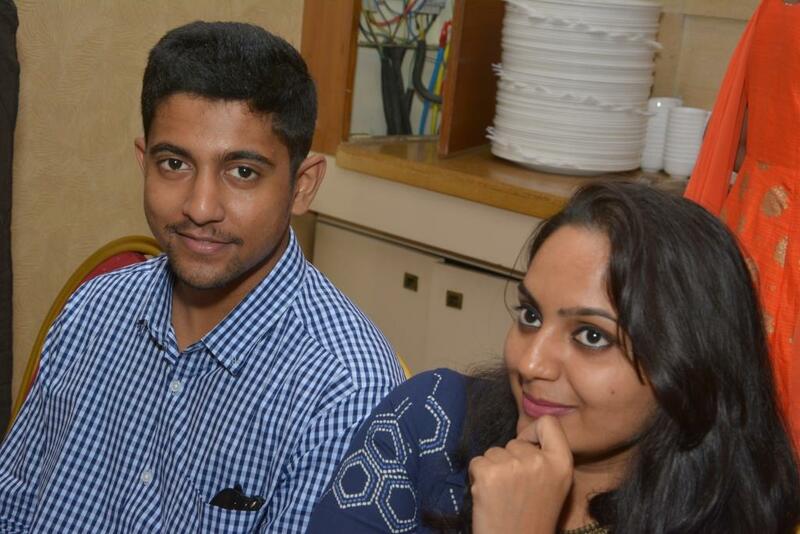 She is a software engineer by profession & she is the 1st choice when it comes to bug testing. 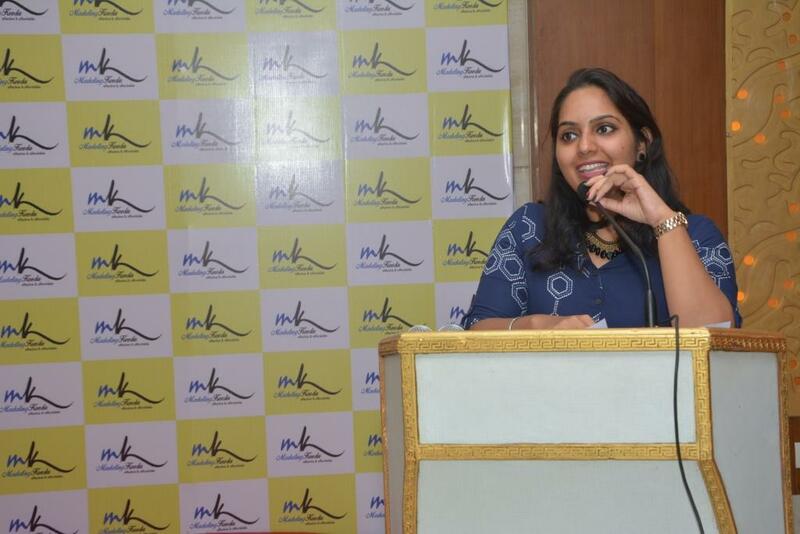 She has worked for various brands in the education industry for brand building. 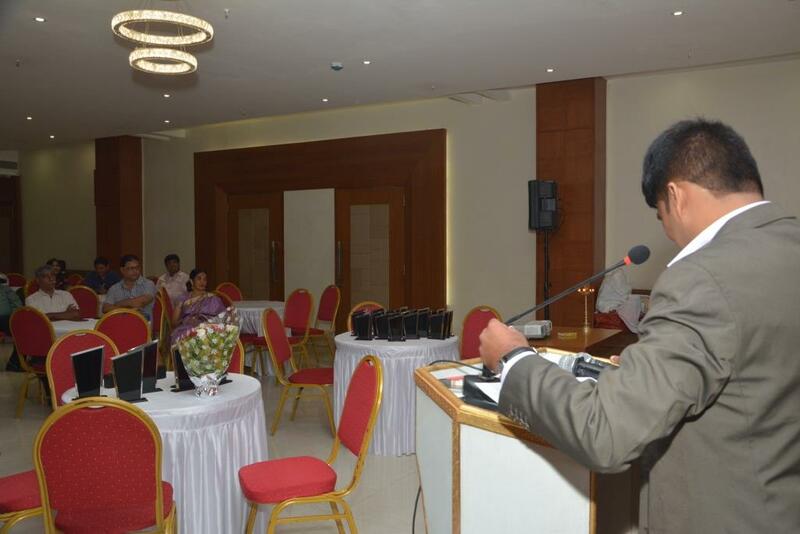 A new category focusing on the efforts on rural marketing was created for the 2 years of business. 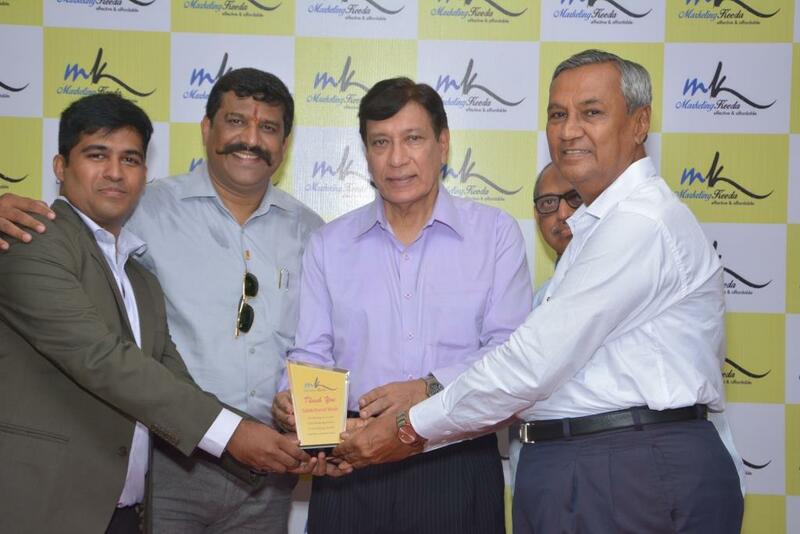 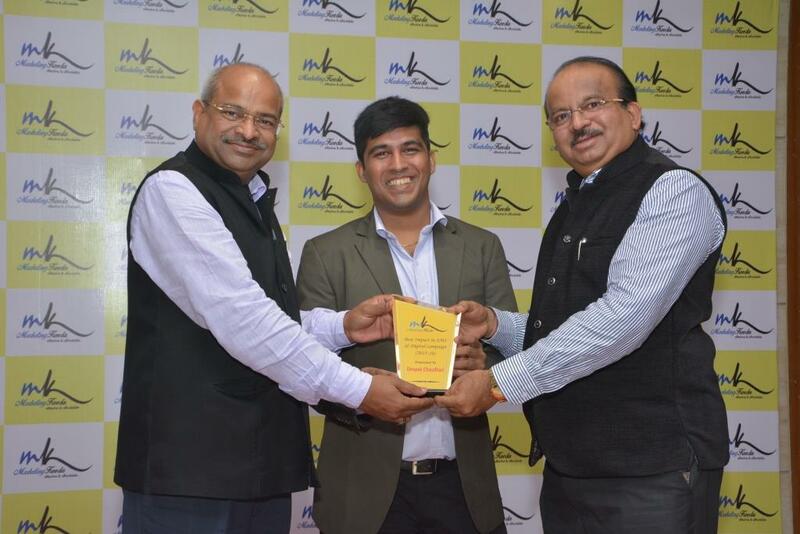 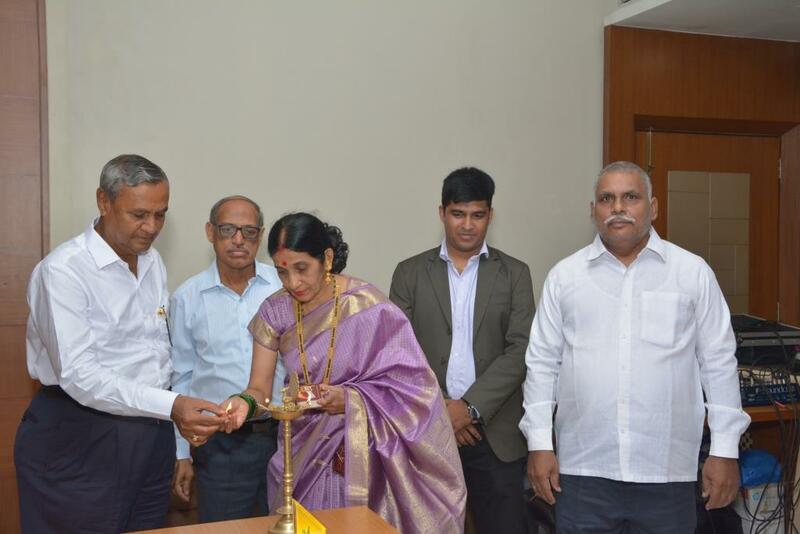 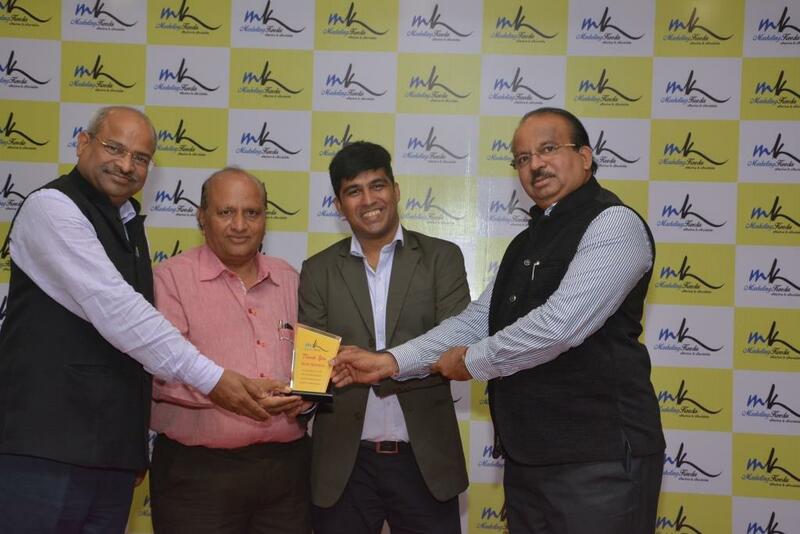 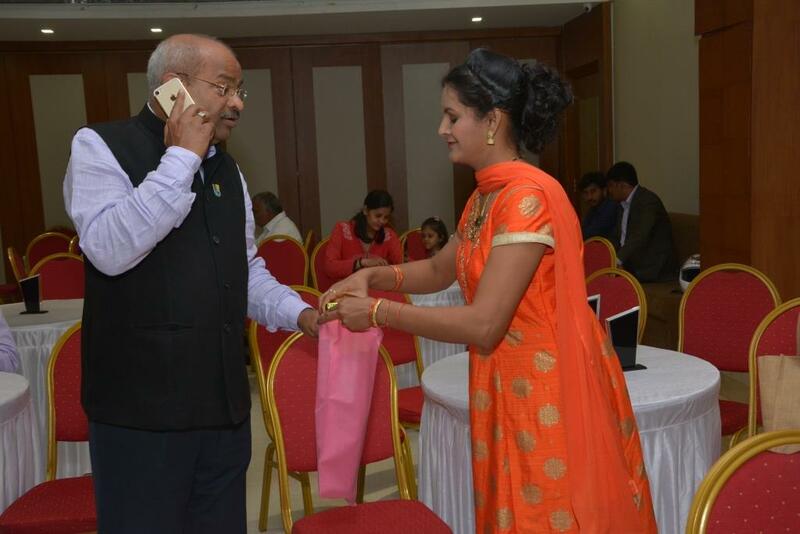 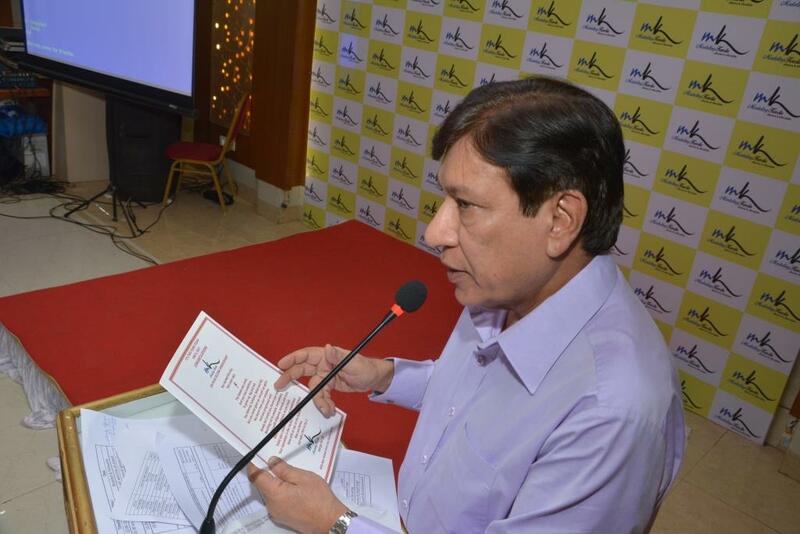 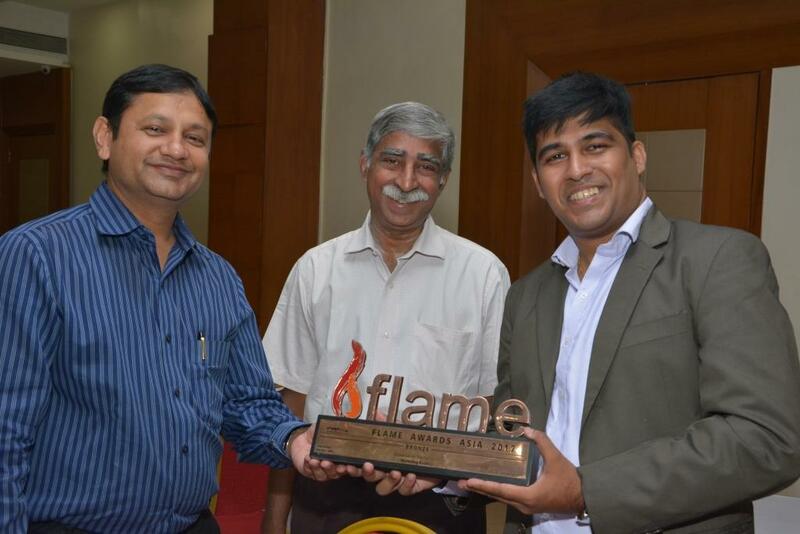 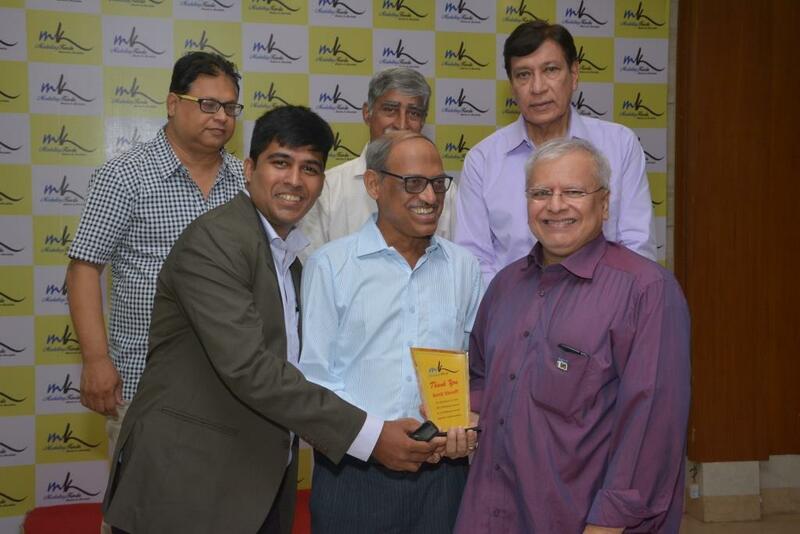 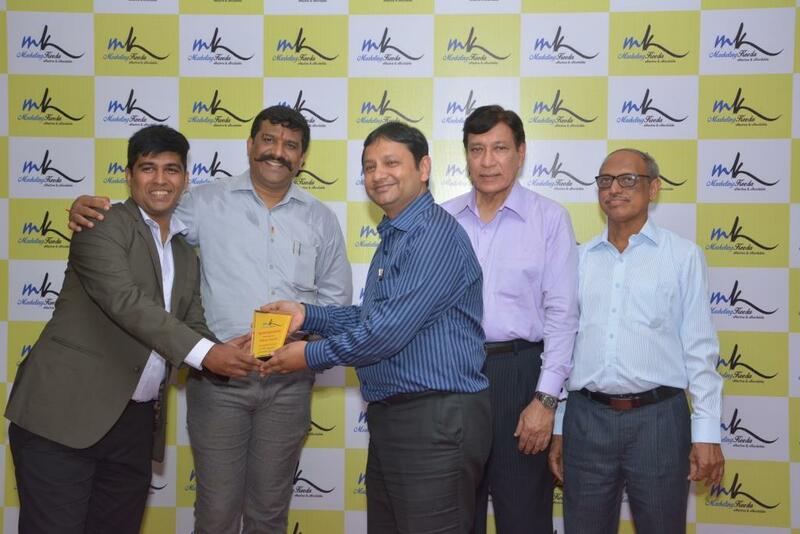 “The Best Use of SMS Marketing in Social & Economic Development 2015-16” was presented to Shri Nandkishore Hurkat, serving as President for Maheshwari Pragati Mandal. 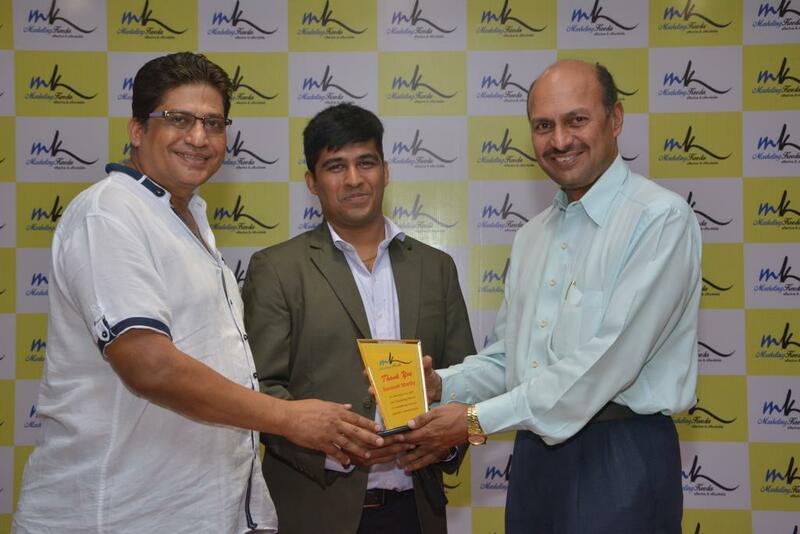 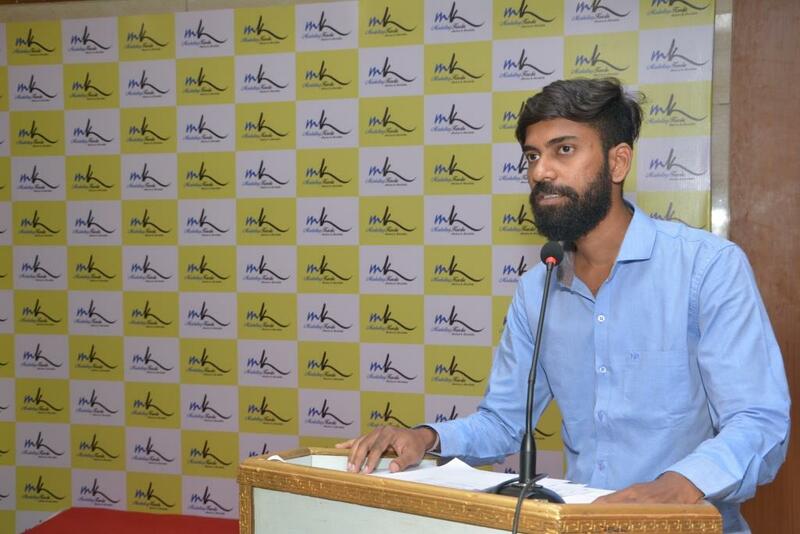 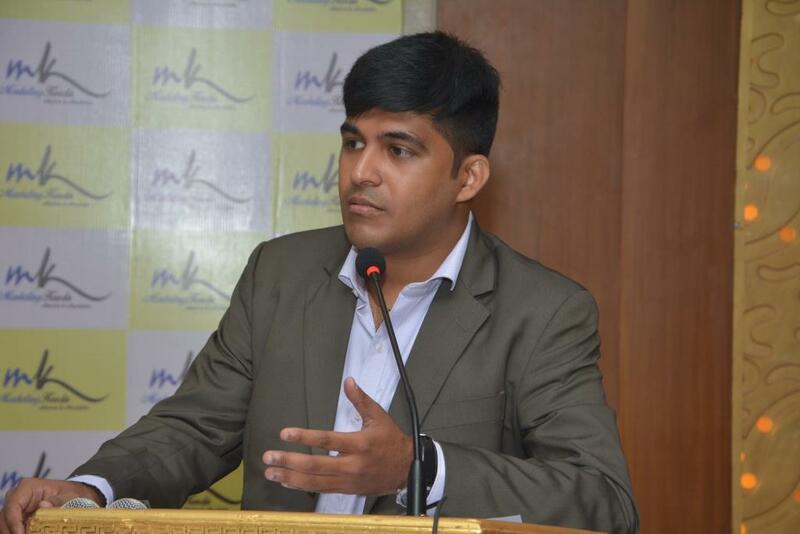 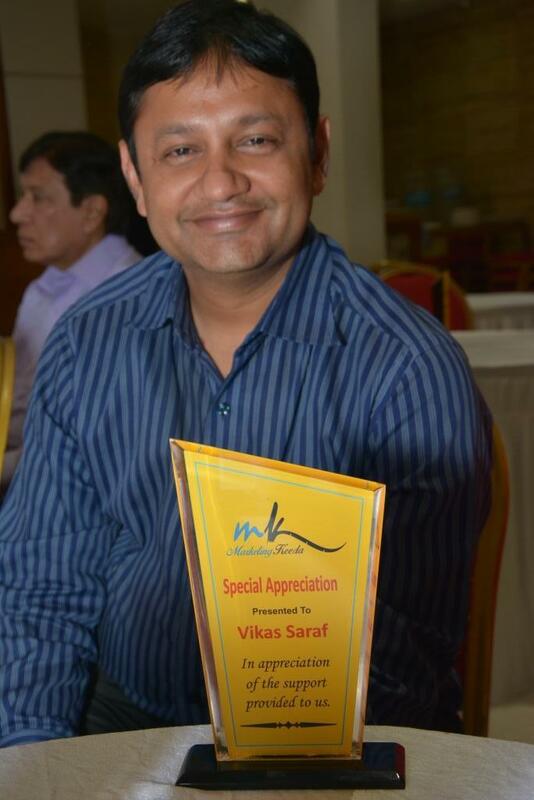 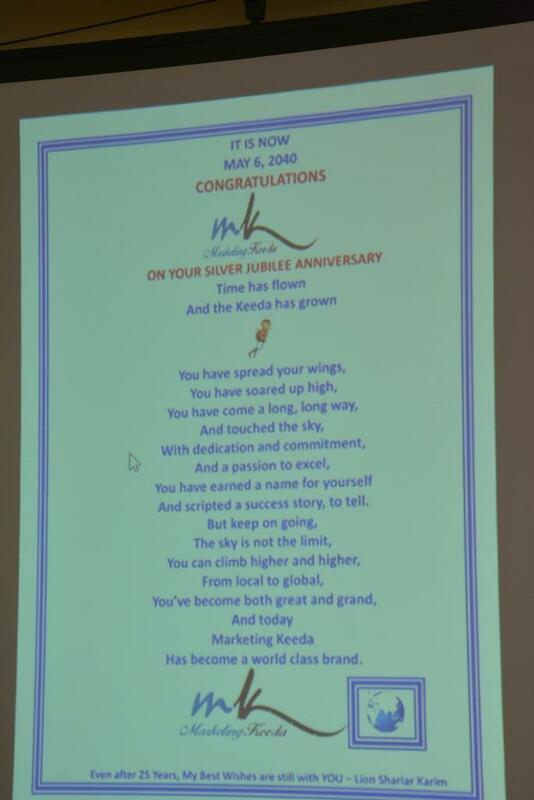 In his absence, it was presented to Mr. Sachin Biyani, currently serving as Youth Secretary for Maheshwari’s youth wing. 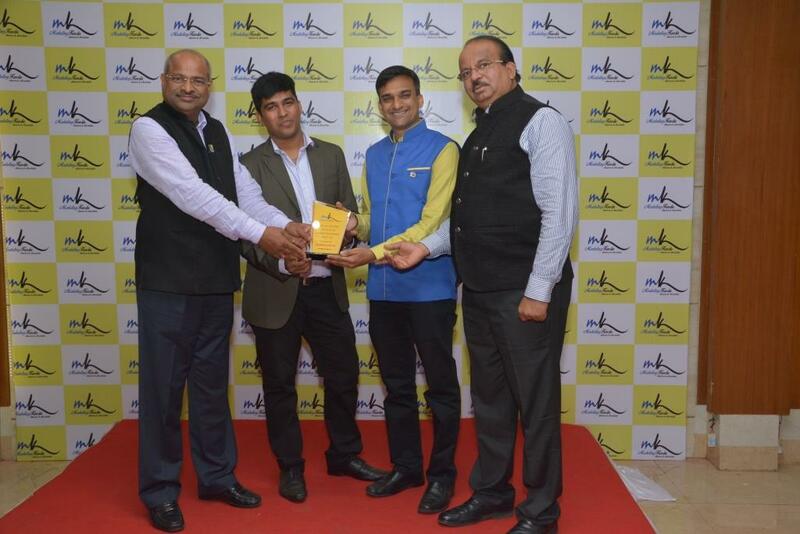 For the current year, “The Best Use of SMS Marketing in Social & Economic Development 2016-17” was awarded to Dr. Prashant Anant Patil, currently the Centennial District Governor of Lions Club District 323A3 & newly elected Multiple Council Secretary & Treasurer. 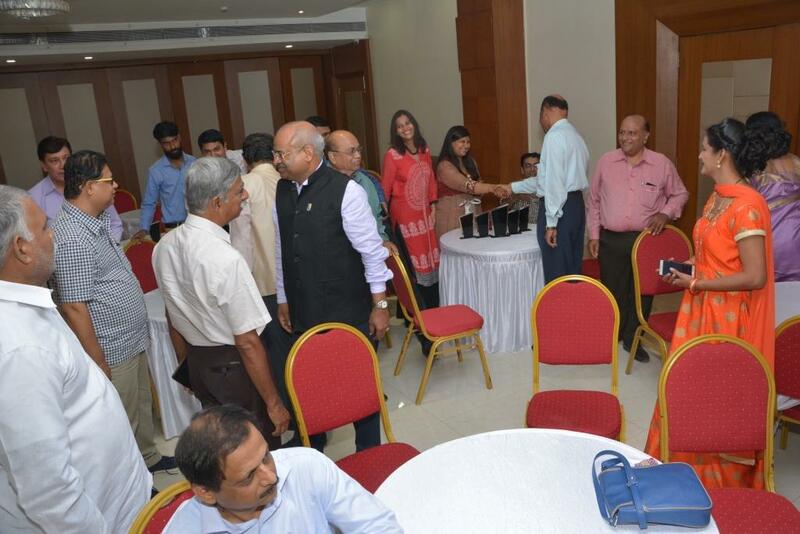 Both were presented awards for their efforts to make communications to their respective organizations members totally paperless & purely digital, eco-friendly. 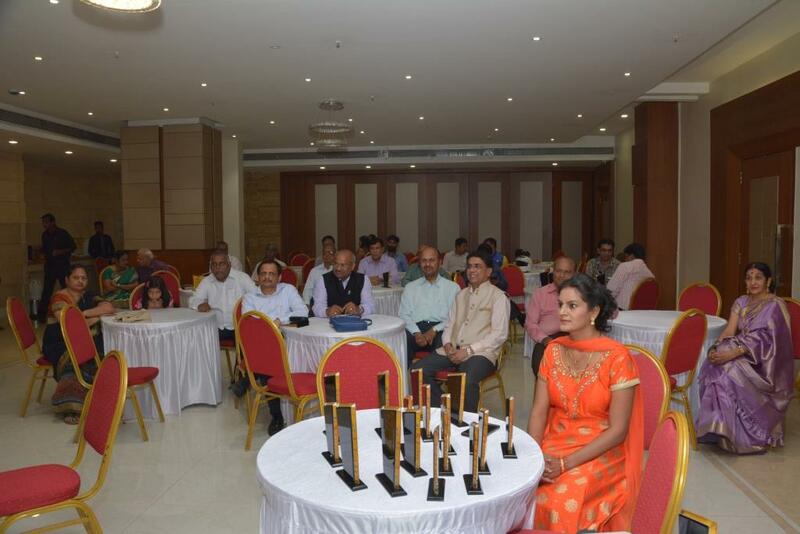 Special Appreciation awards were presented to CA Sunil Patodia, the district governor elected for Lions Club District, 3231A3 for the year 2017-18 starting July 1st July 2017. 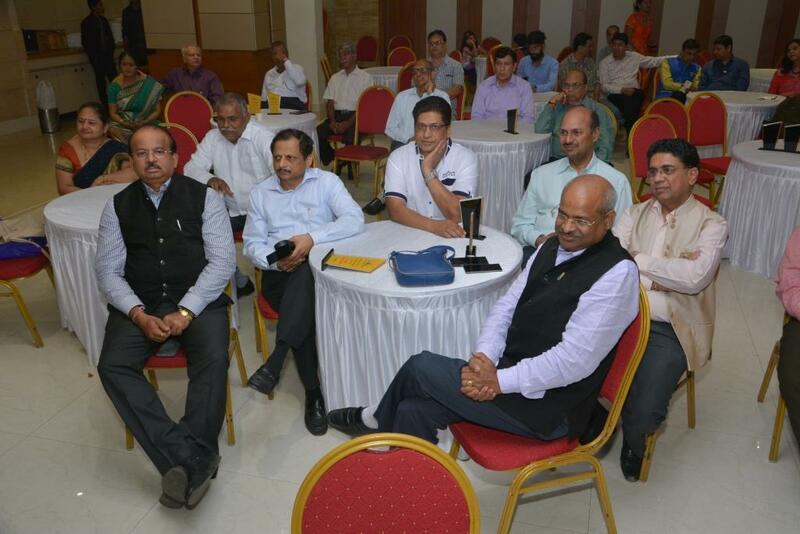 It was also presented to Mr. Vikas Saraf currently District Chairman for Global Membership Team, Mr. Vikas Patole, the current Centennial District Secretary of Lions Club District 323A3 & Mr. Rajesh Modgekar, current Additional Joint Cabinet Secretary for Lions Club District 323A3. 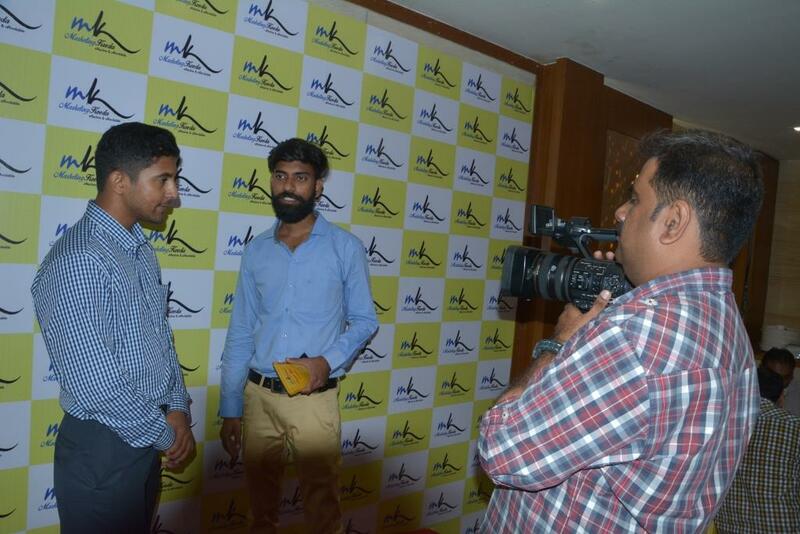 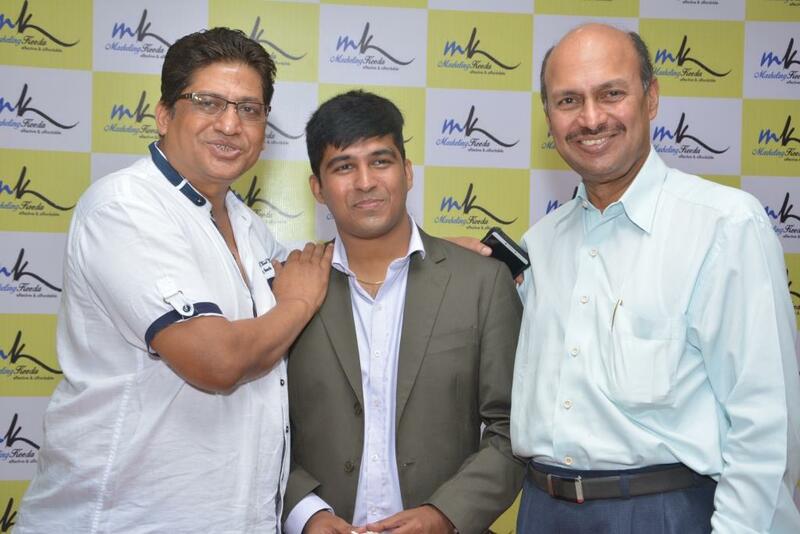 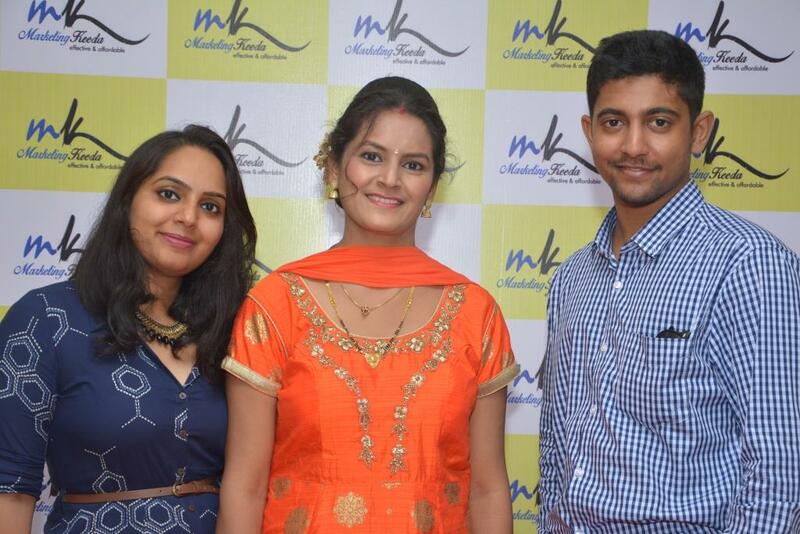 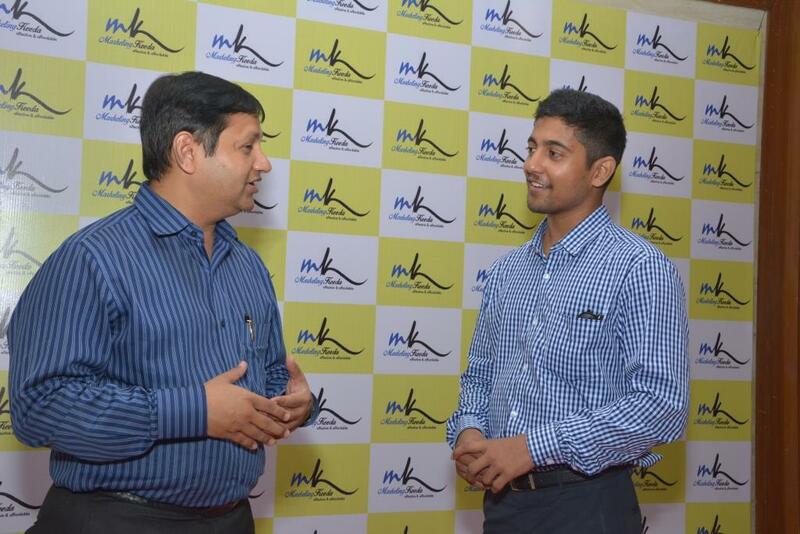 Thanks to all the clients & well wishers of Marketing Keeda who gave Live interviews & client testimonials in alternate peak periods to Pune based blogger Chinmay Sane, who is a passout from Atharva Engineering College & is associated with the founder 4 years back before the starting of the firm. 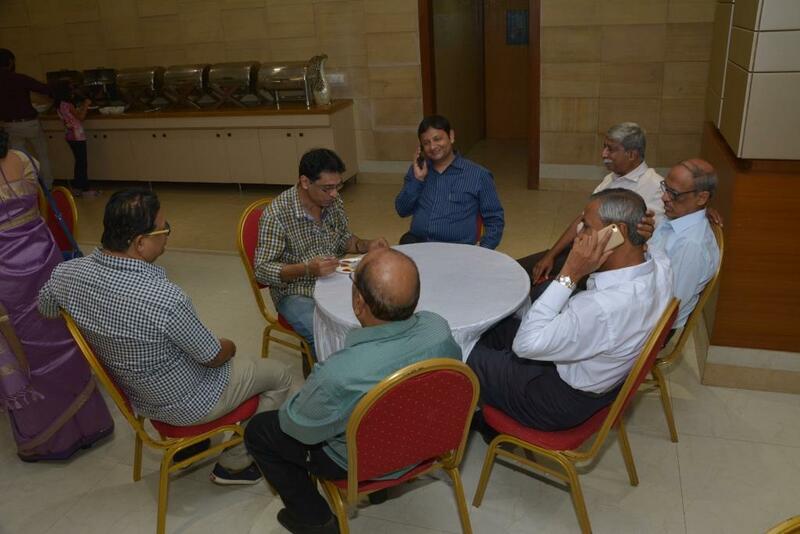 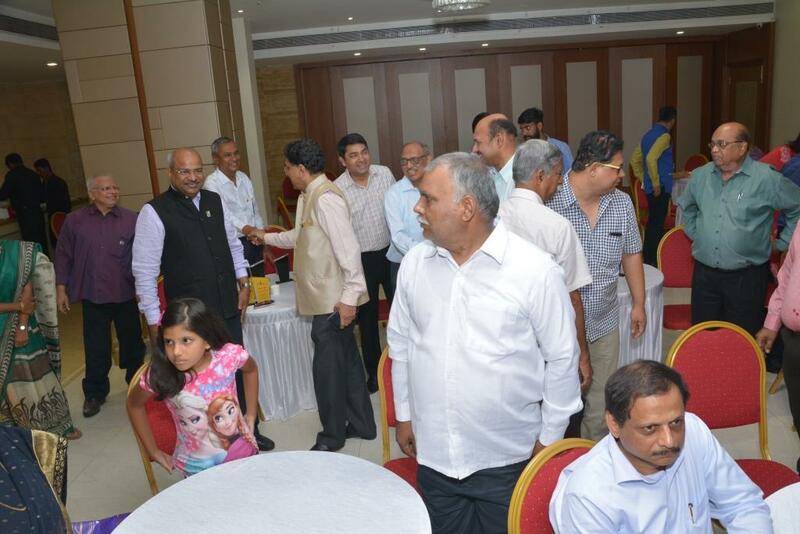 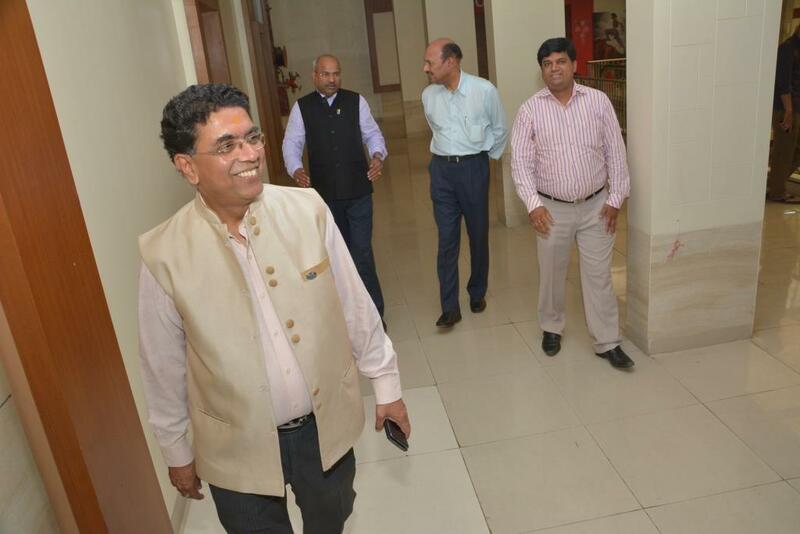 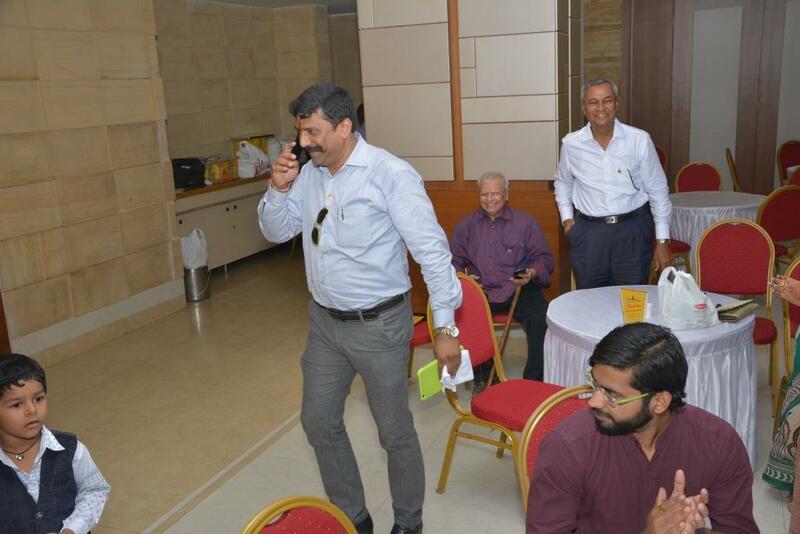 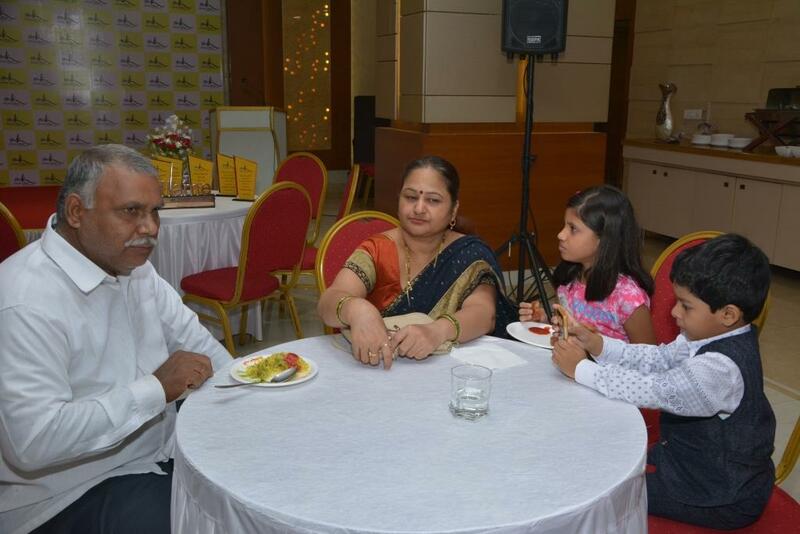 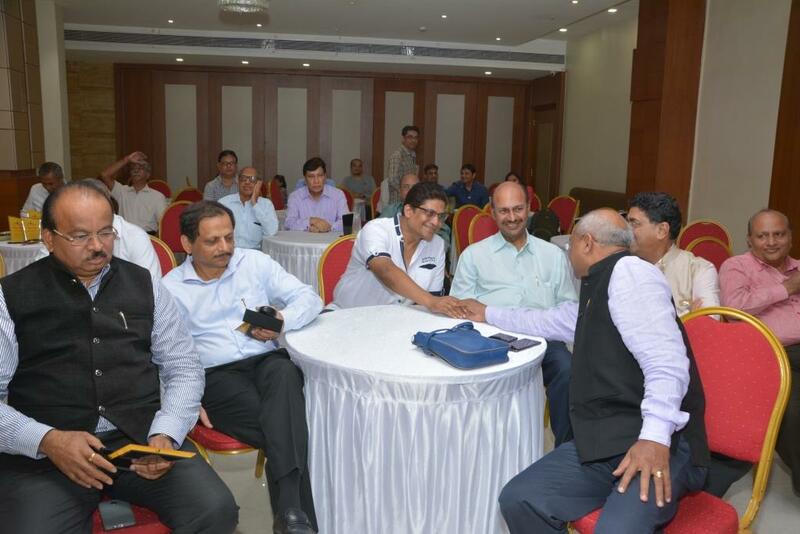 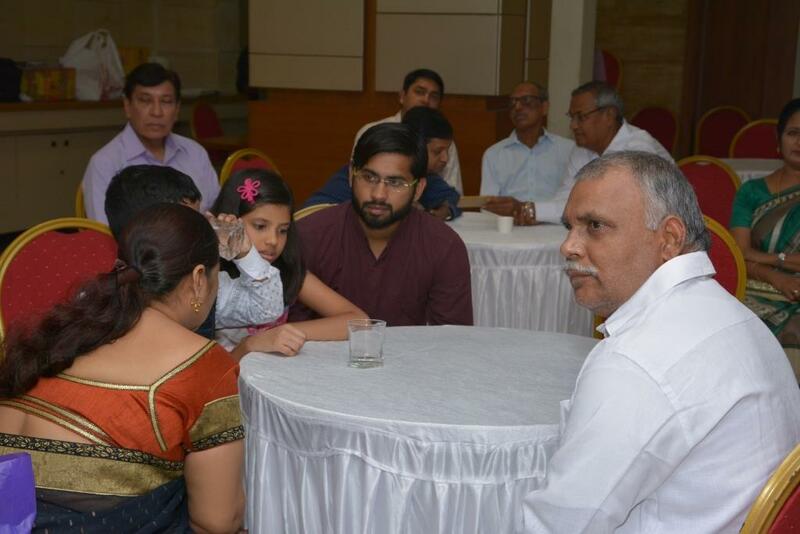 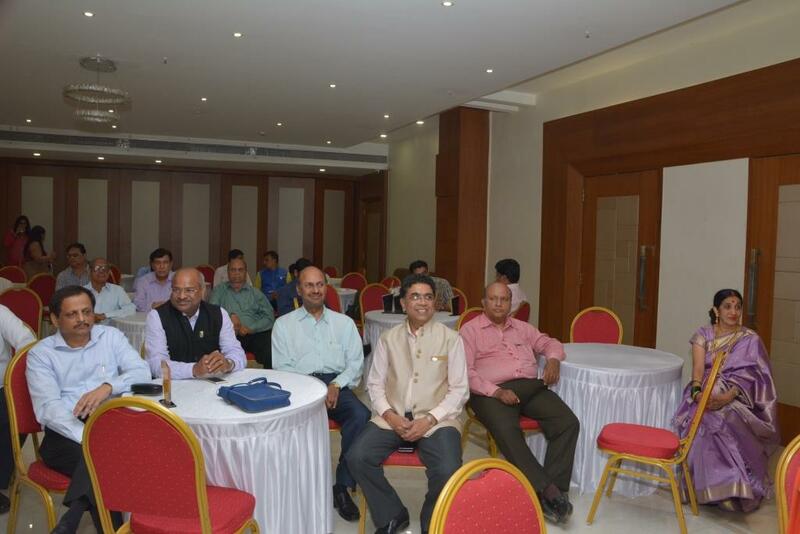 (In above pic) we were blessed with the presence of the Past President of AHAR All India Hotel Association of India, Mr. Santosh Shetty & Past District Governor Subhash Udaipuri who is the king of the stock market. 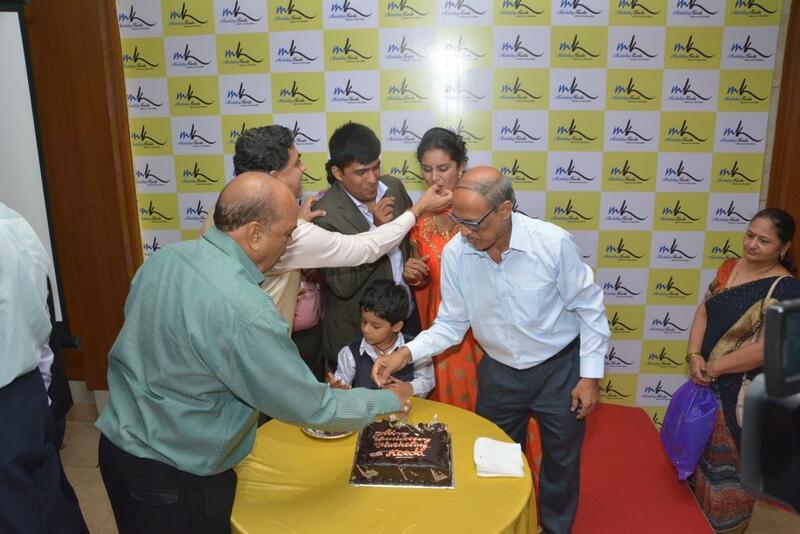 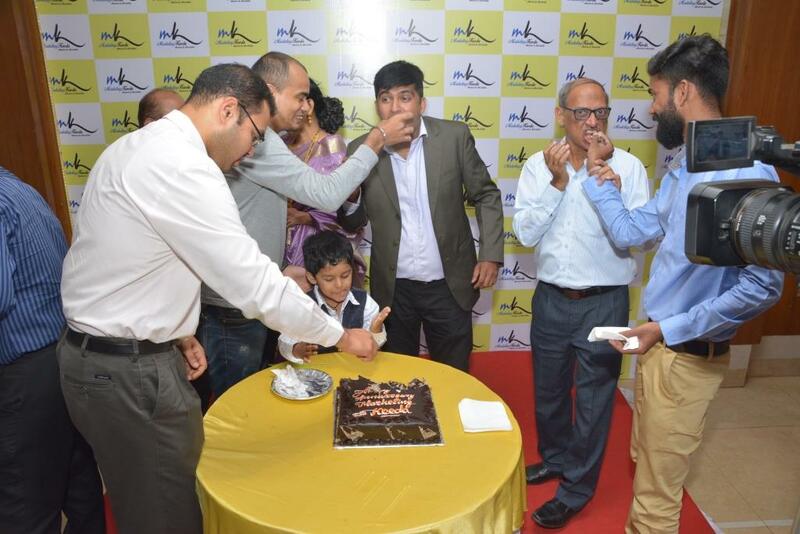 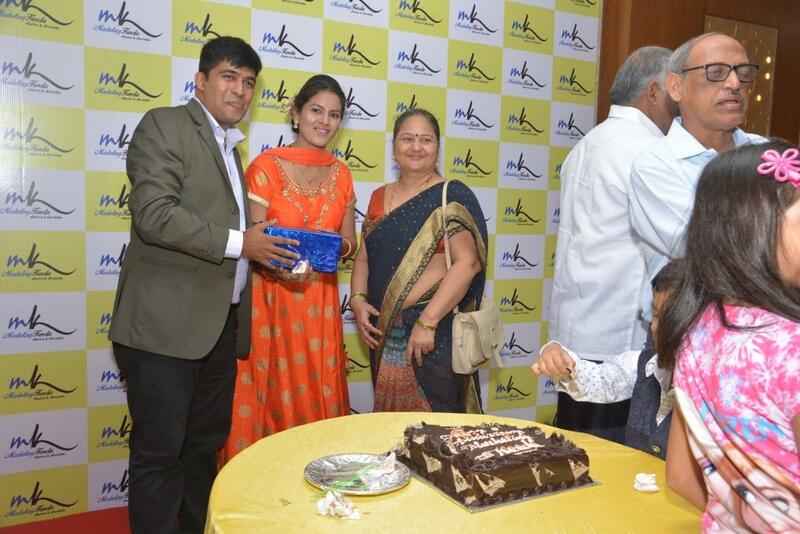 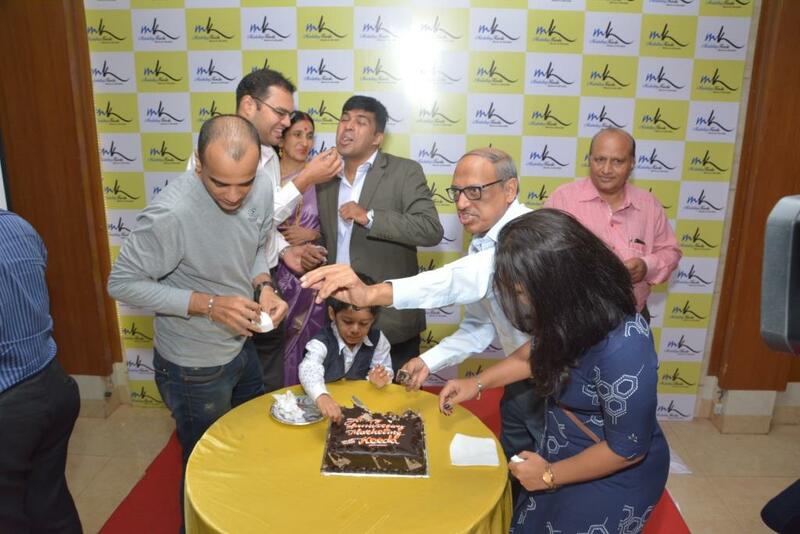 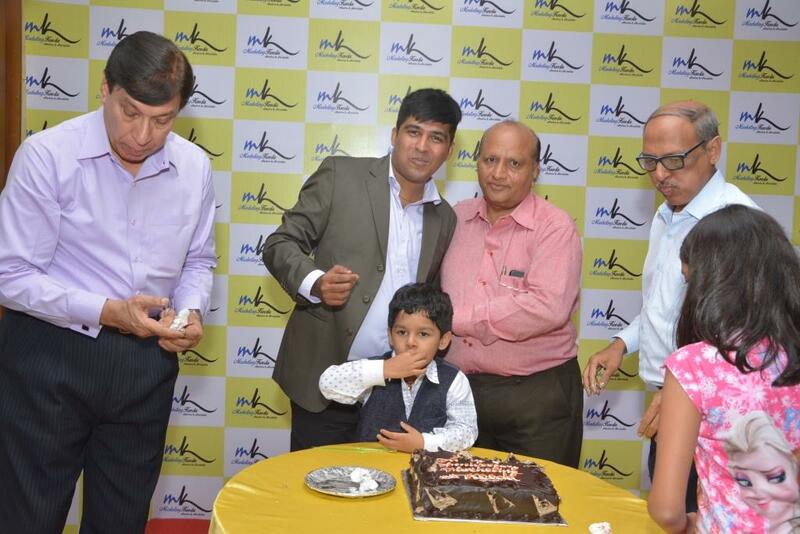 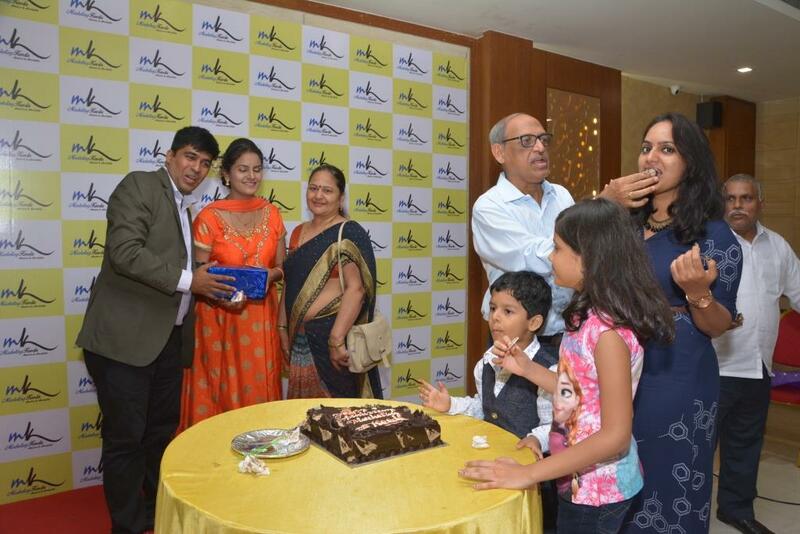 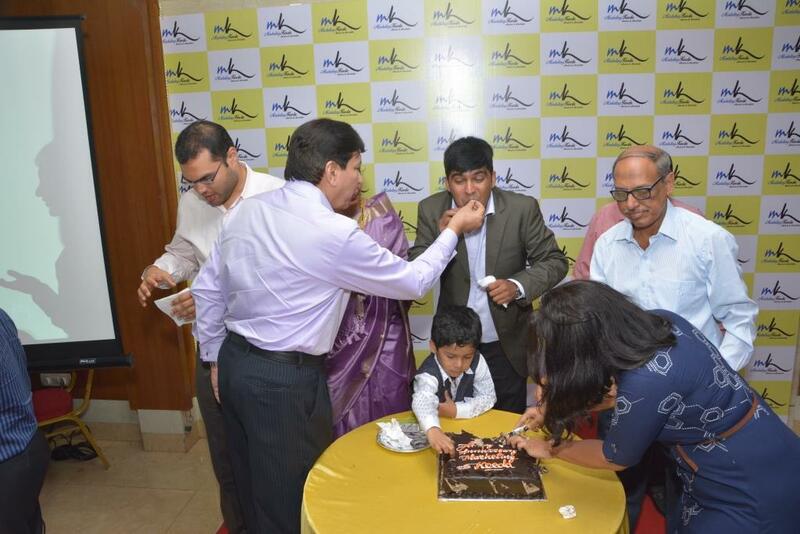 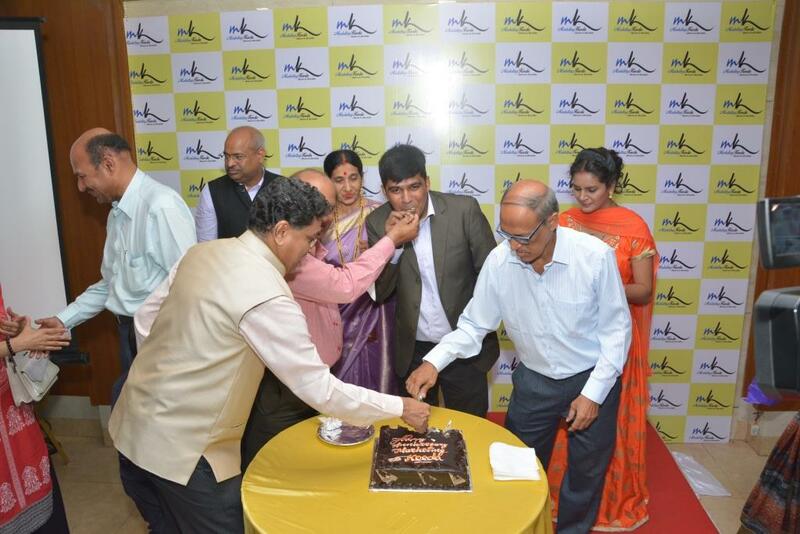 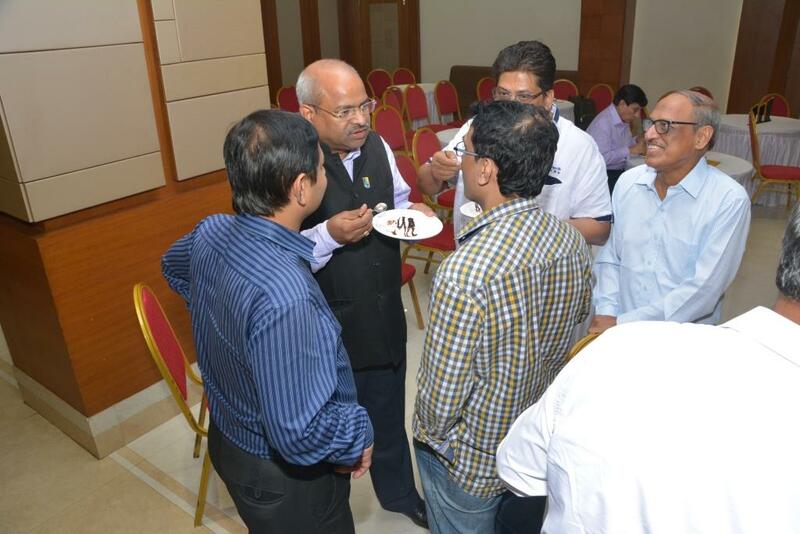 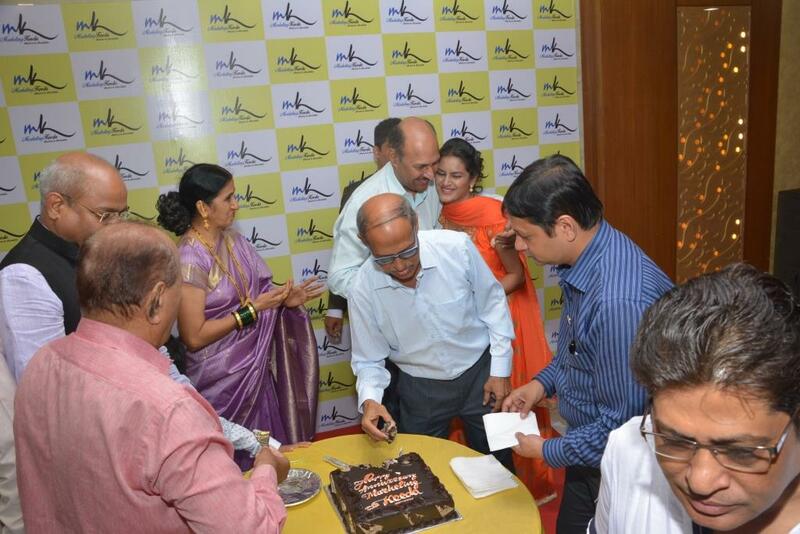 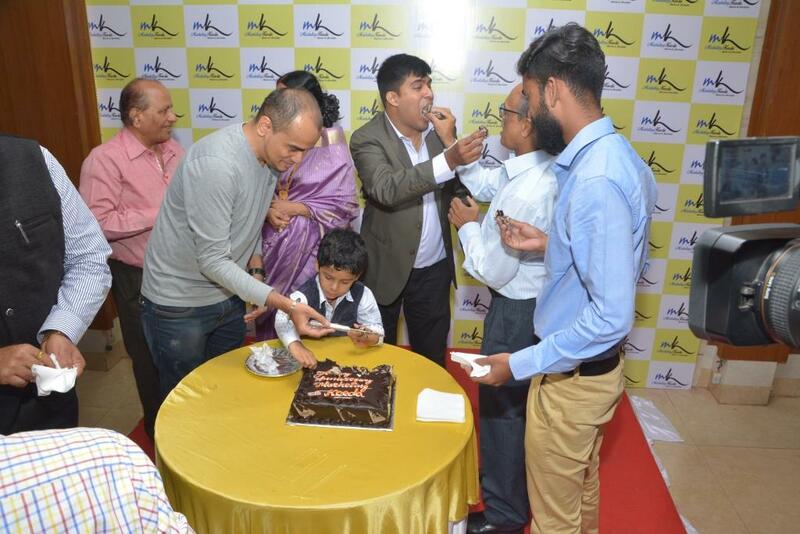 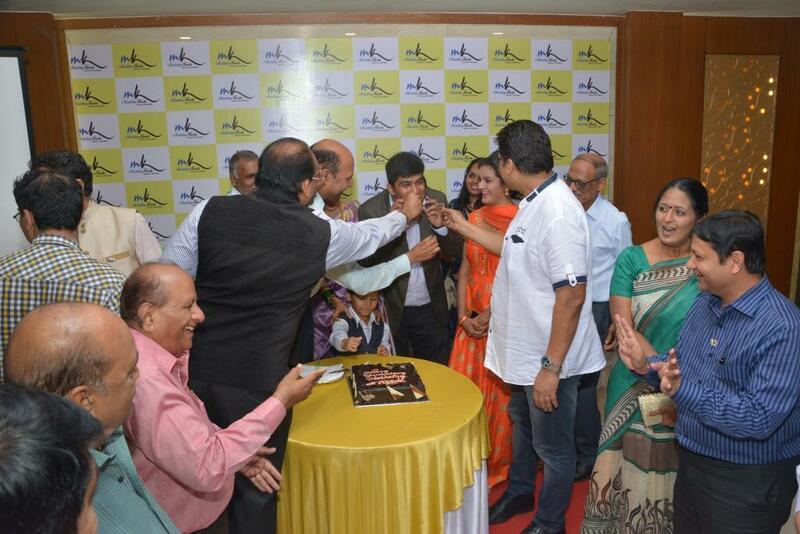 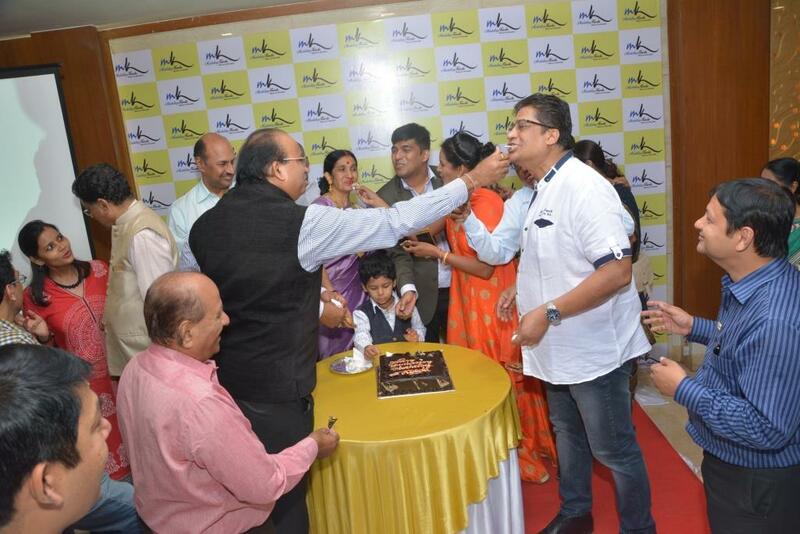 Post the awards & the brand presentation was the cake cutting ceremony on the occasion of the 2nd anniversary of the brand followed by lunch.